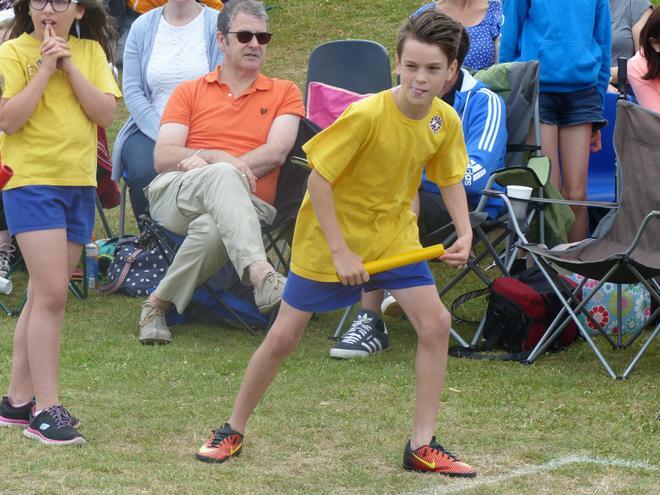 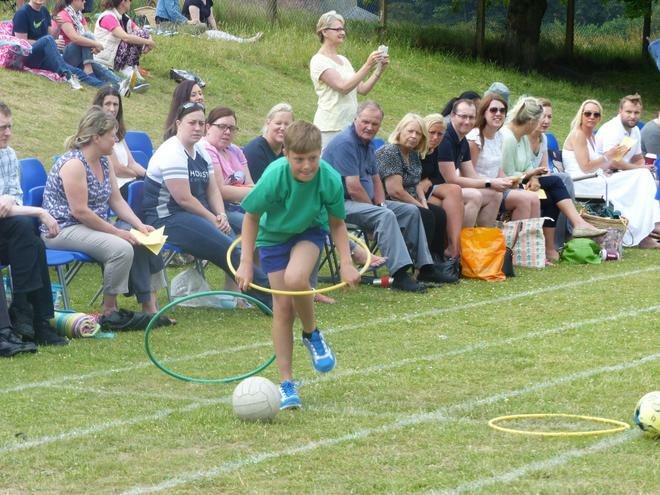 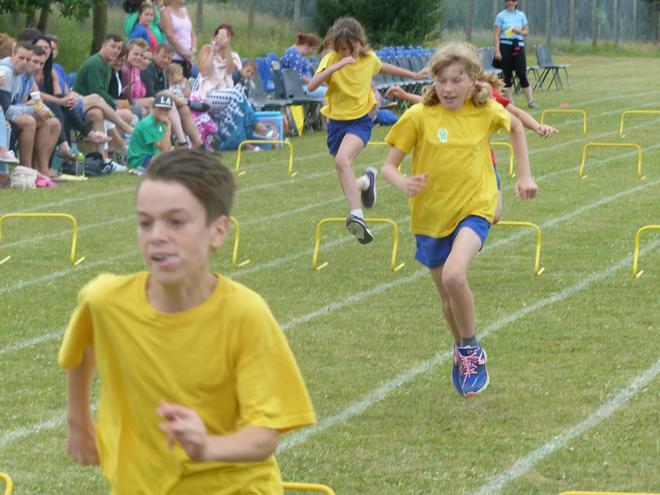 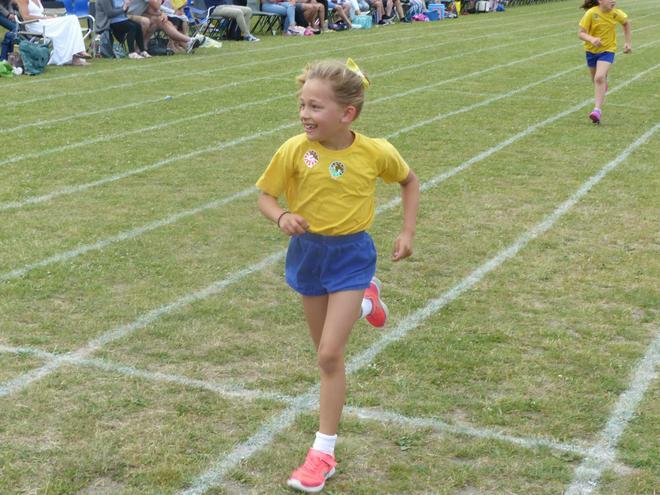 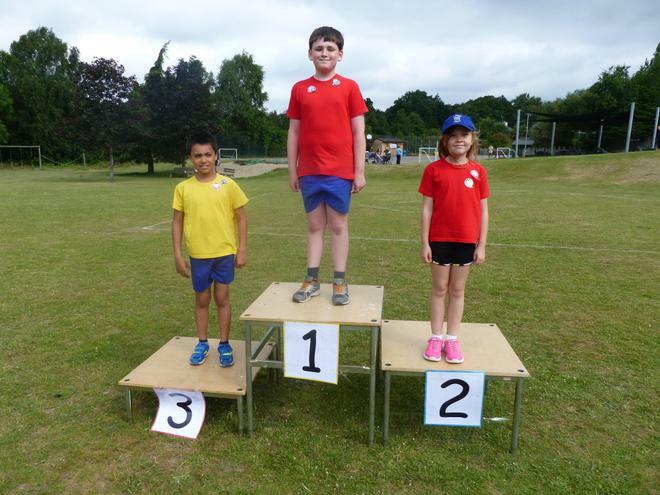 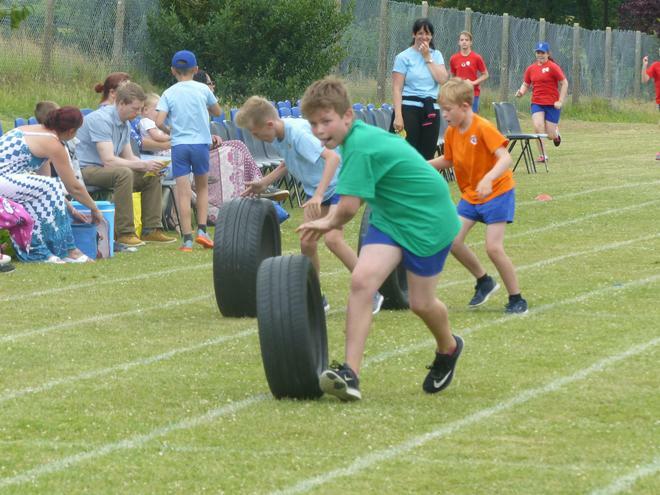 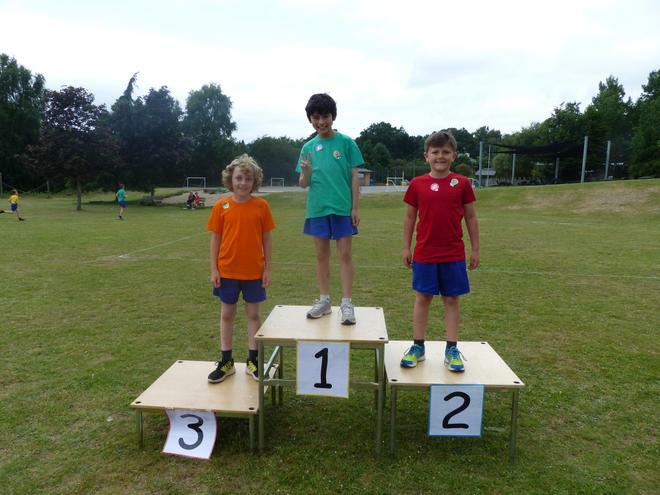 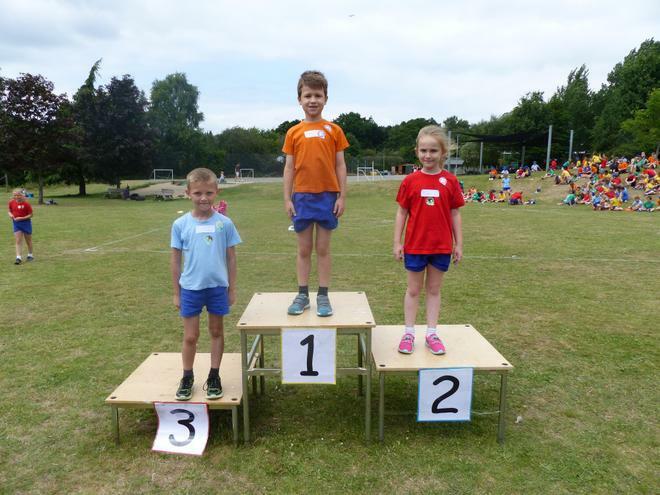 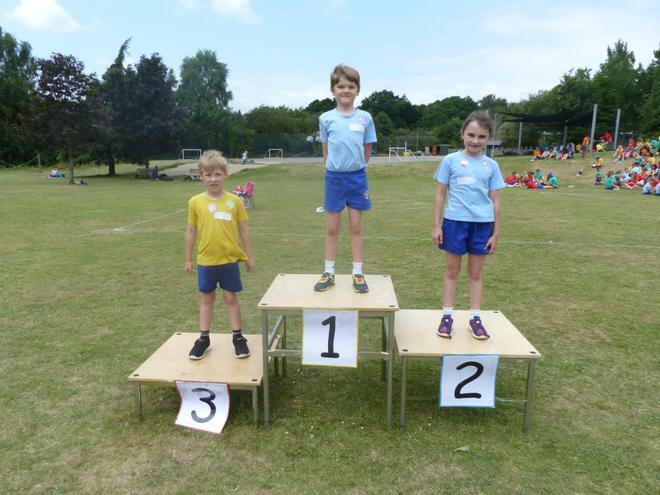 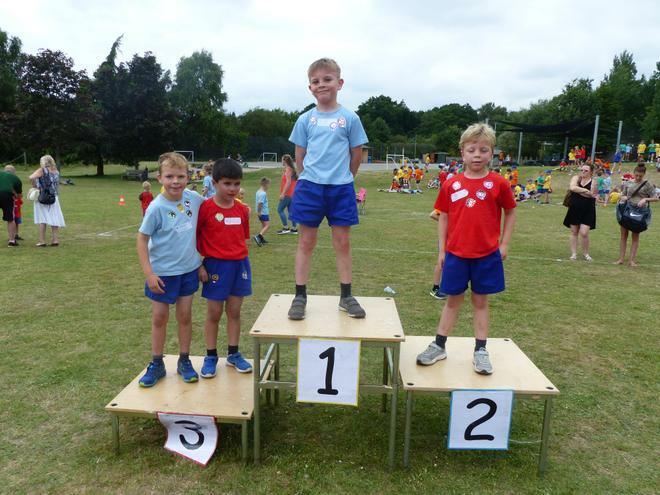 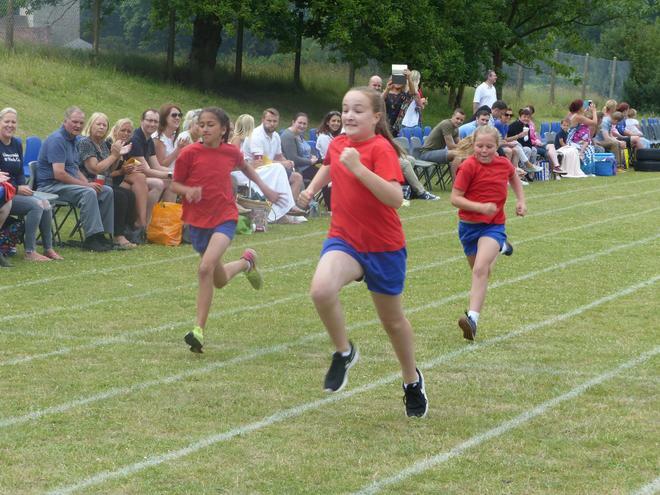 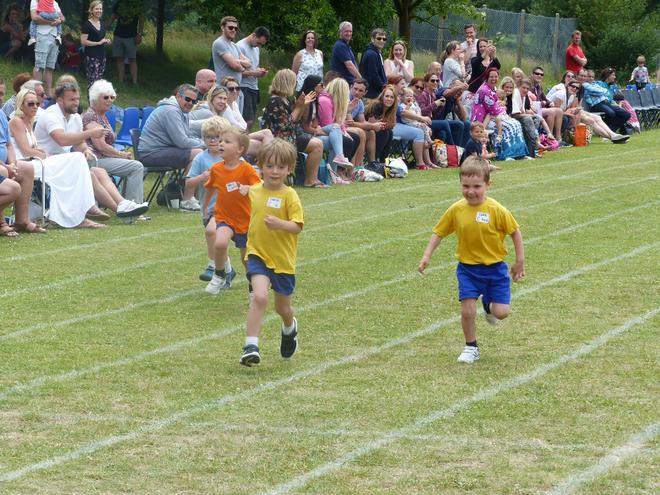 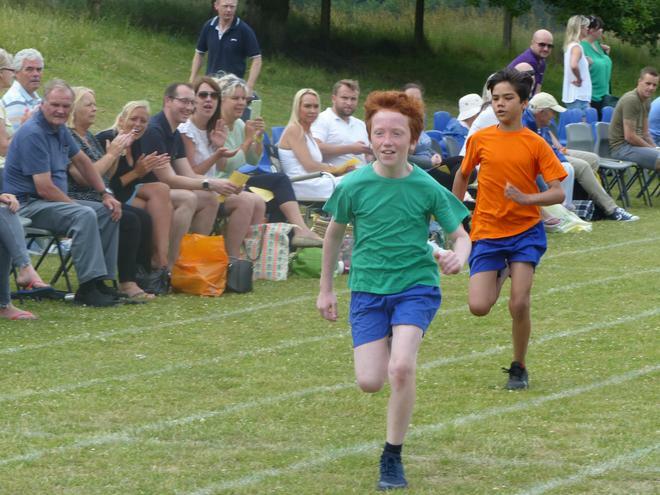 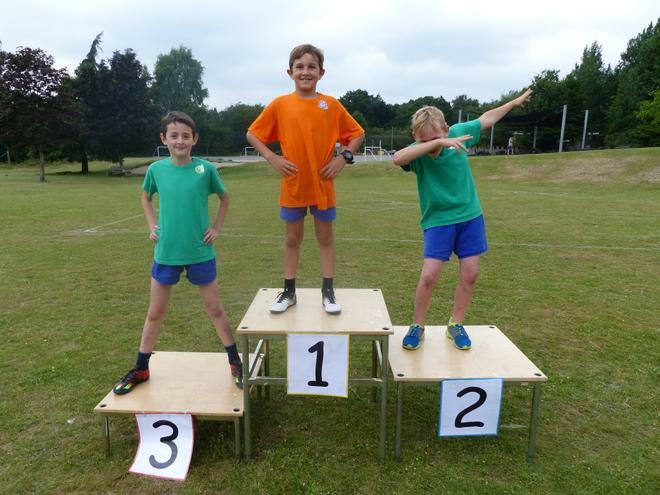 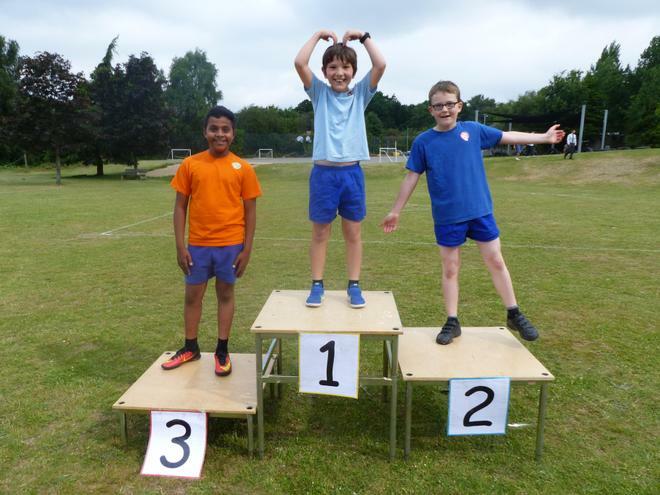 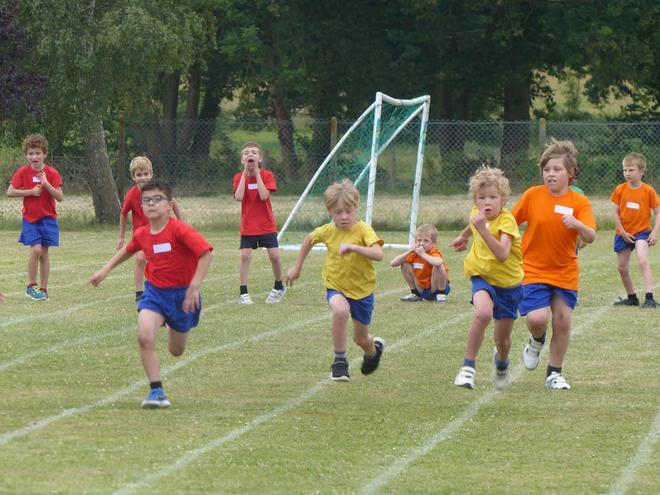 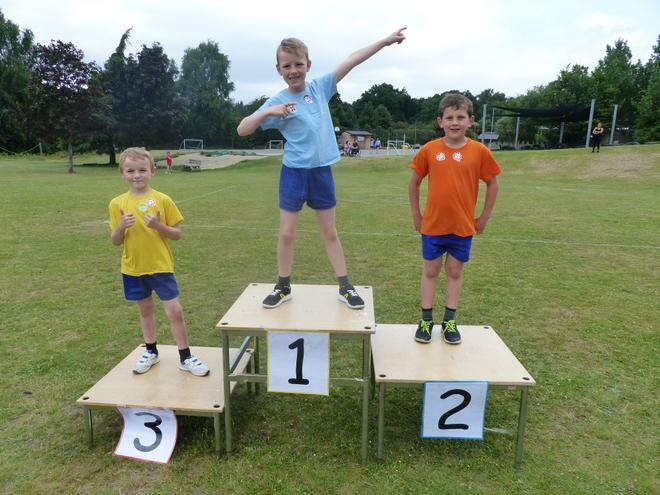 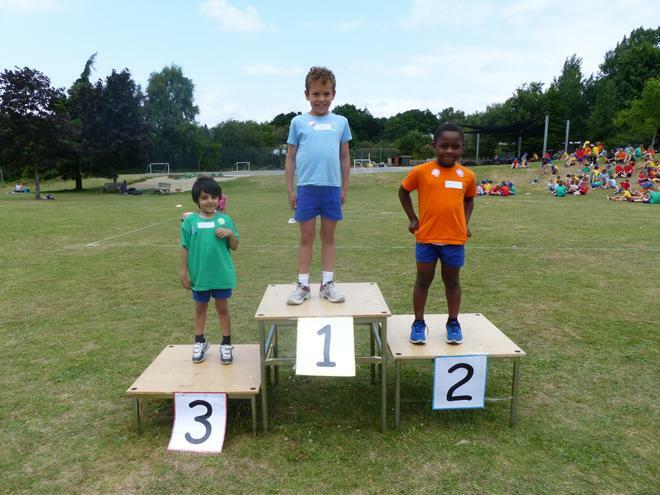 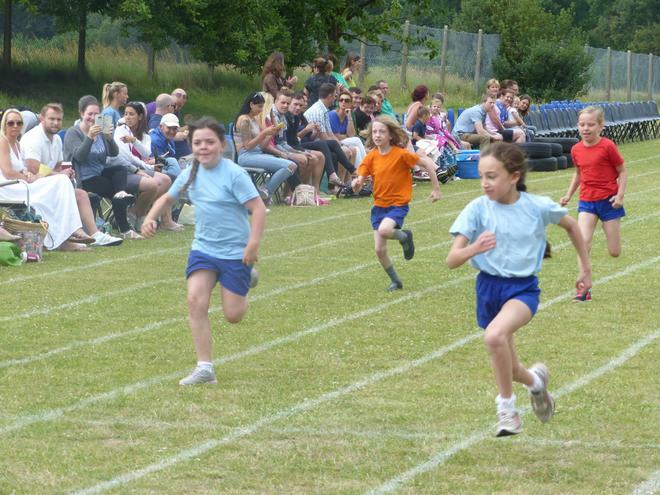 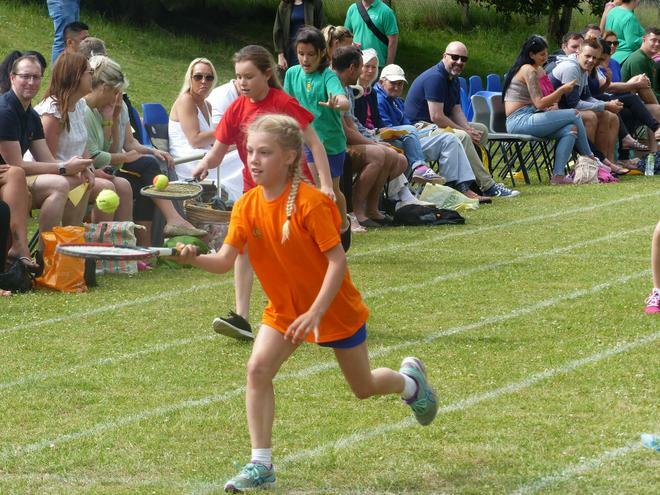 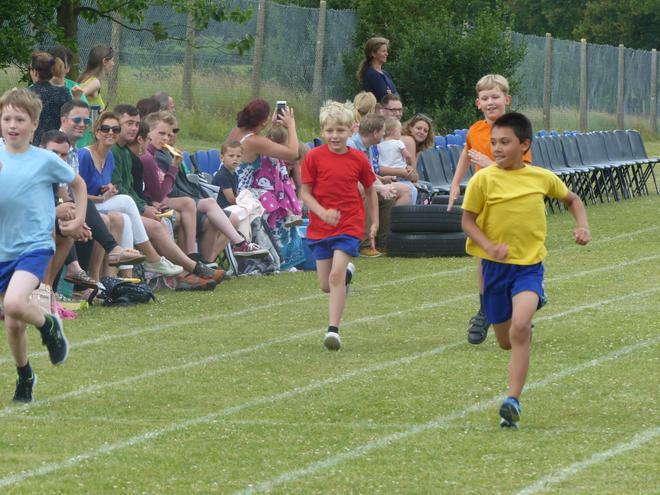 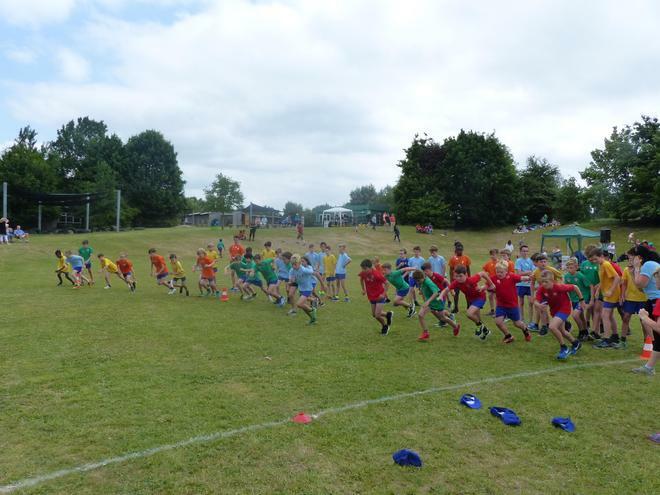 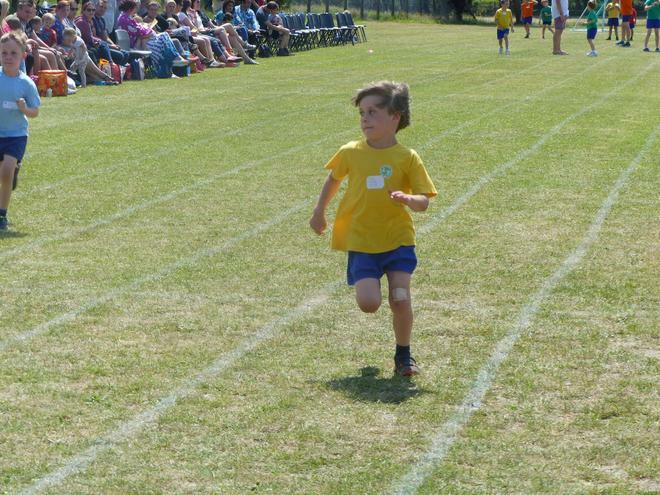 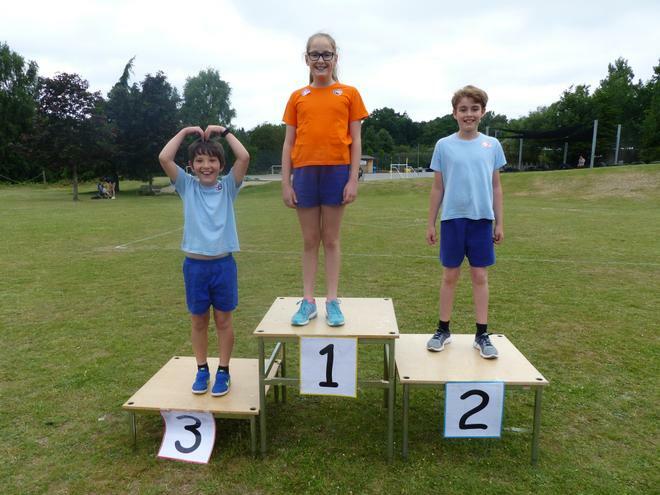 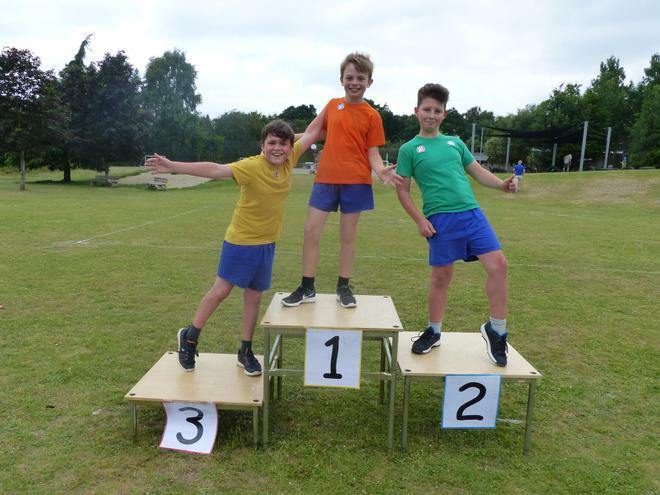 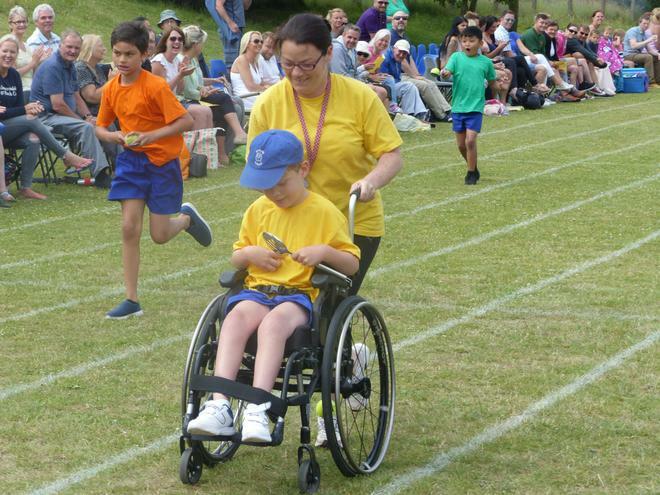 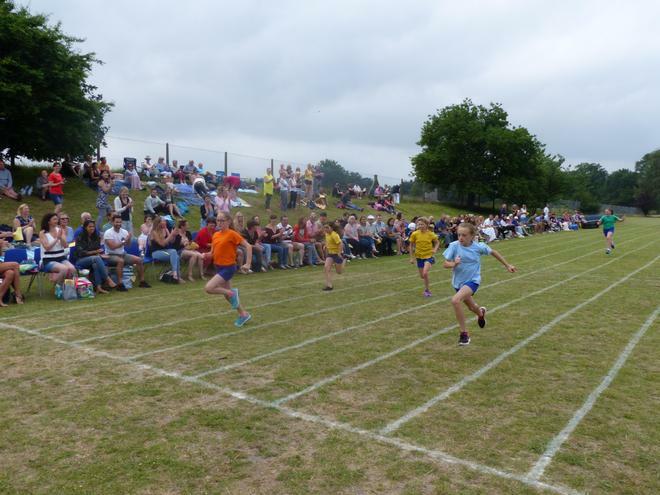 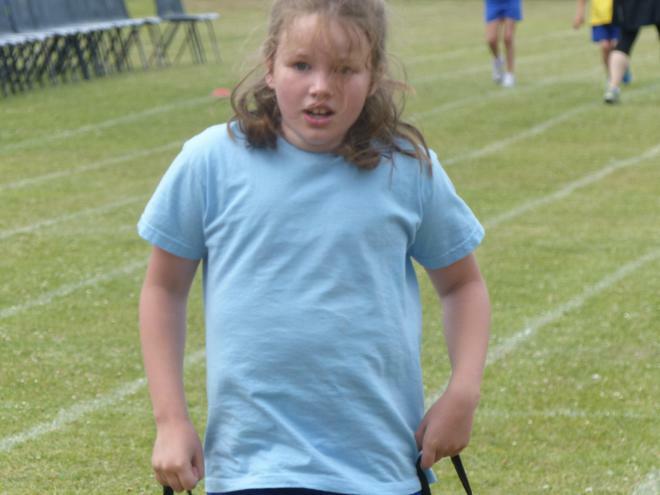 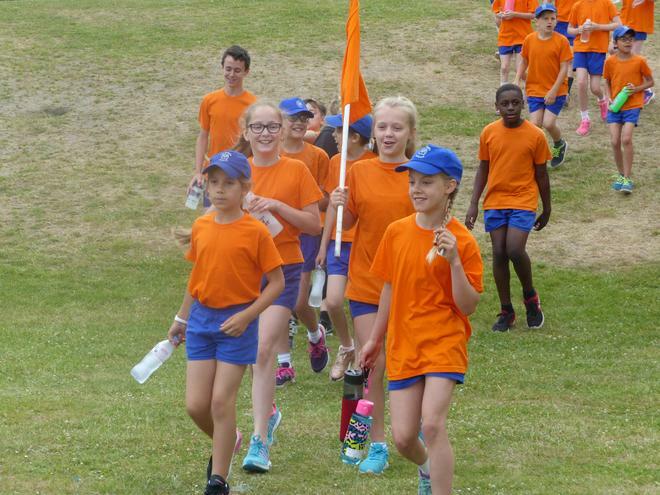 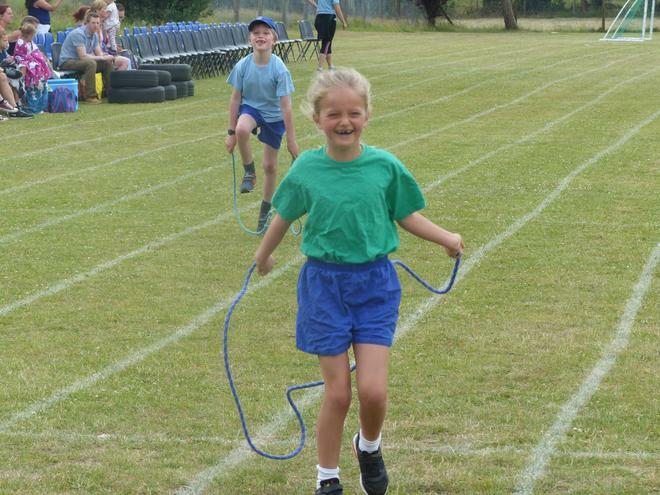 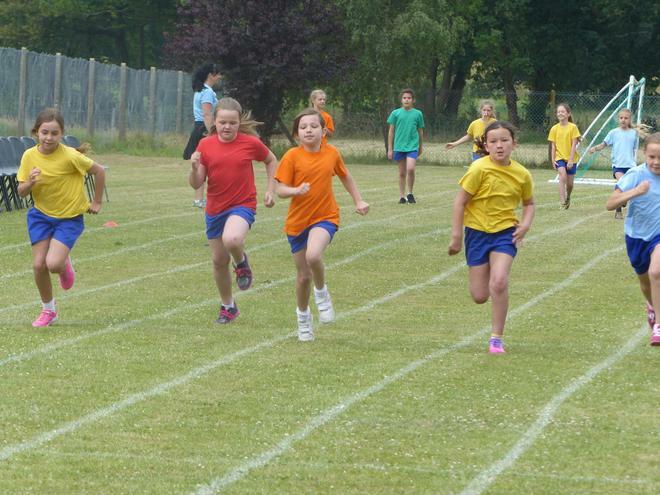 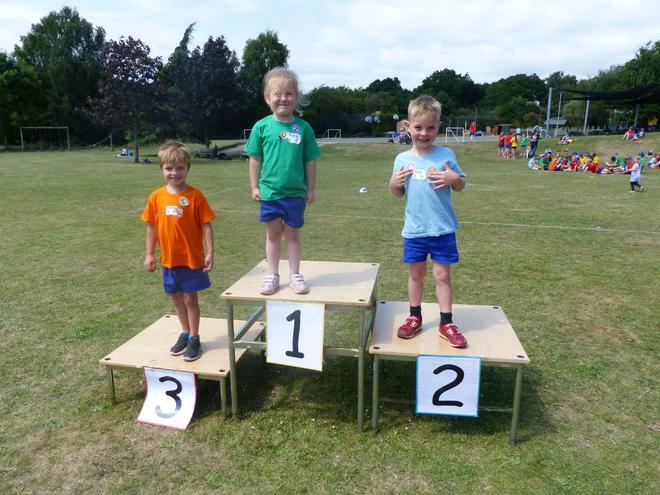 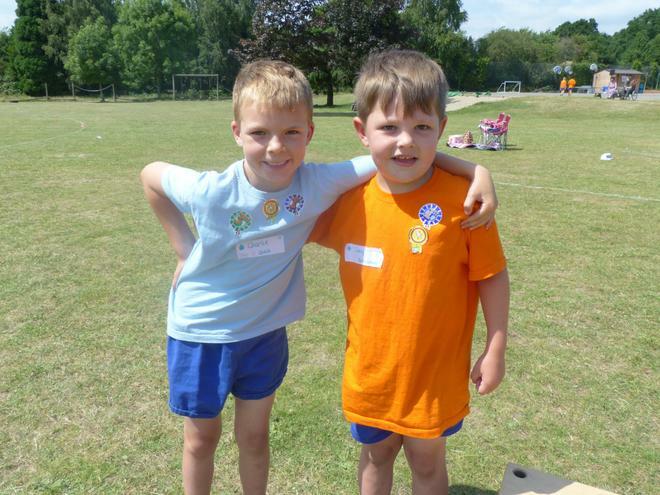 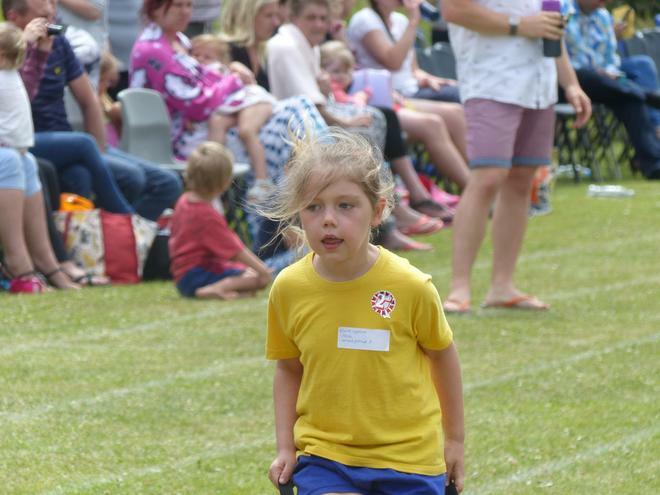 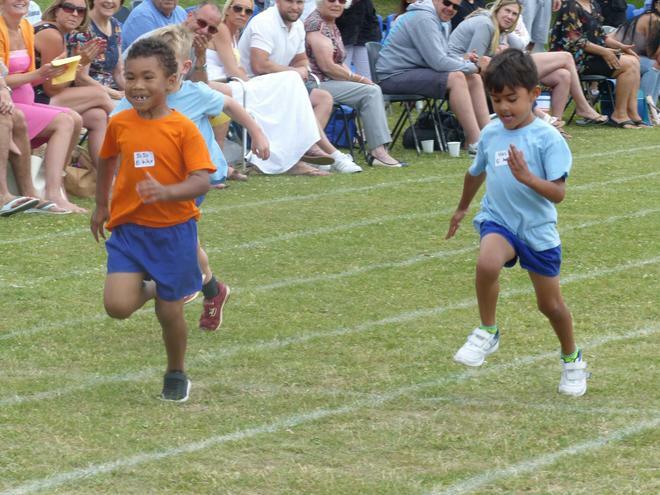 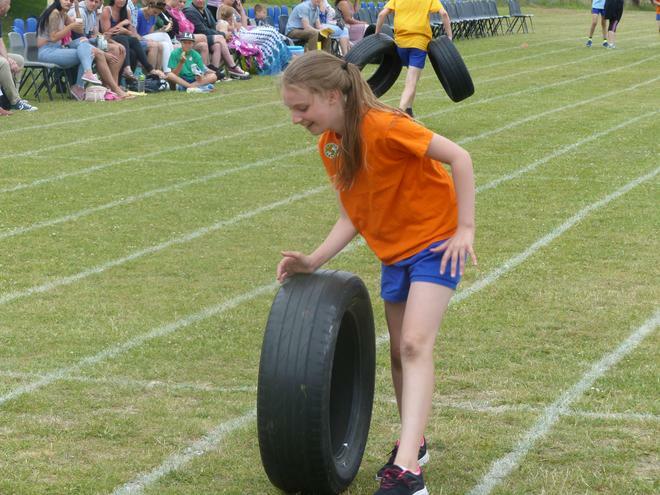 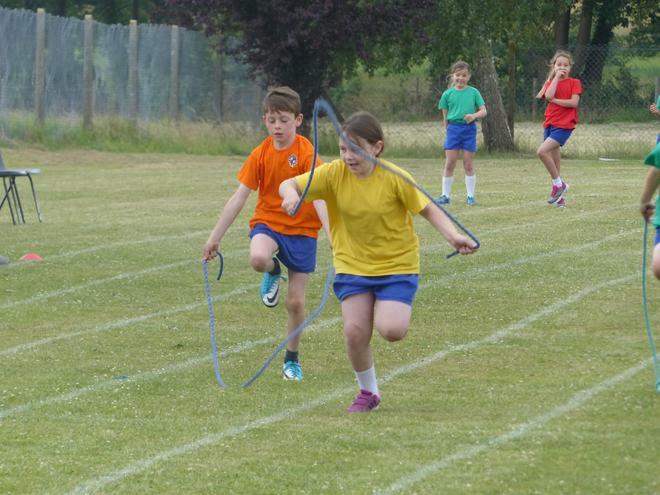 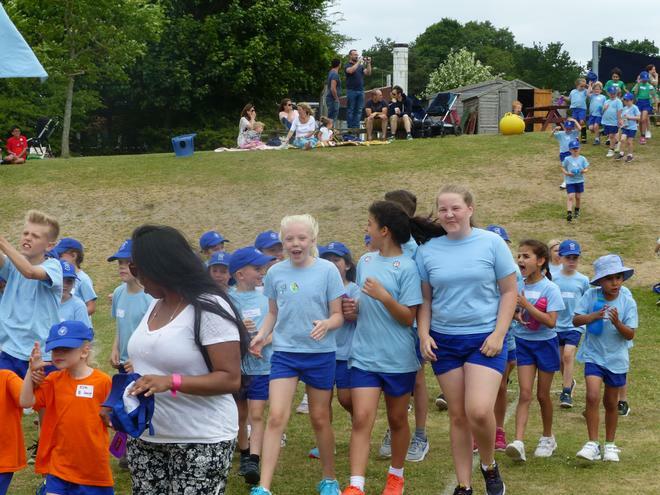 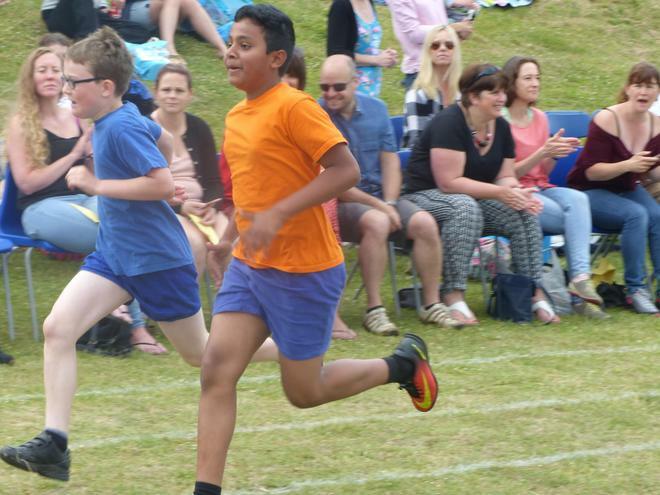 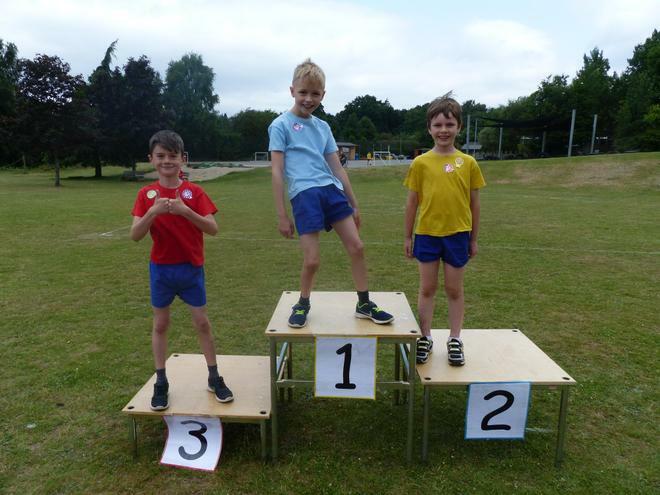 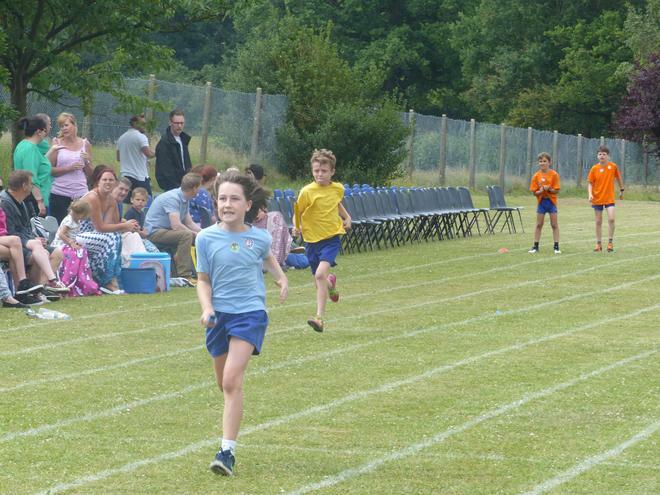 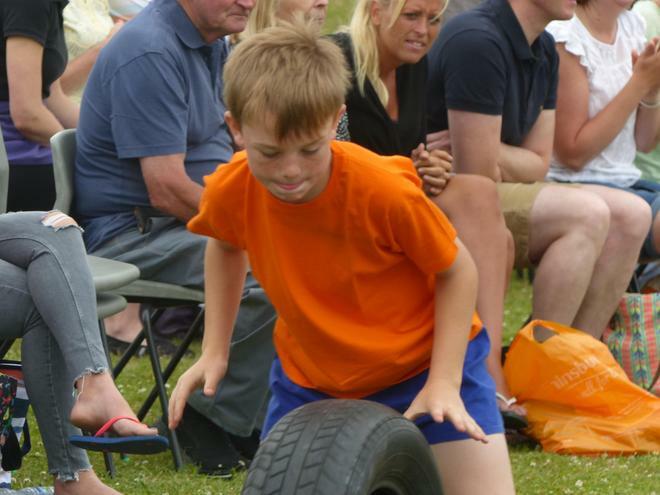 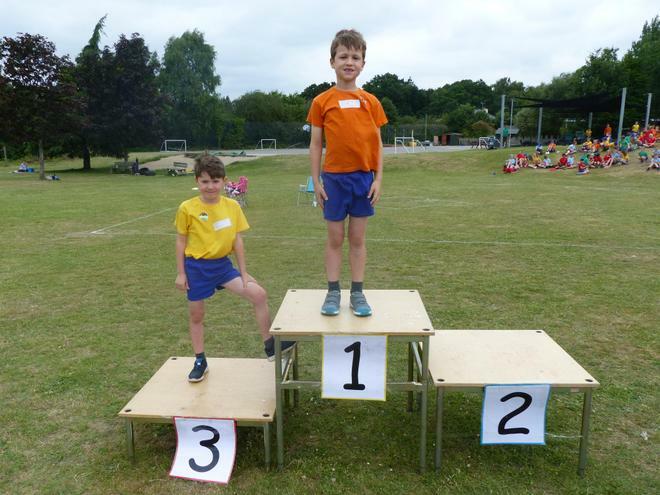 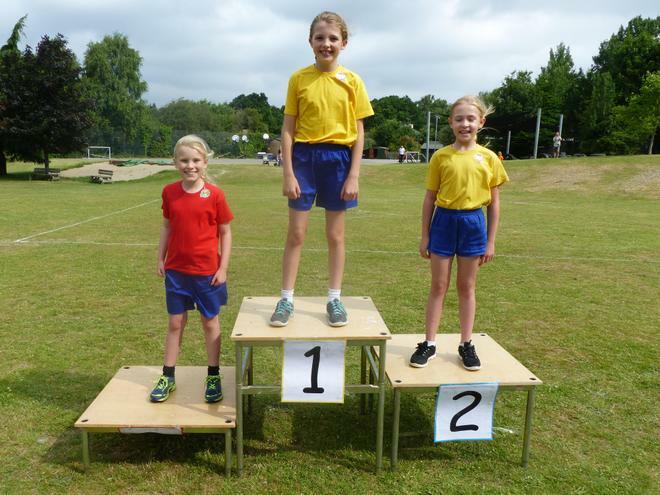 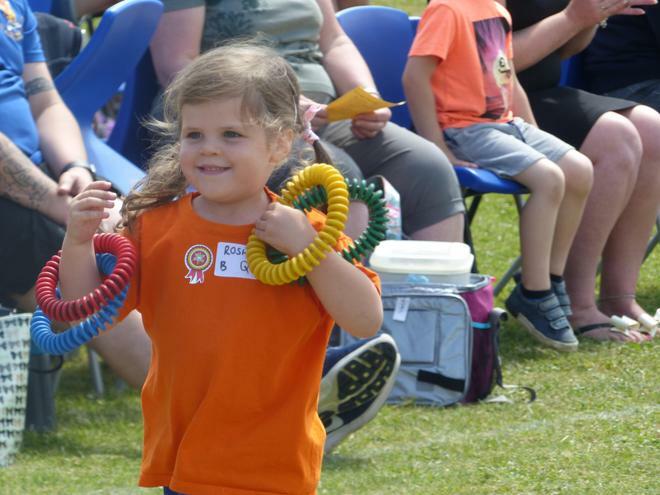 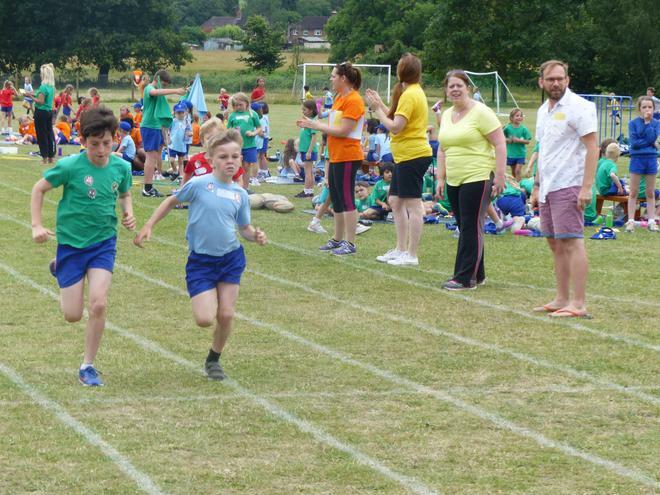 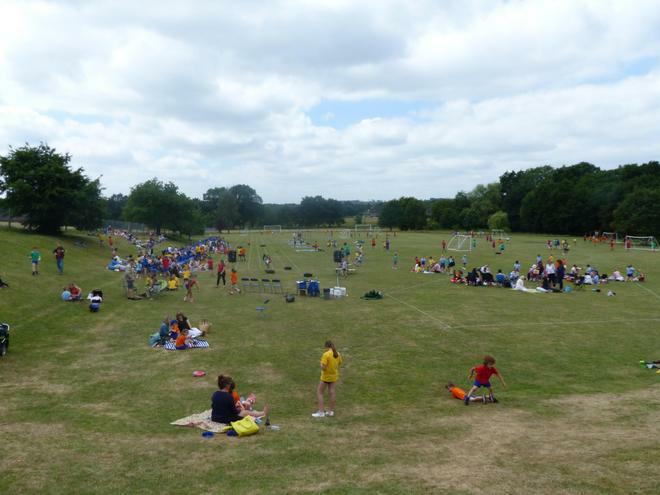 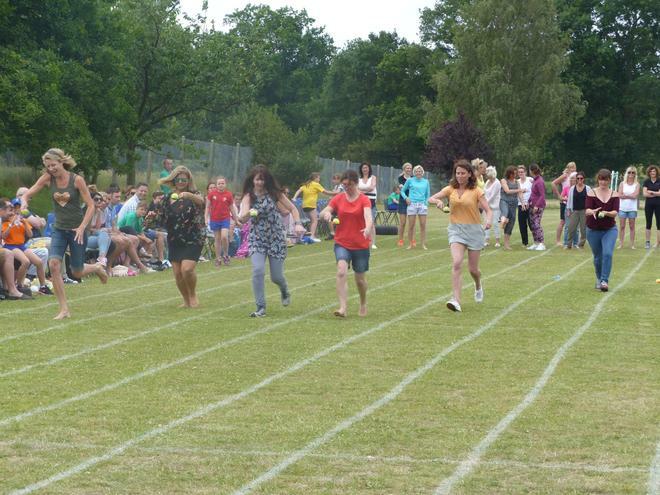 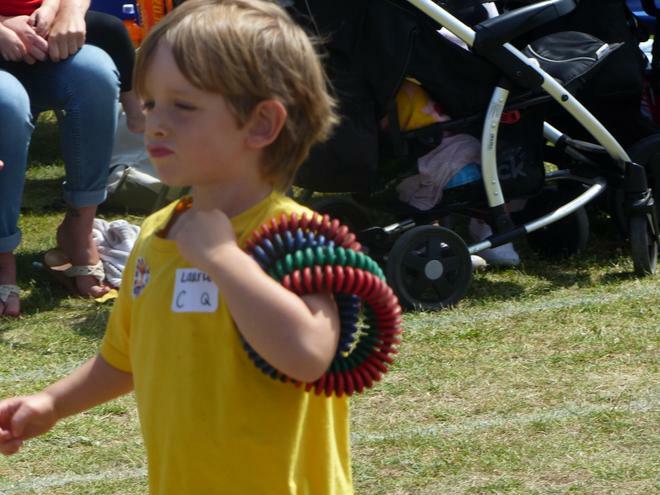 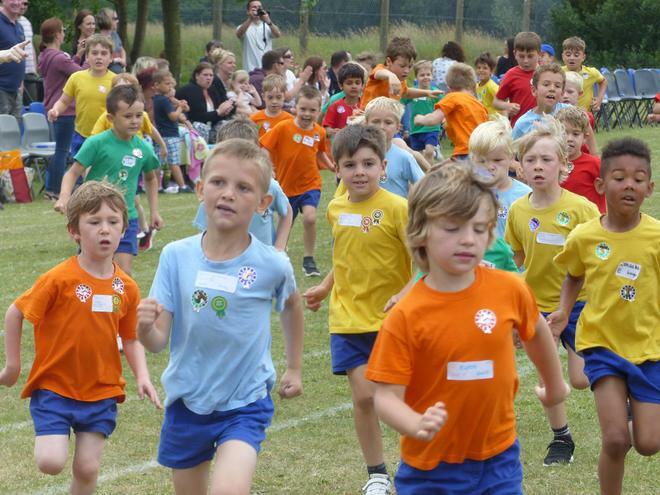 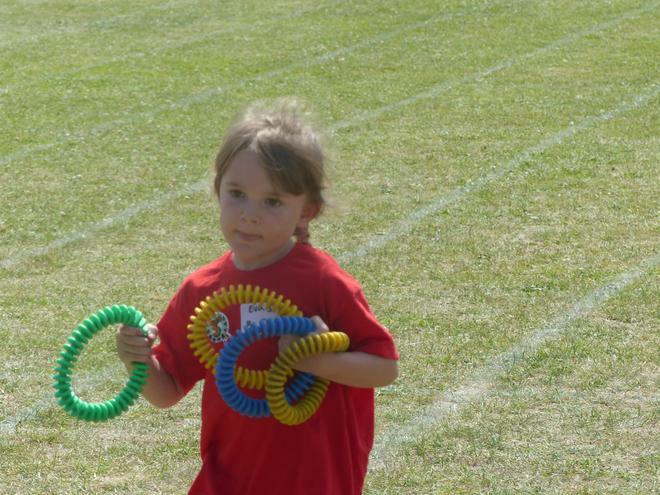 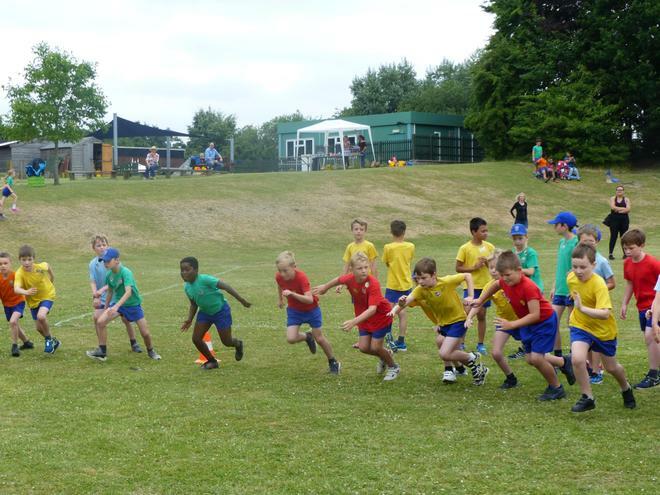 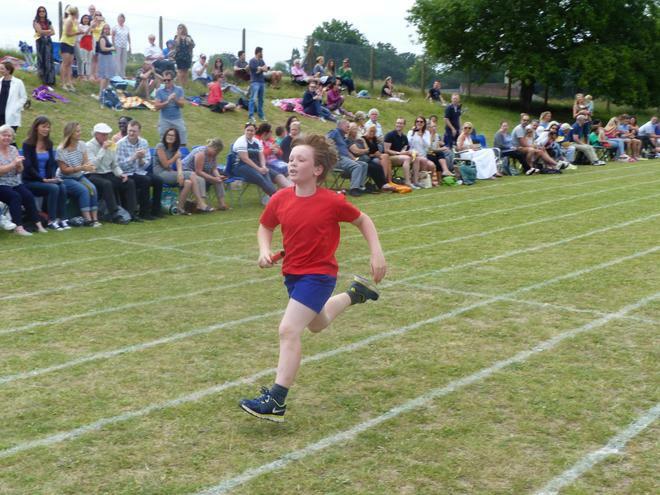 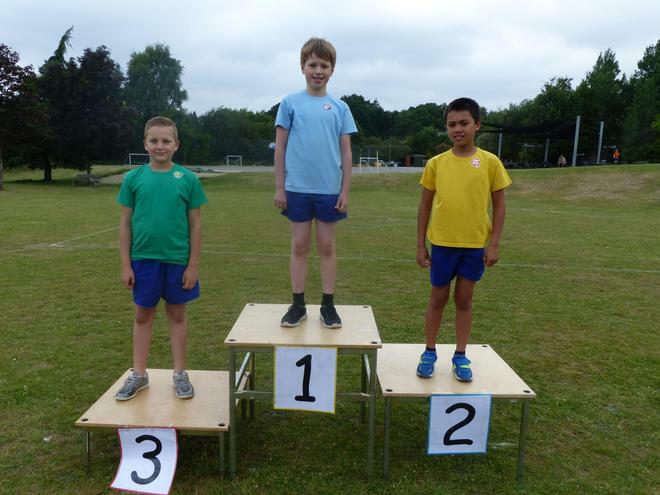 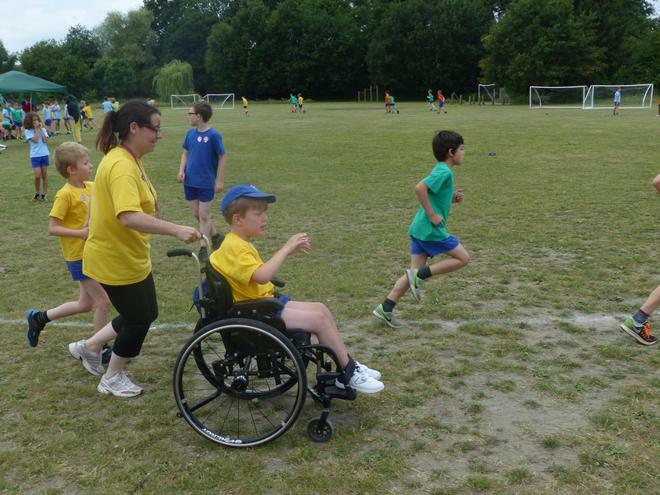 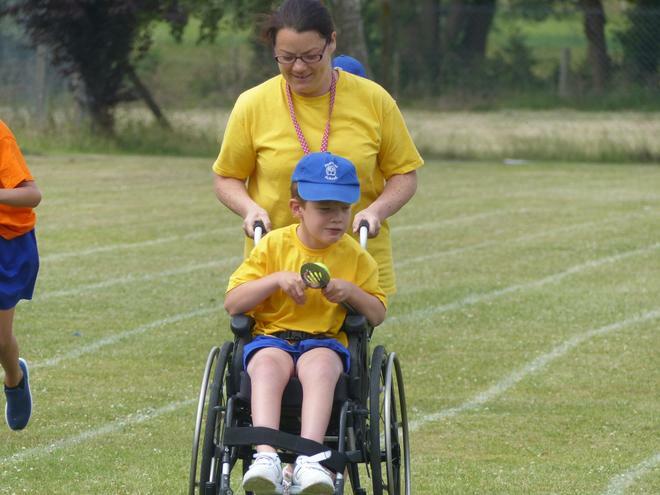 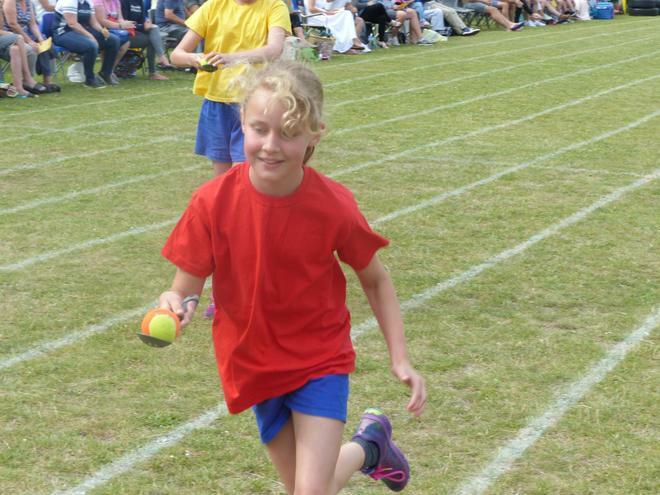 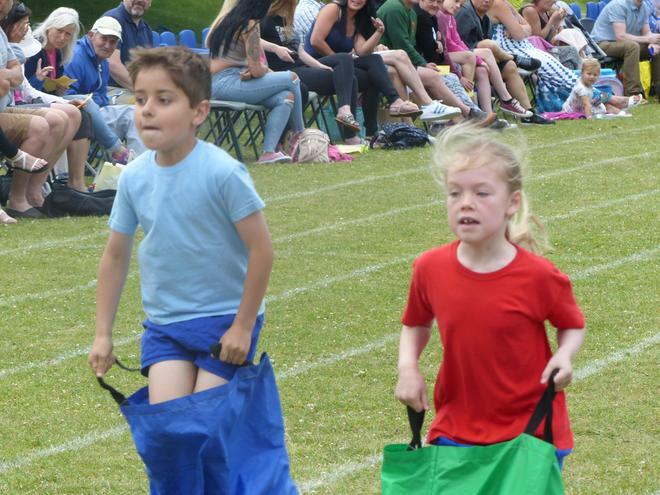 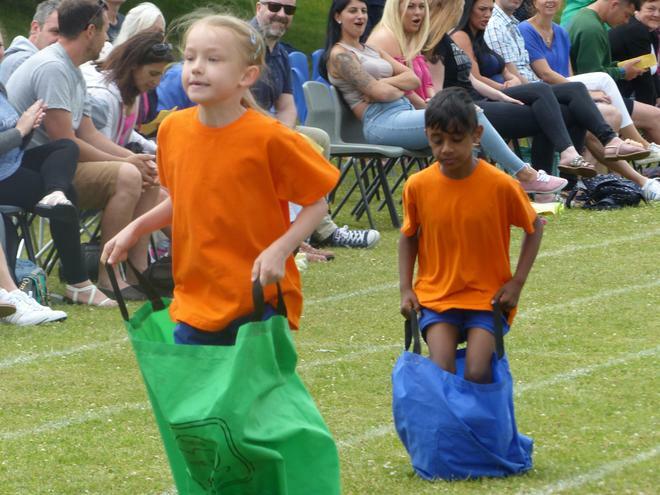 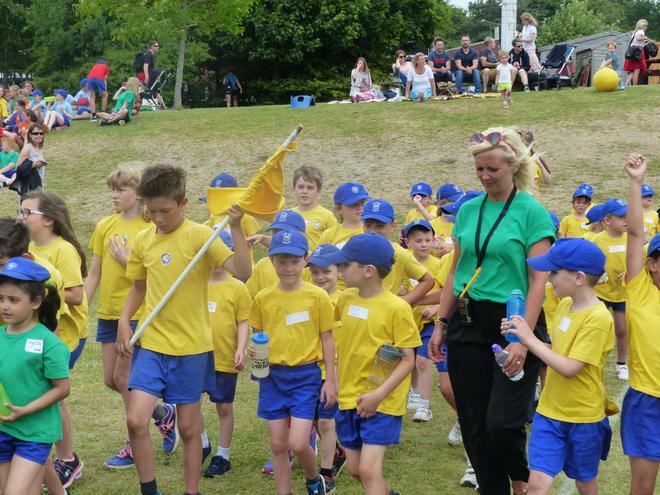 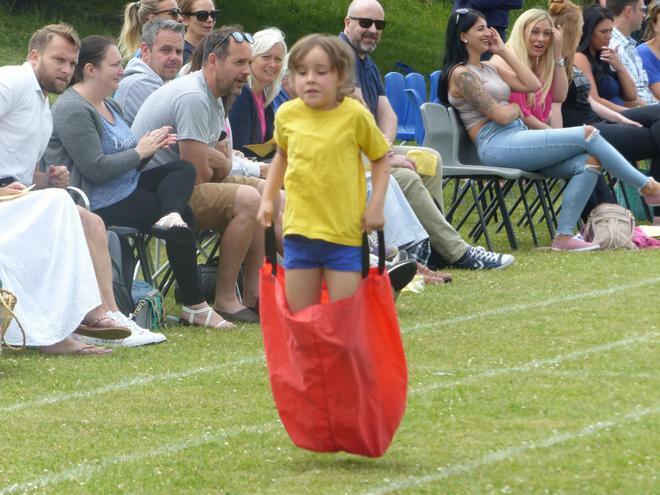 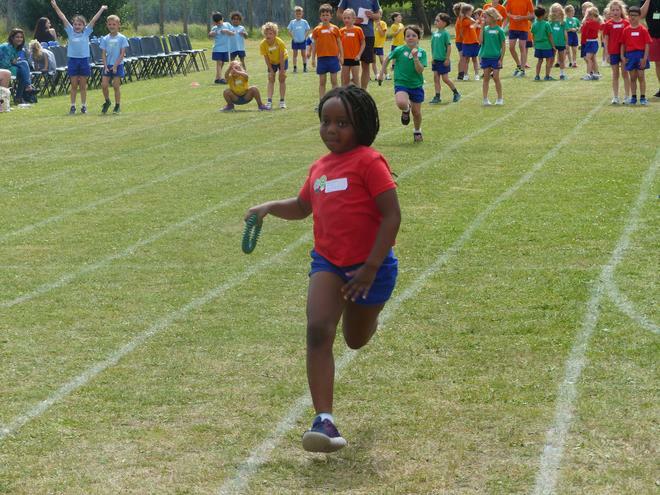 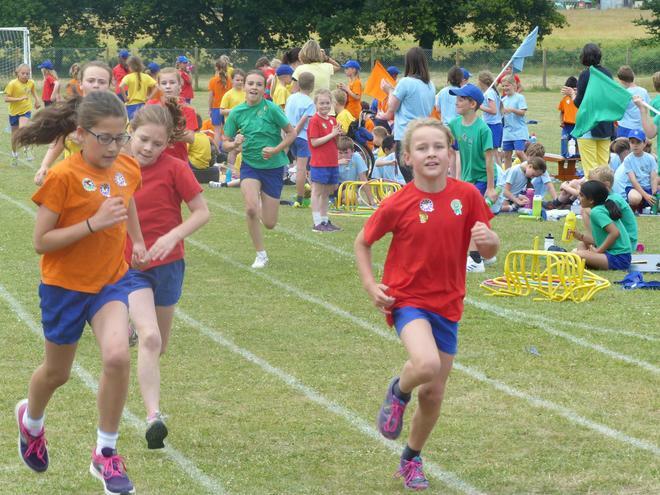 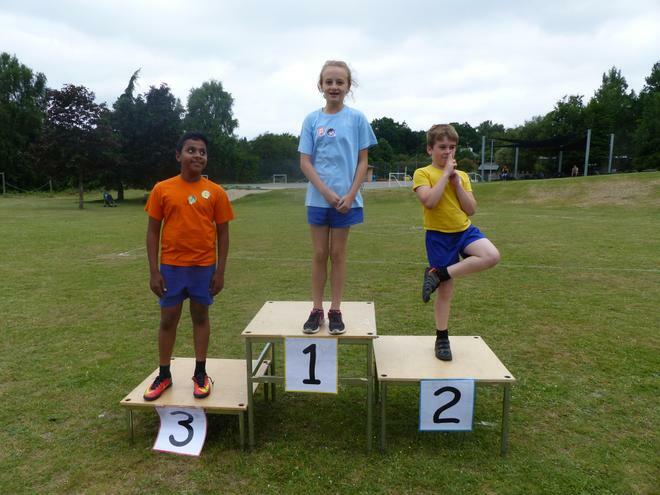 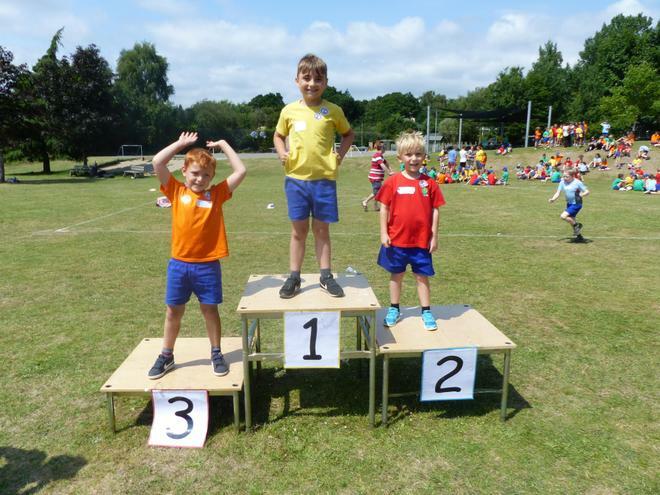 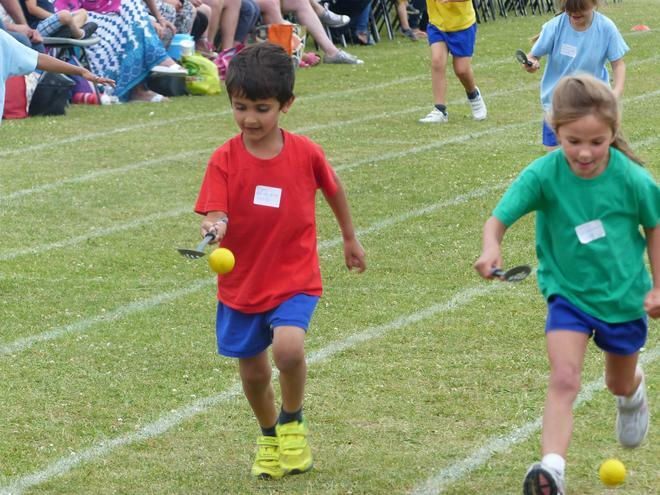 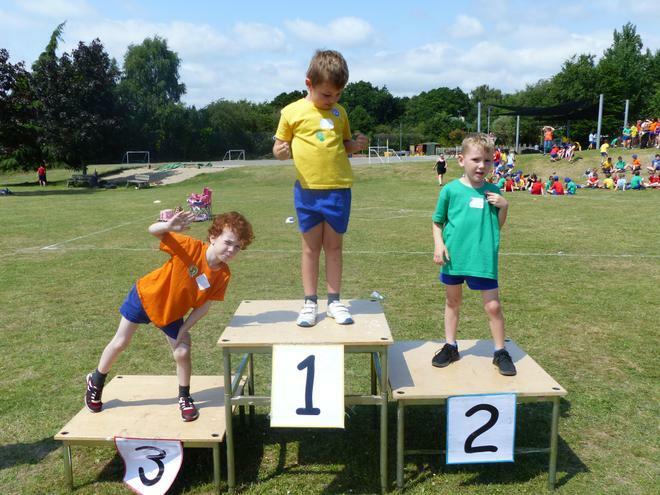 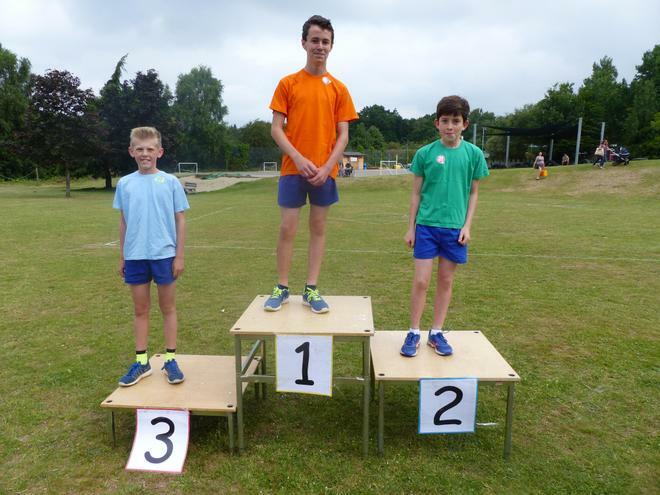 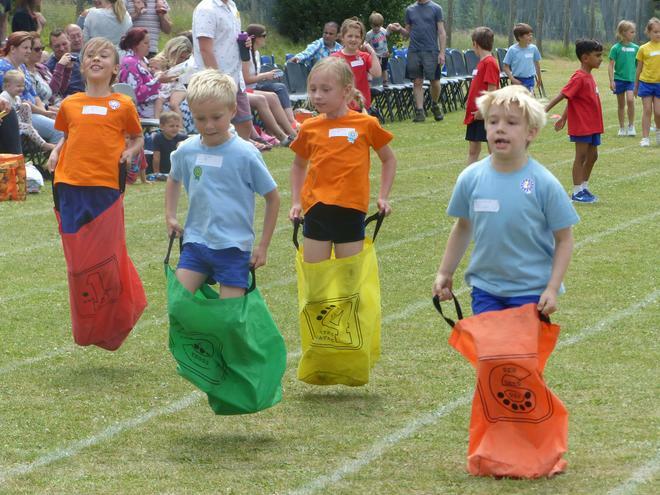 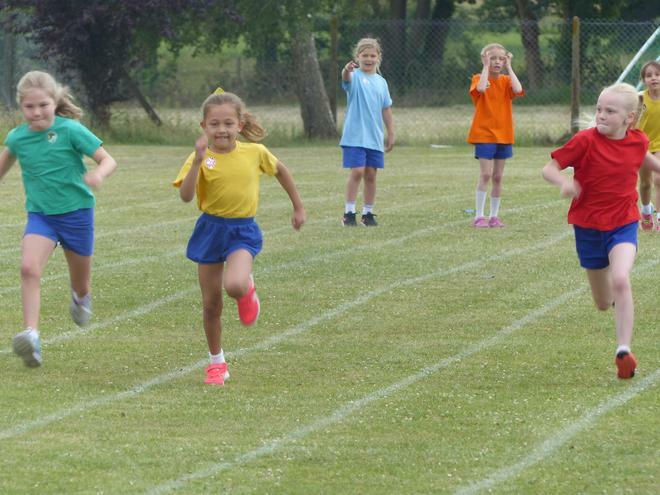 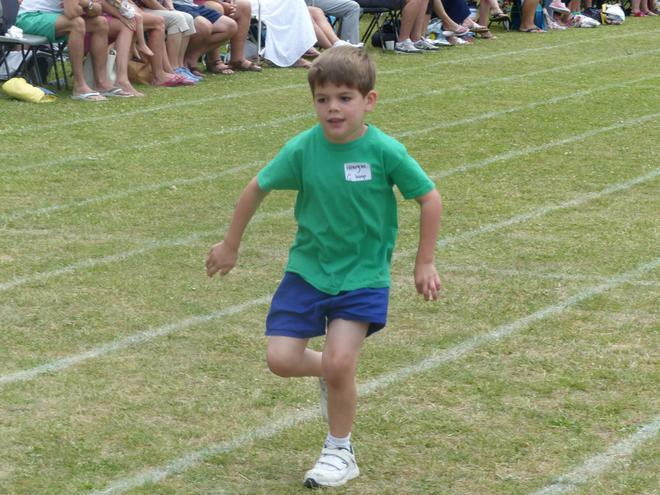 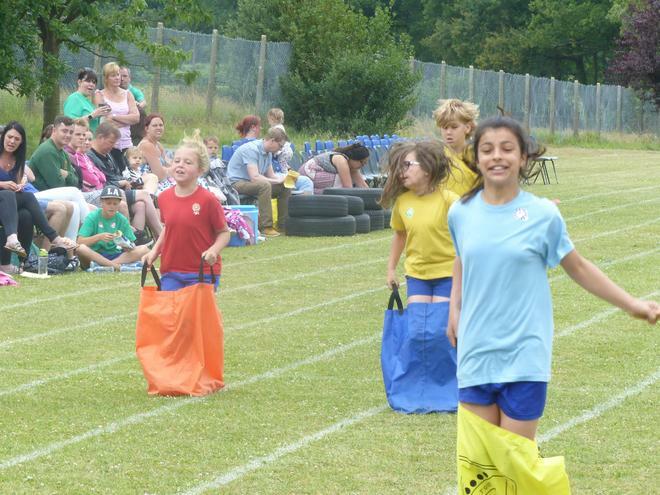 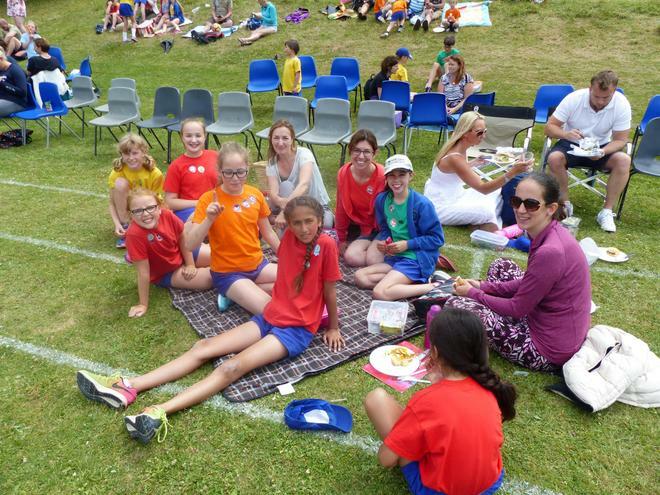 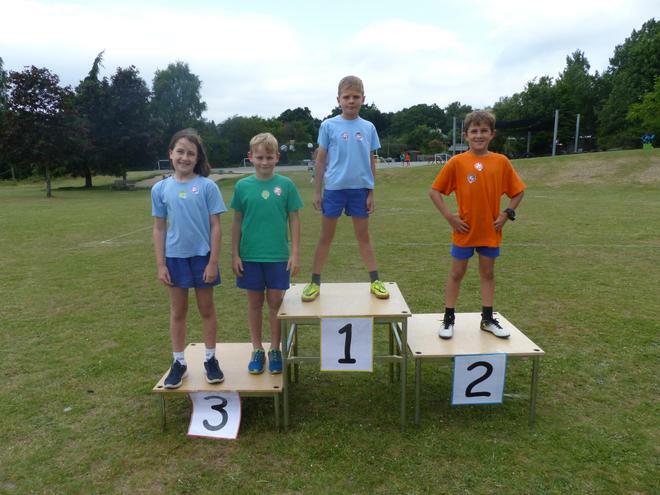 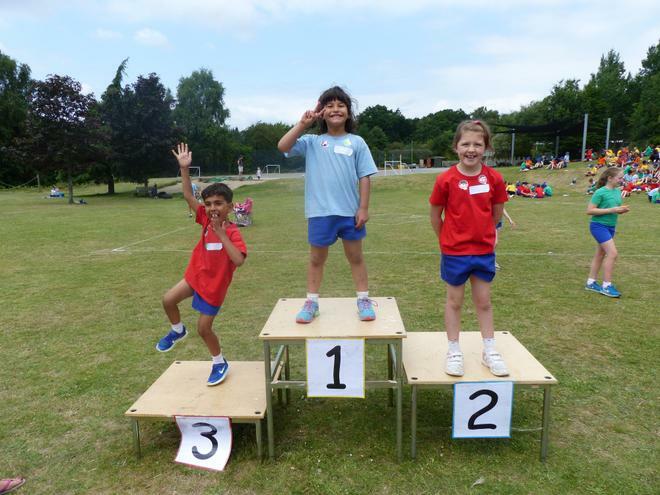 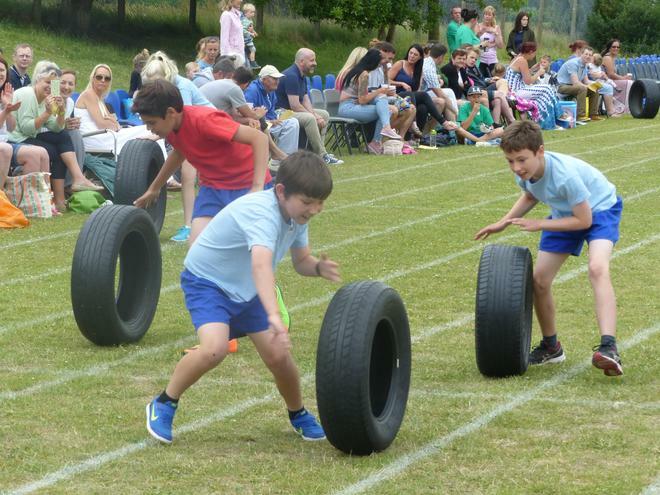 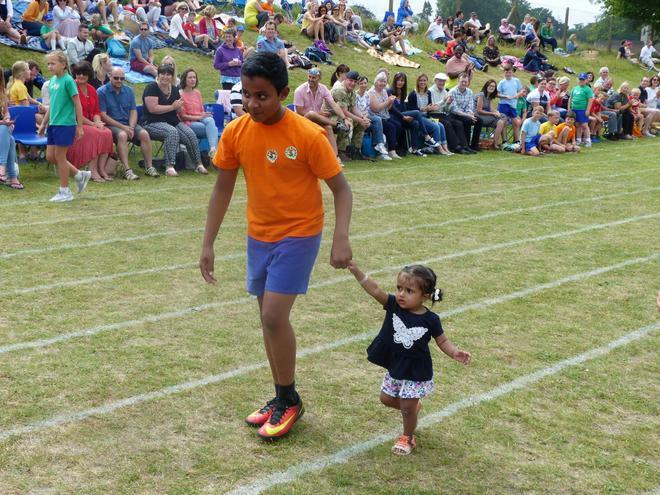 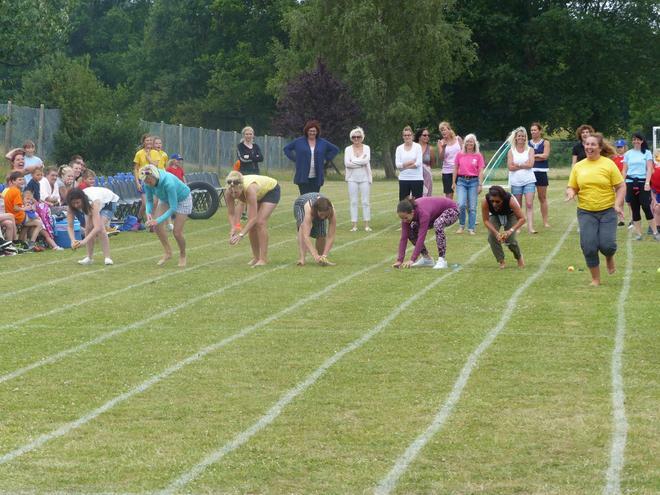 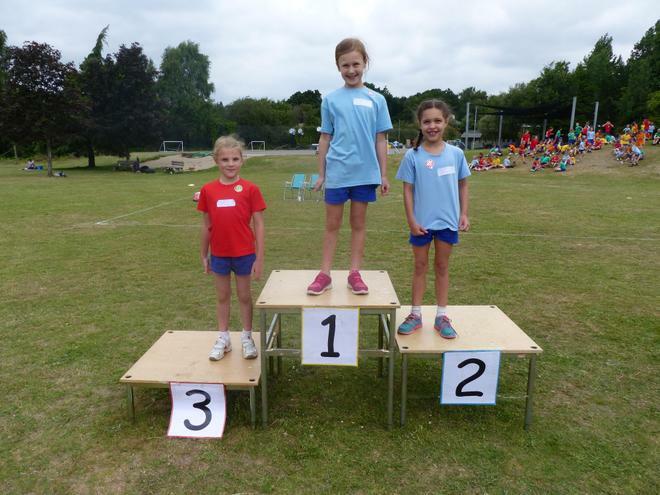 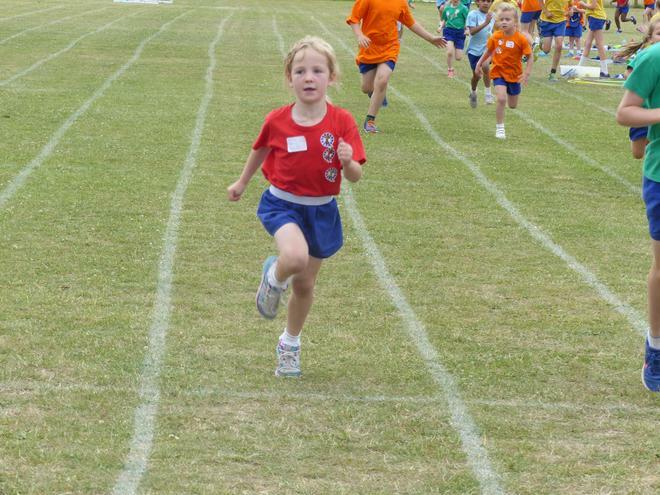 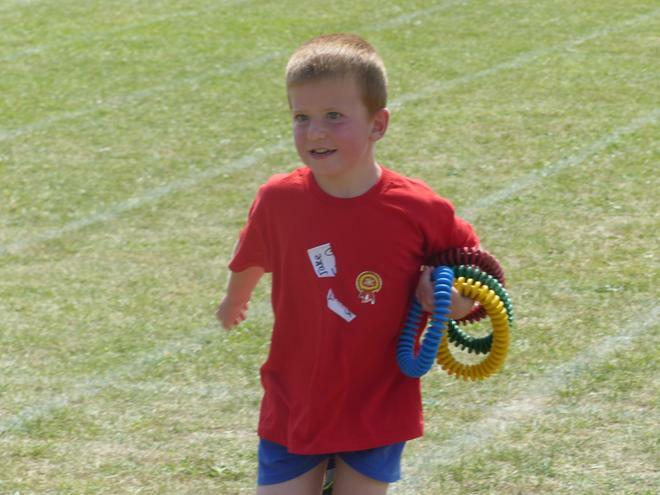 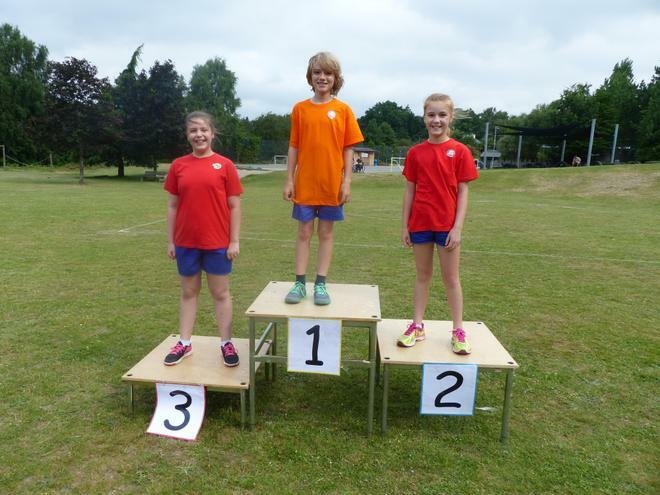 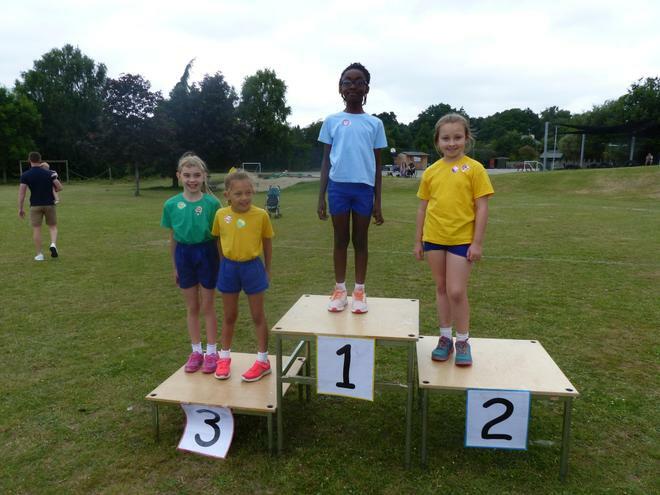 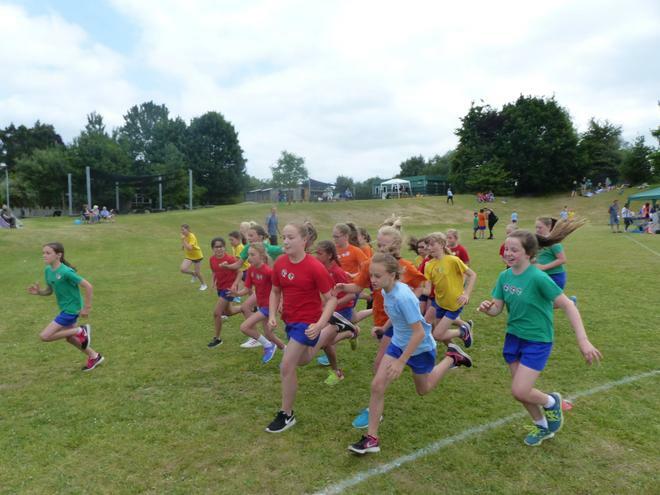 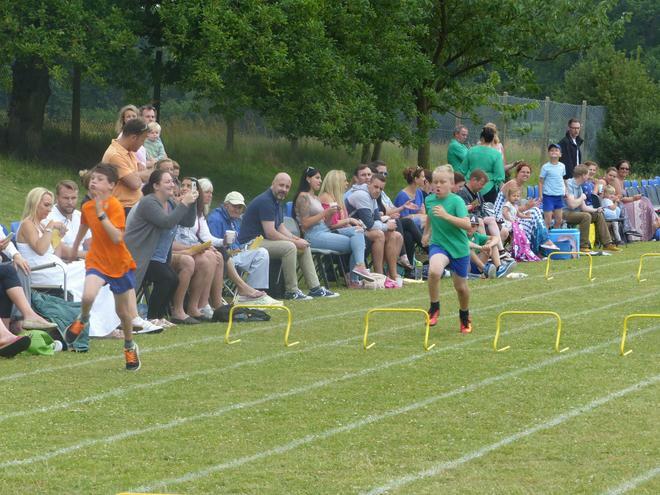 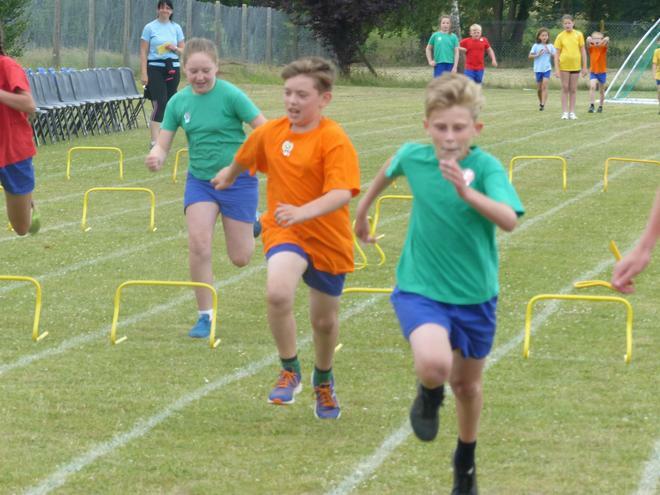 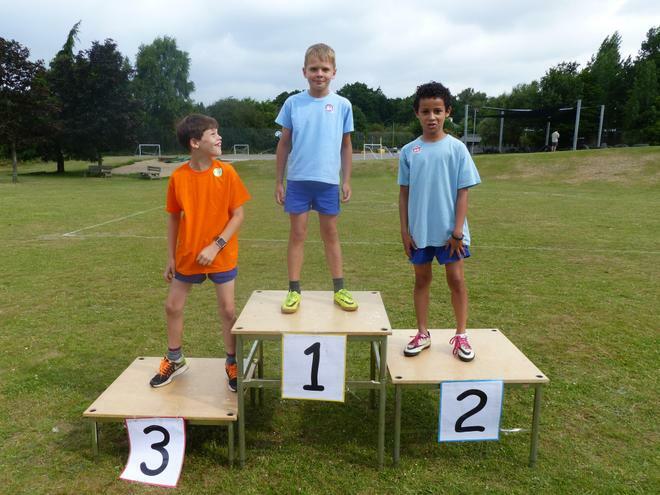 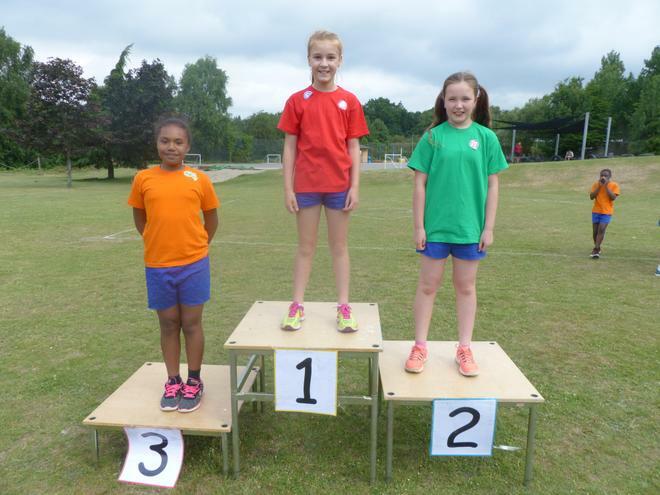 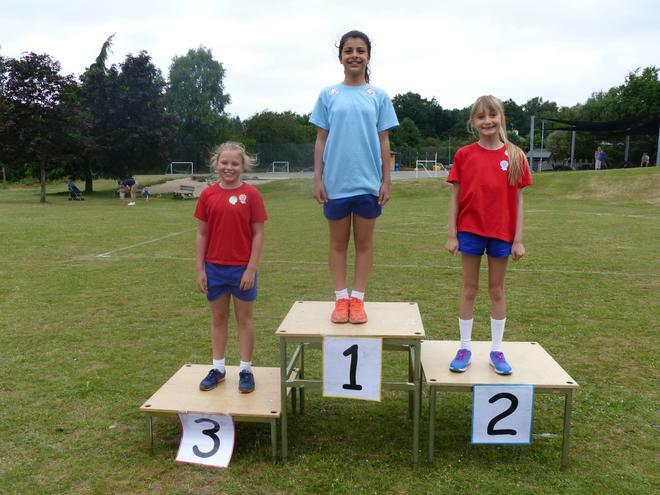 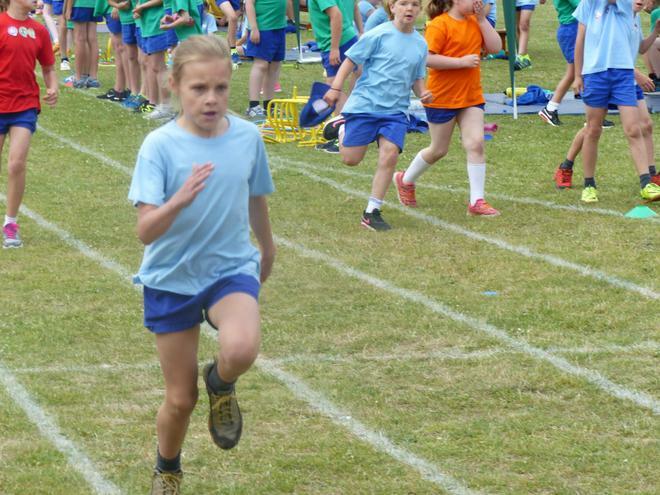 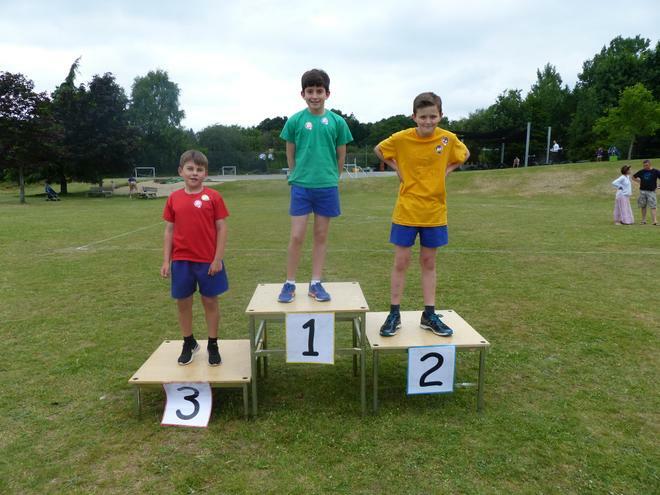 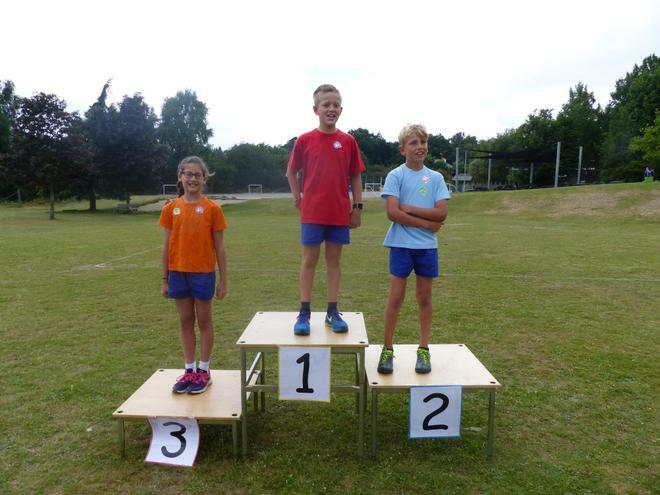 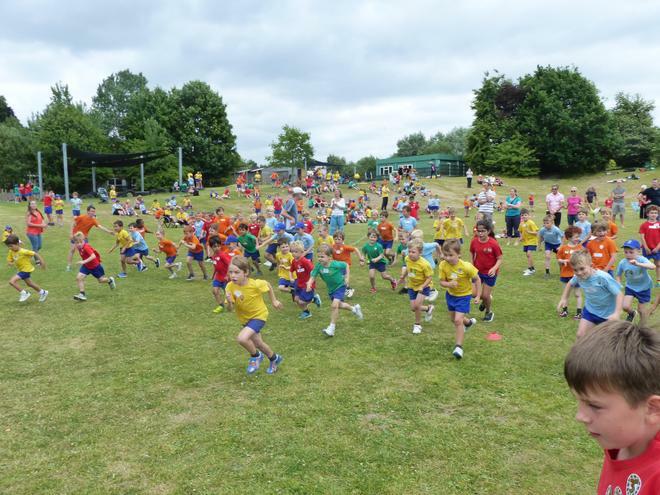 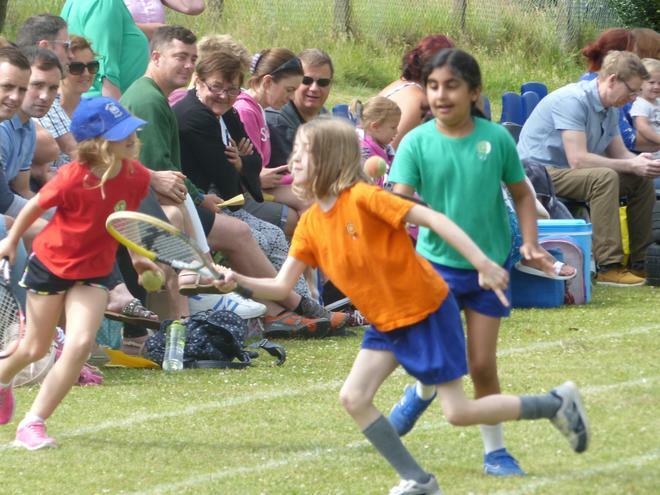 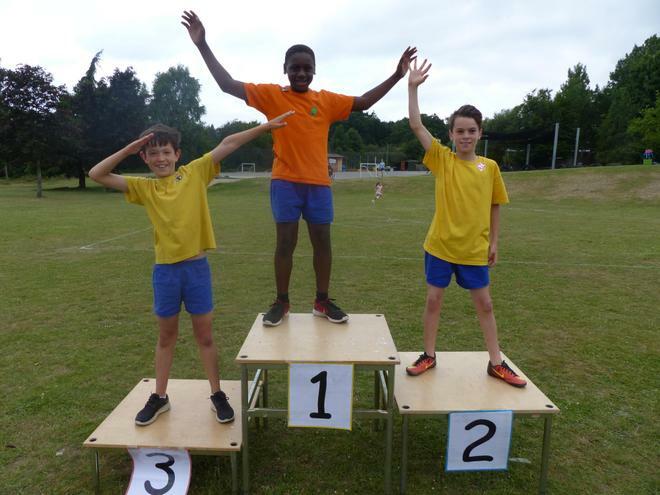 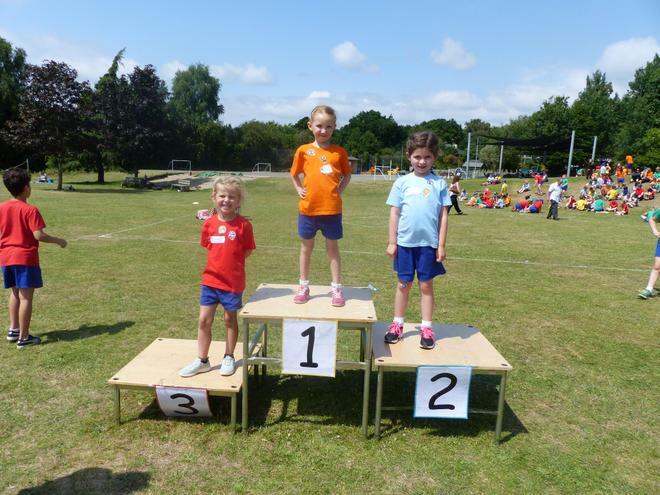 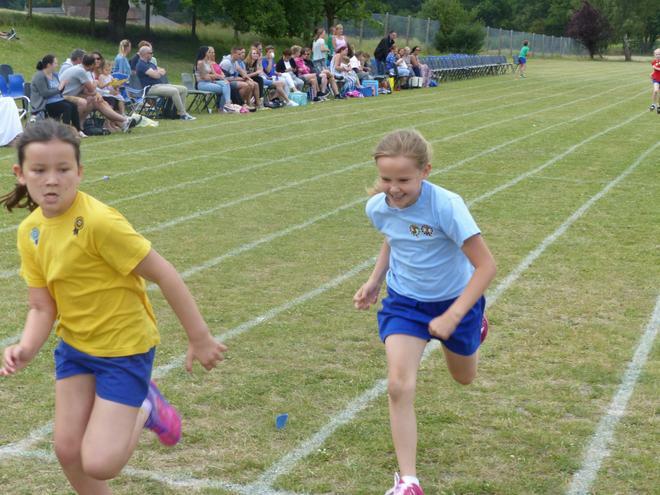 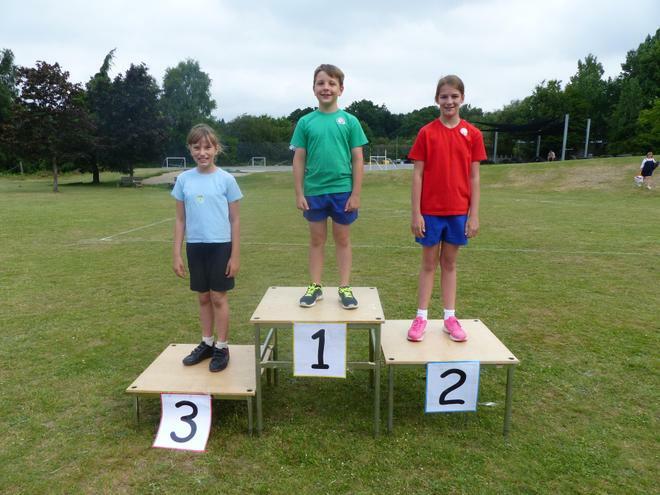 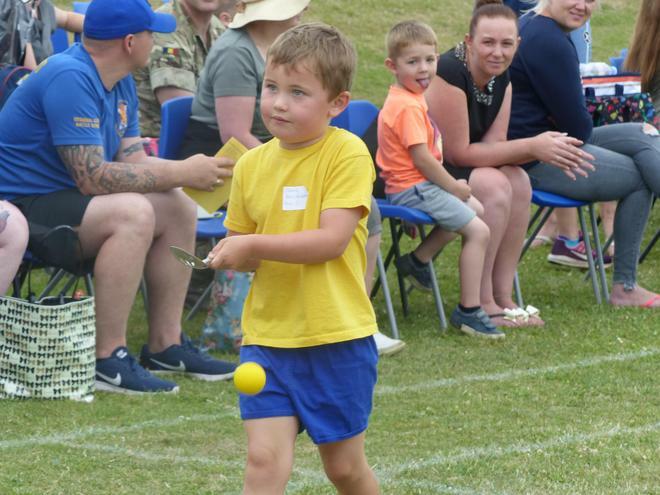 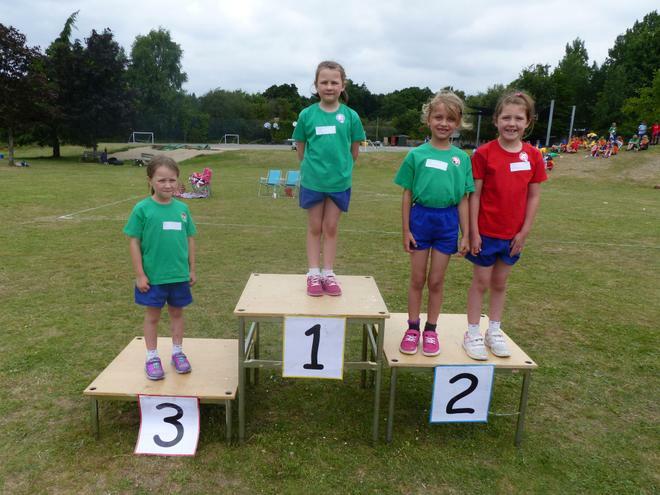 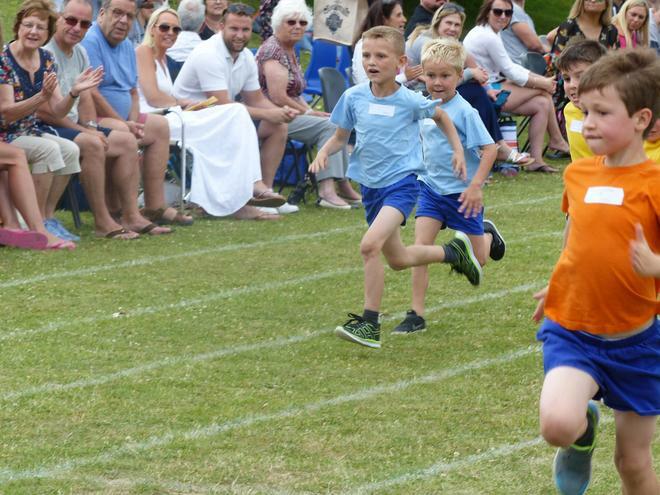 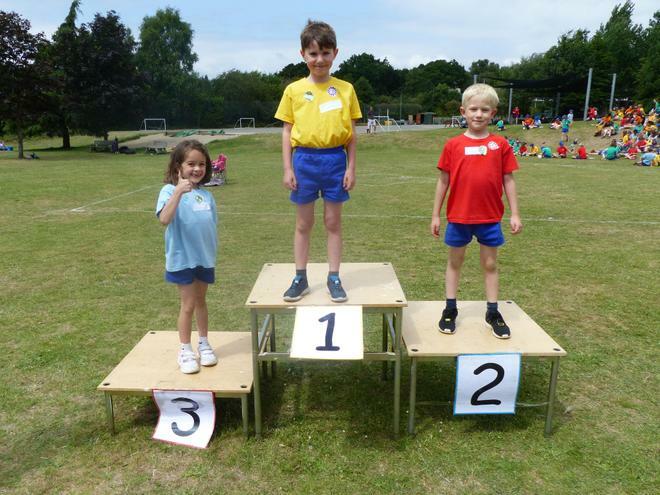 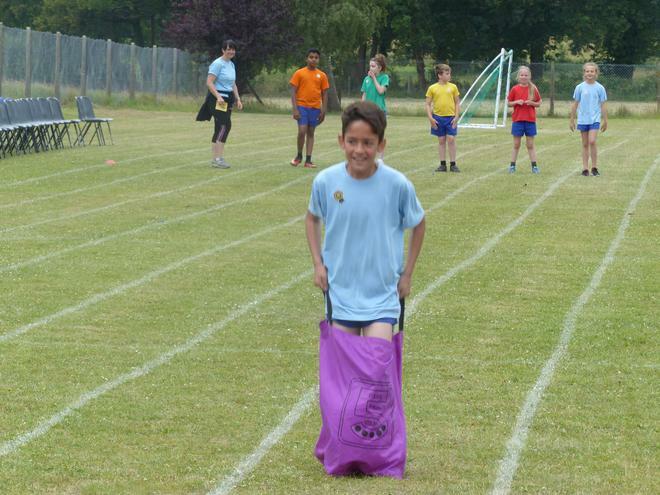 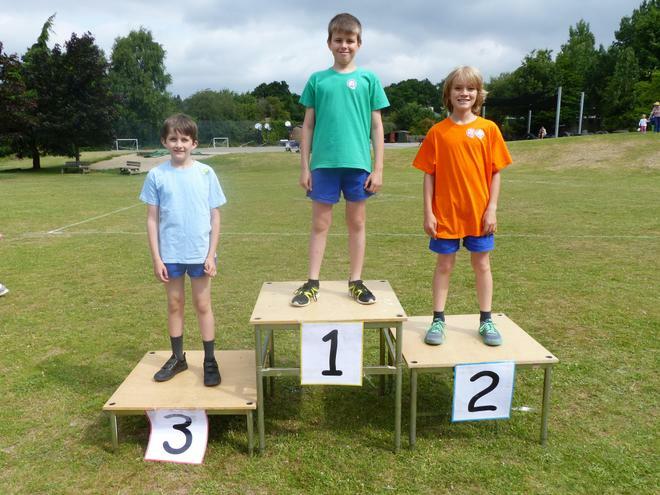 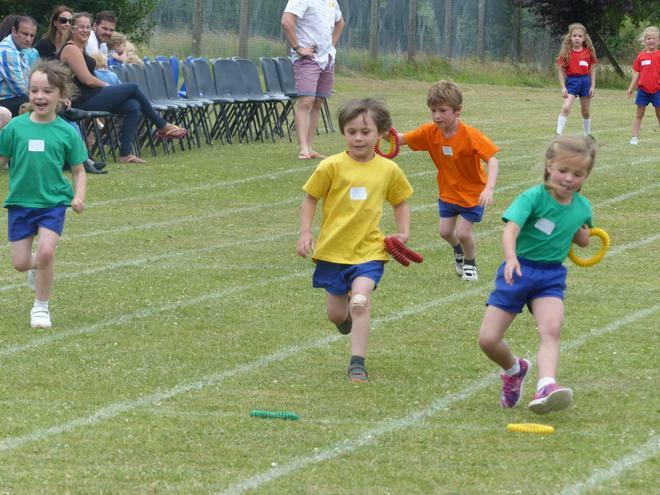 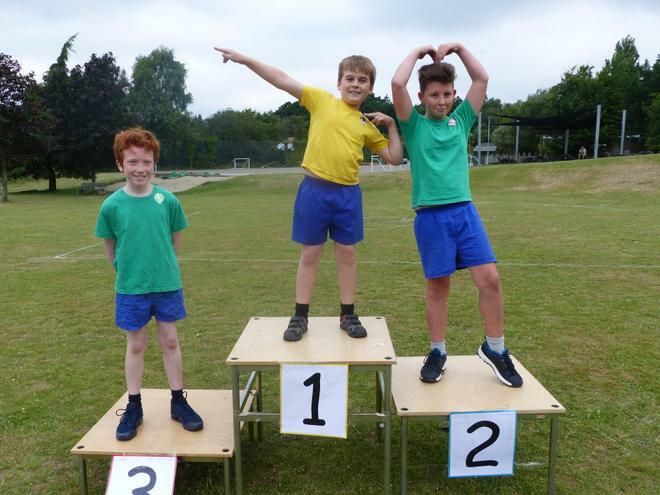 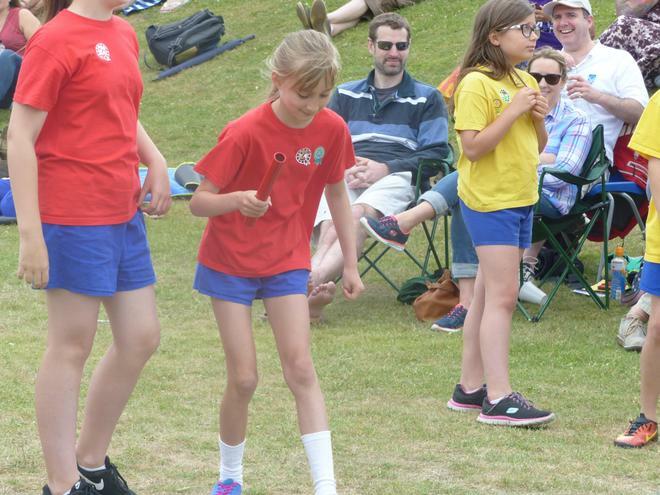 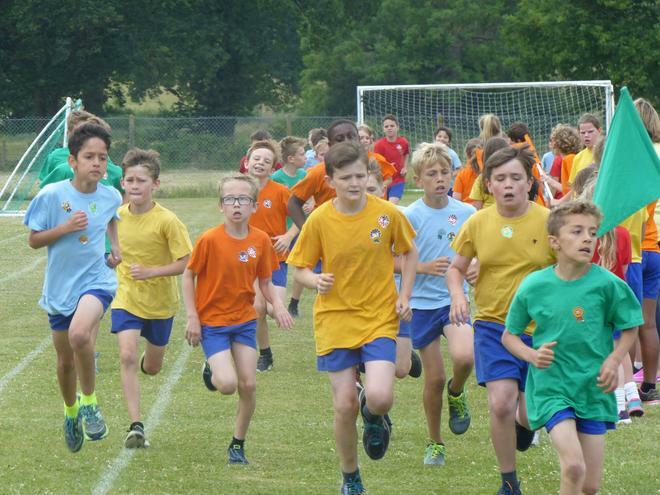 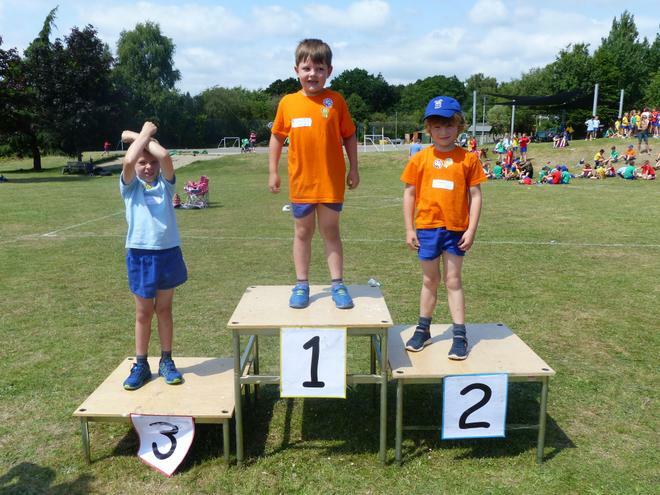 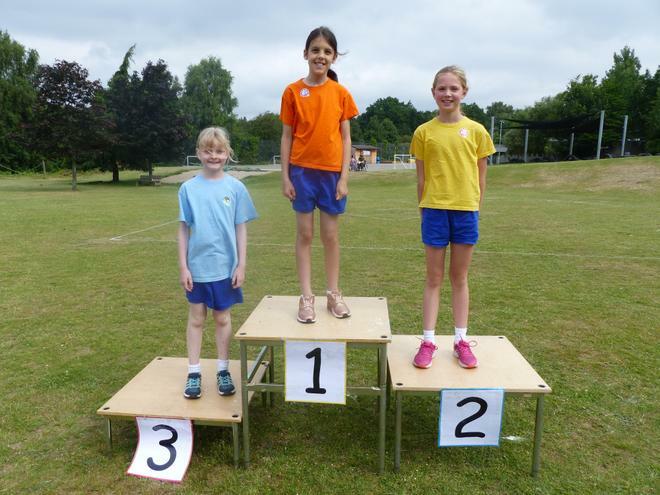 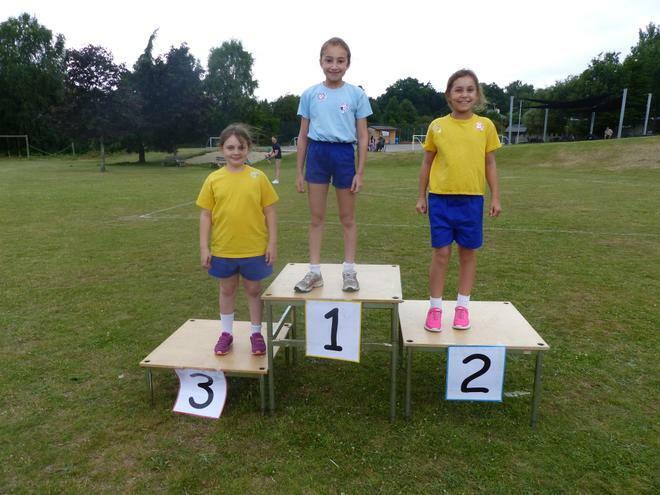 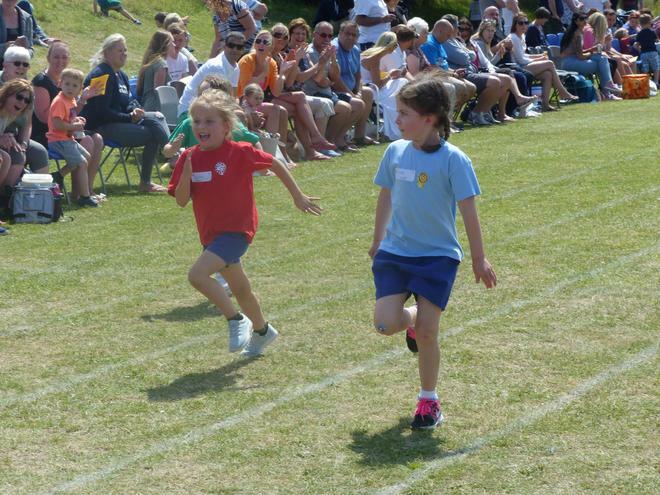 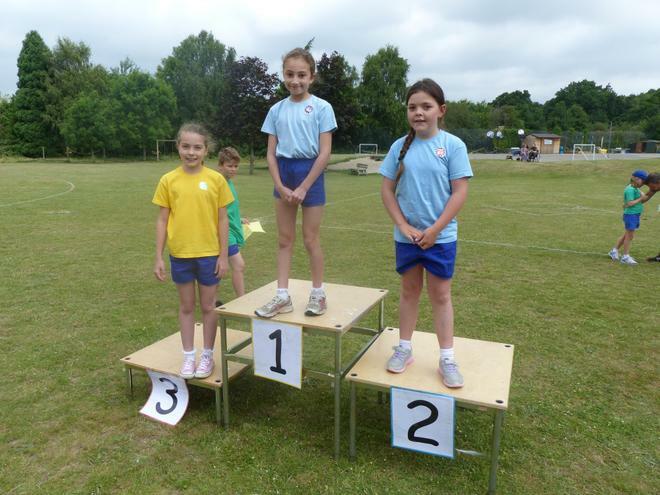 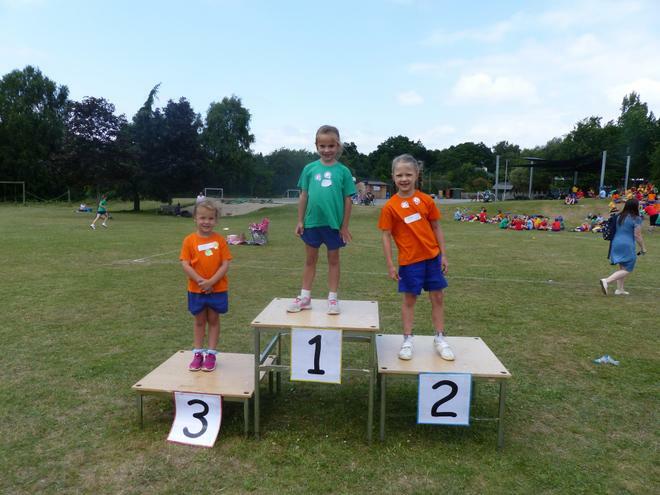 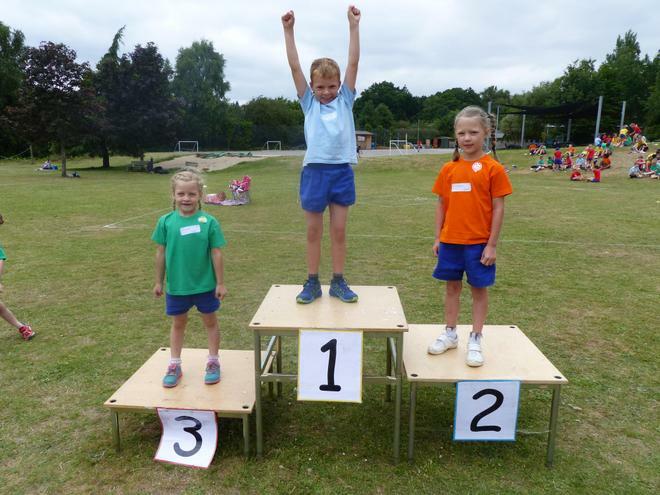 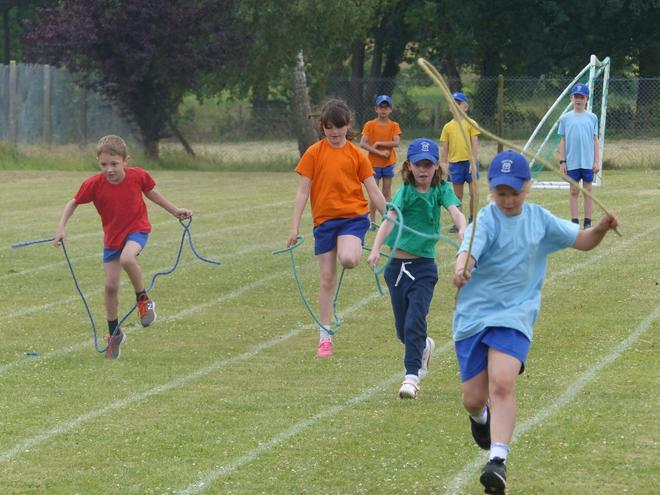 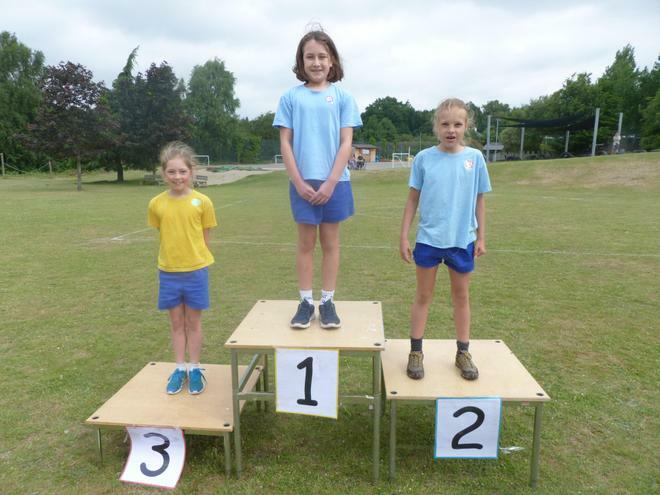 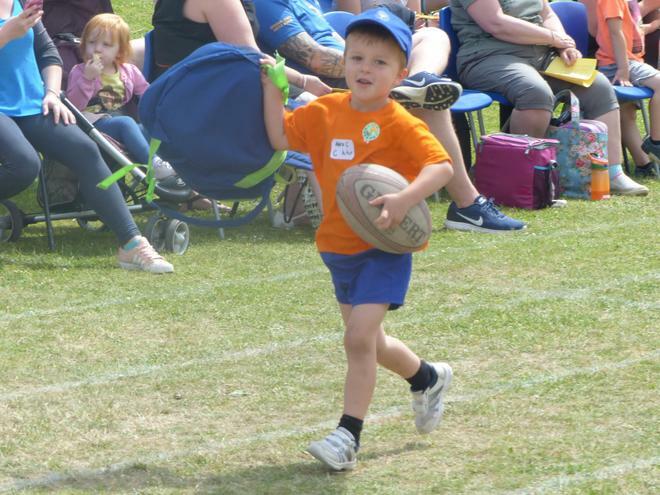 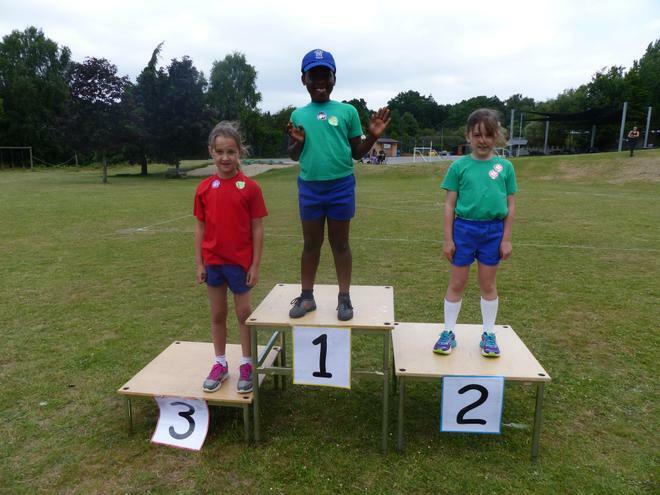 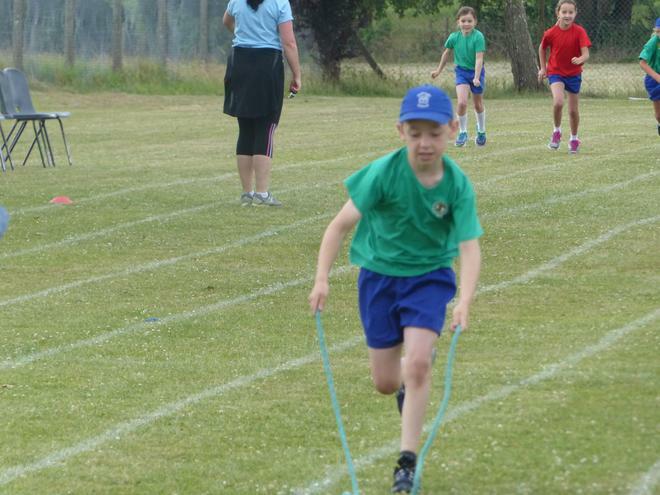 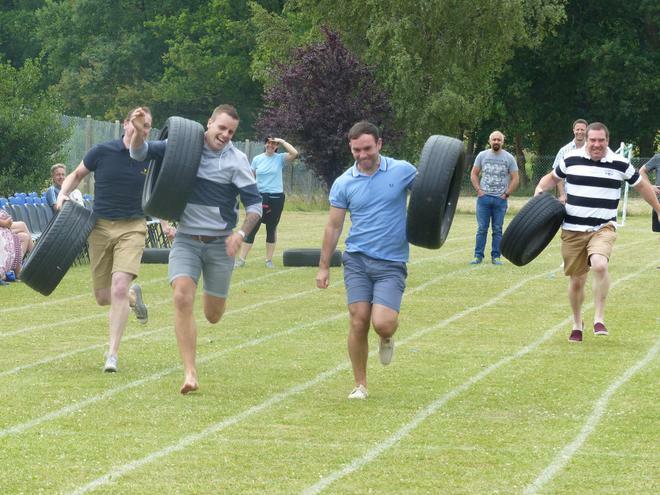 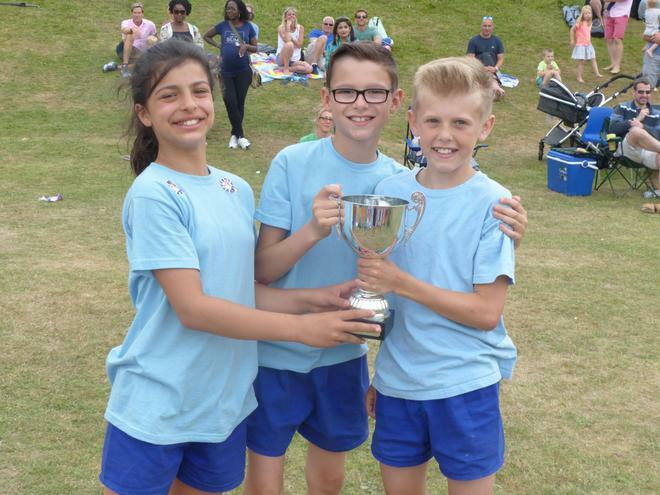 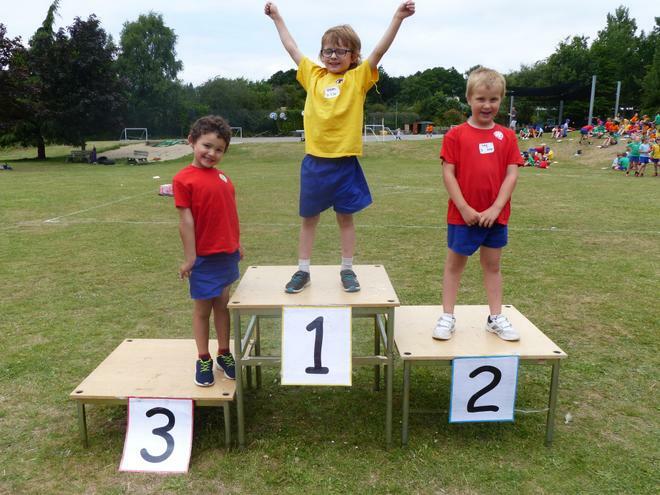 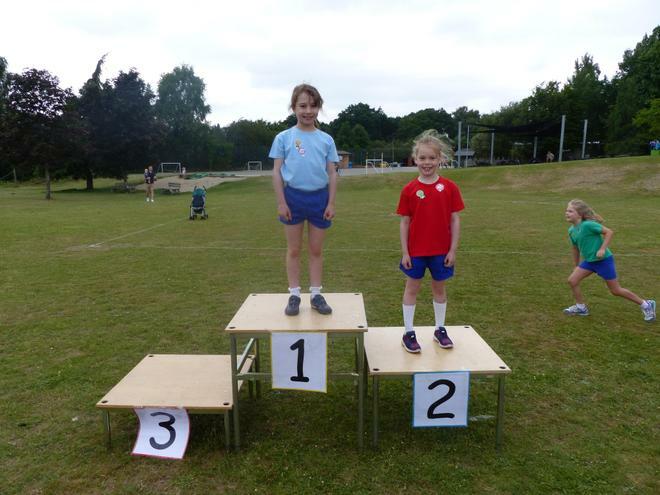 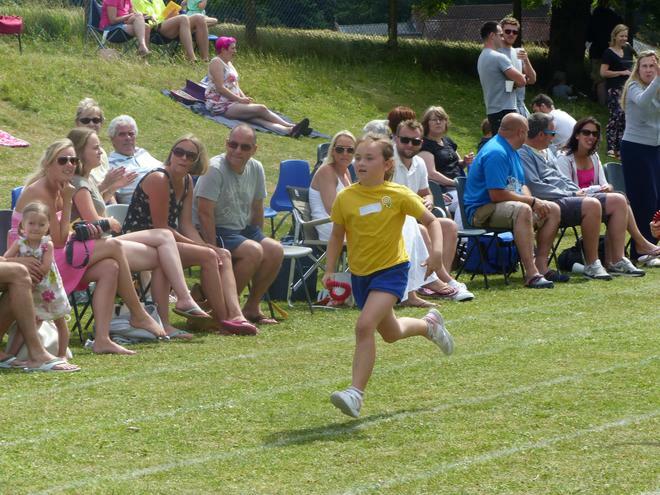 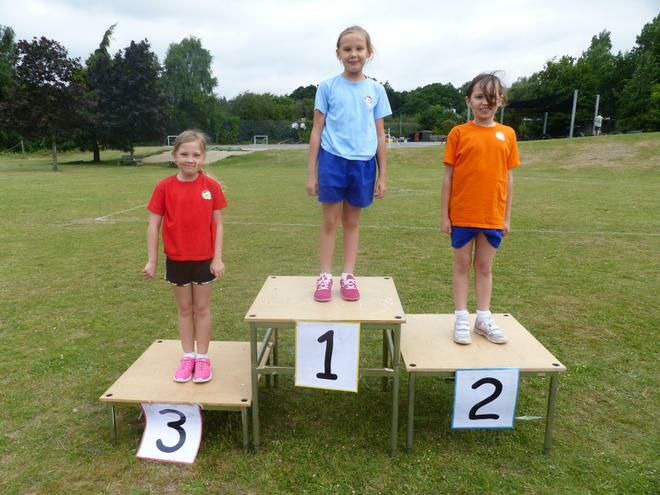 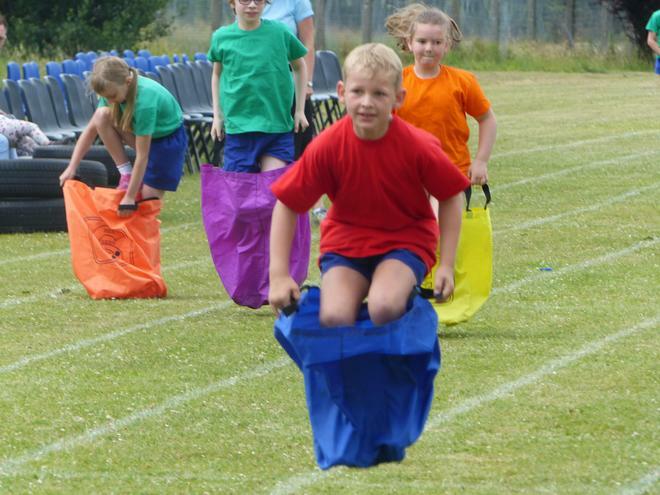 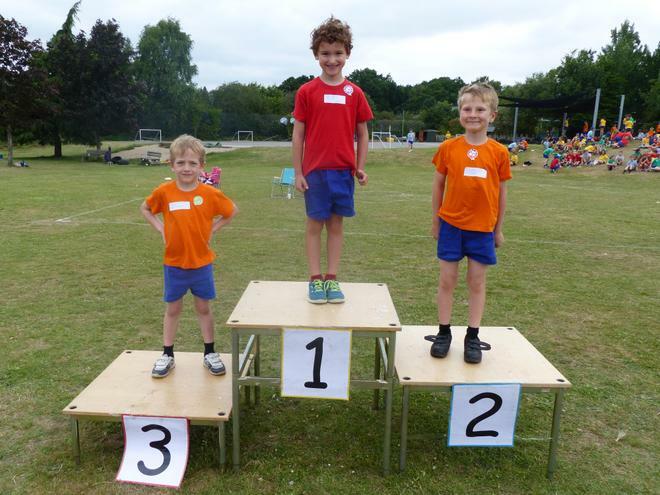 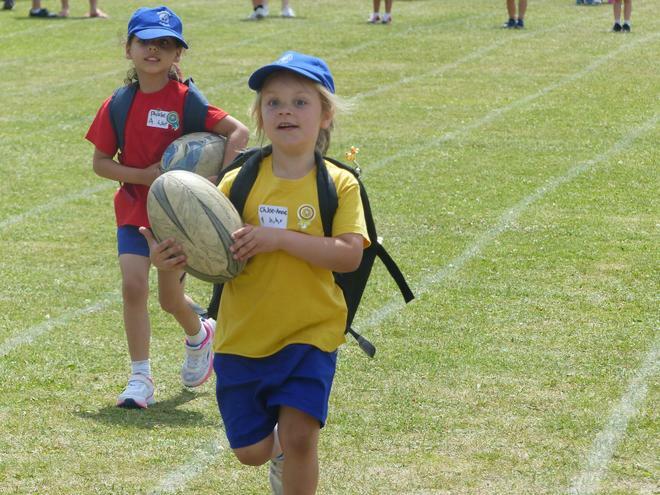 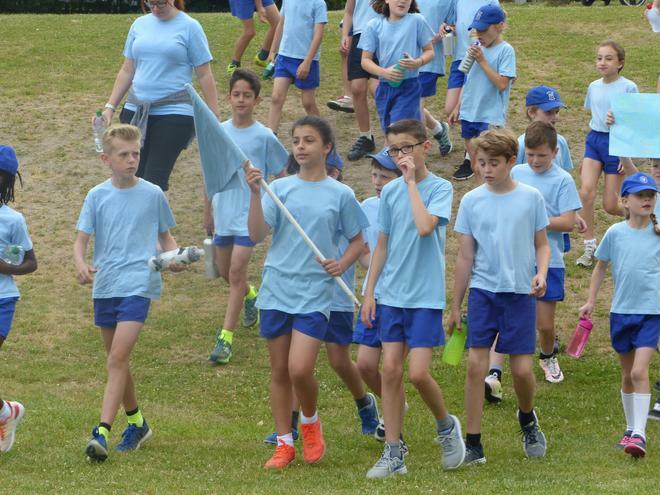 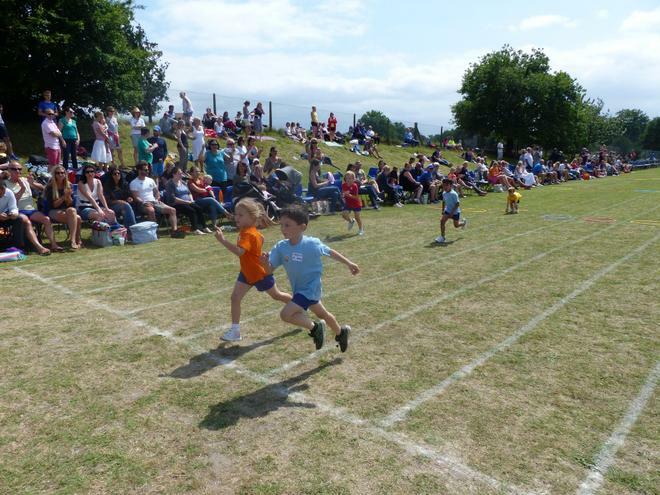 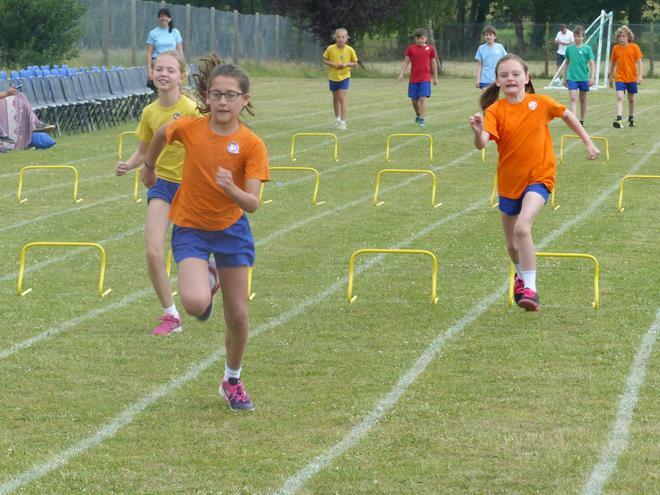 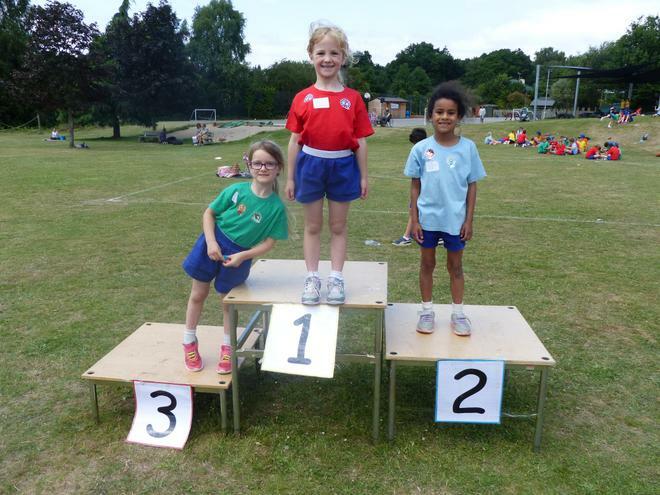 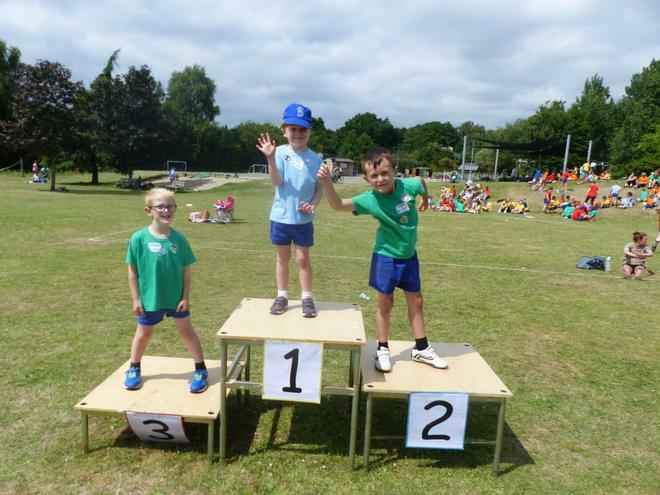 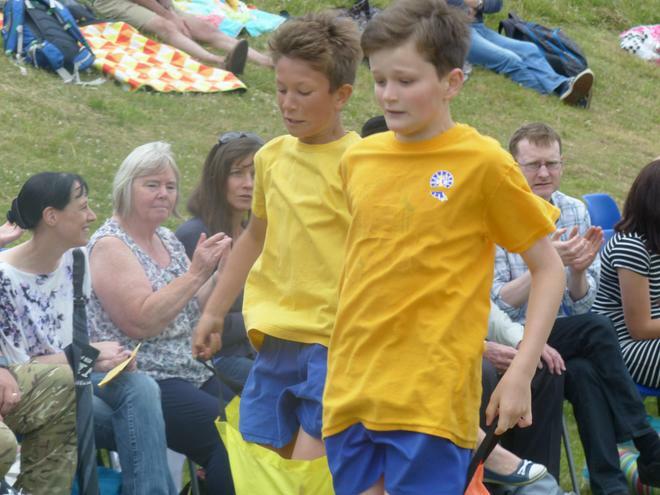 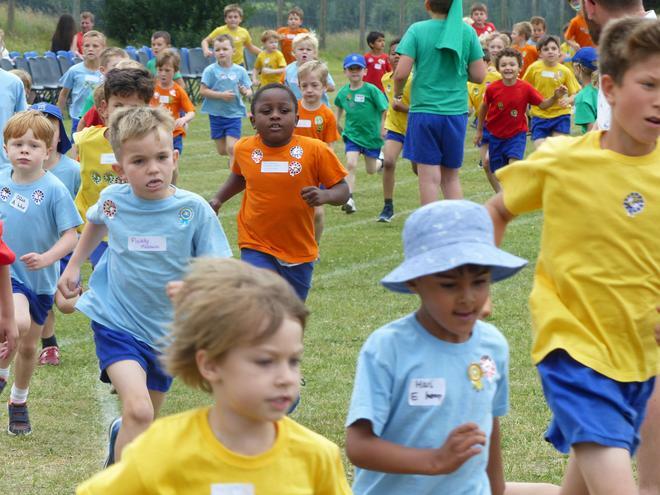 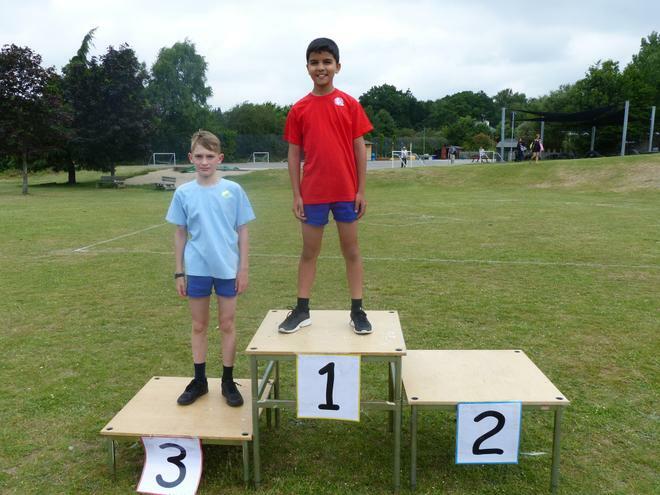 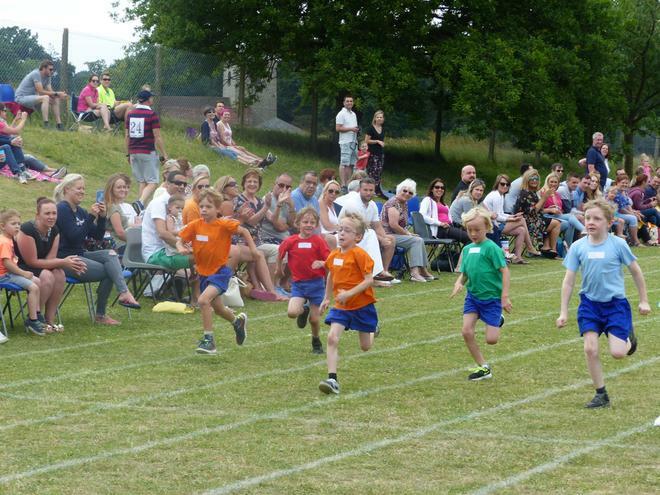 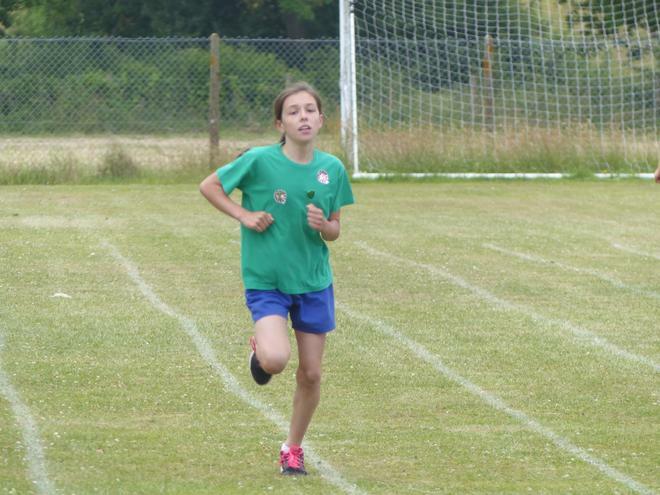 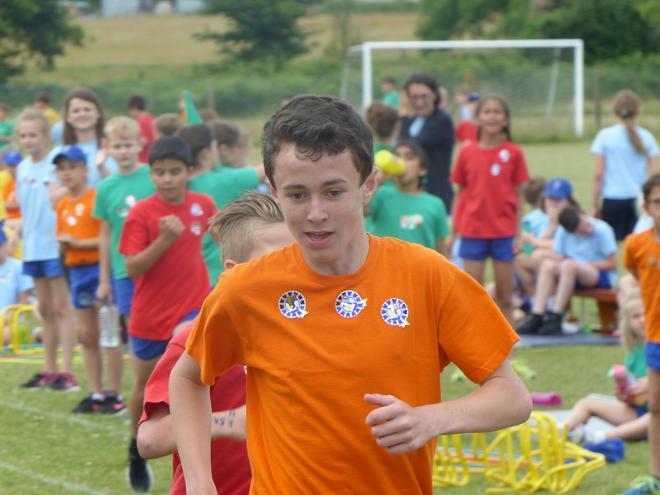 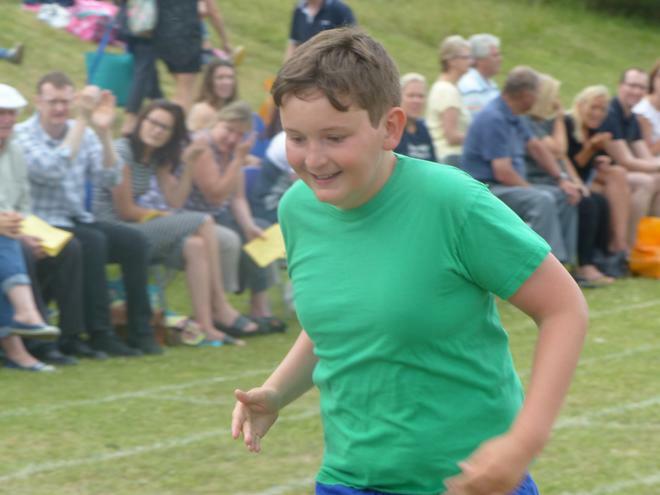 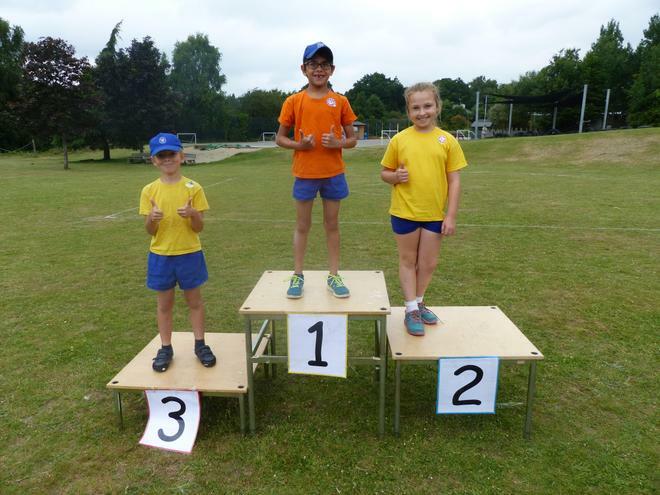 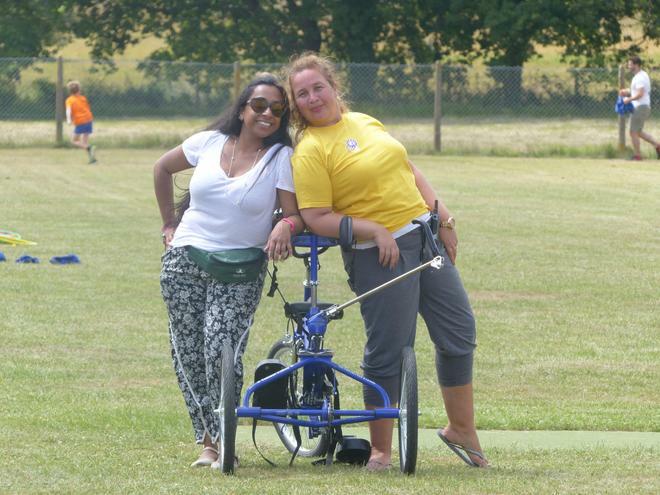 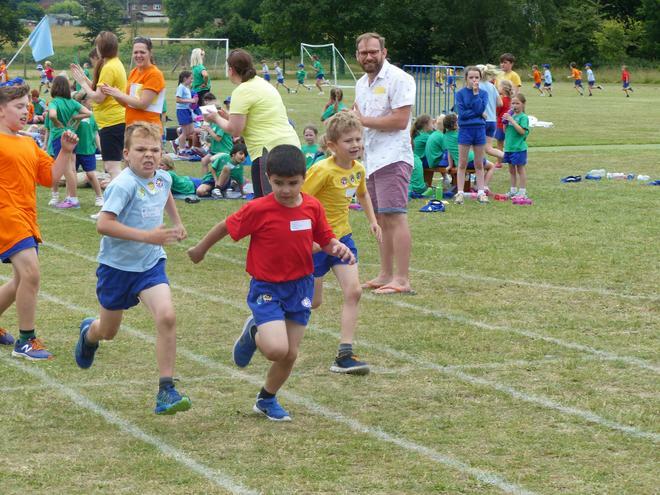 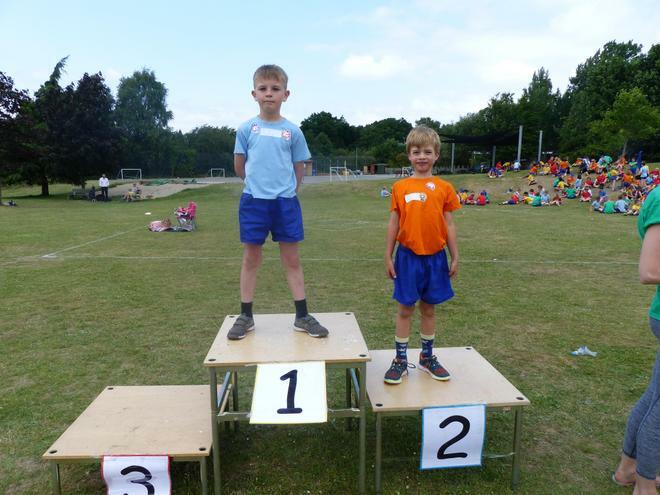 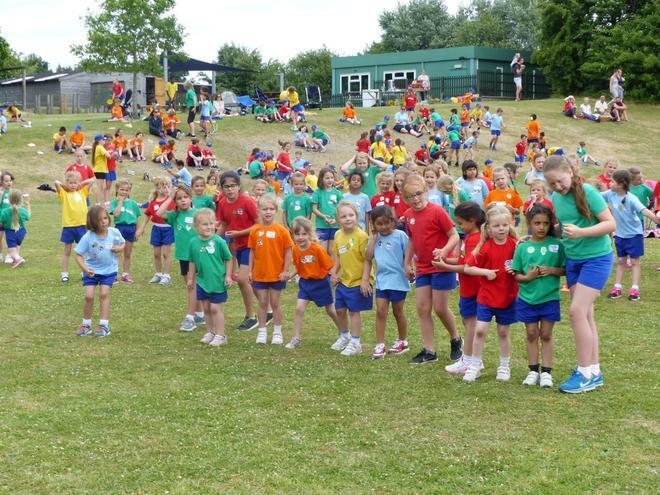 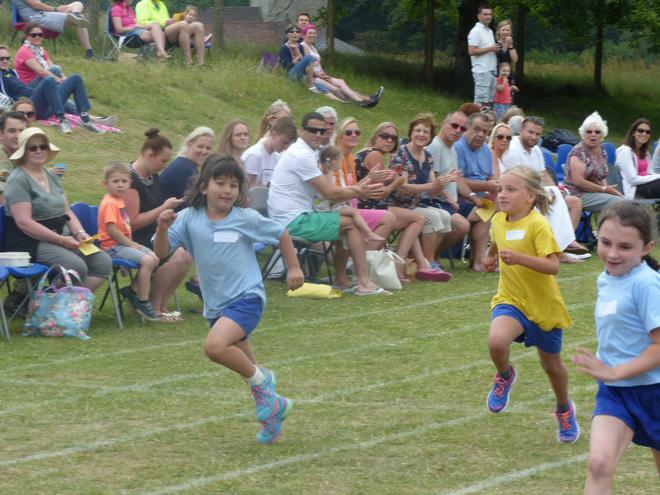 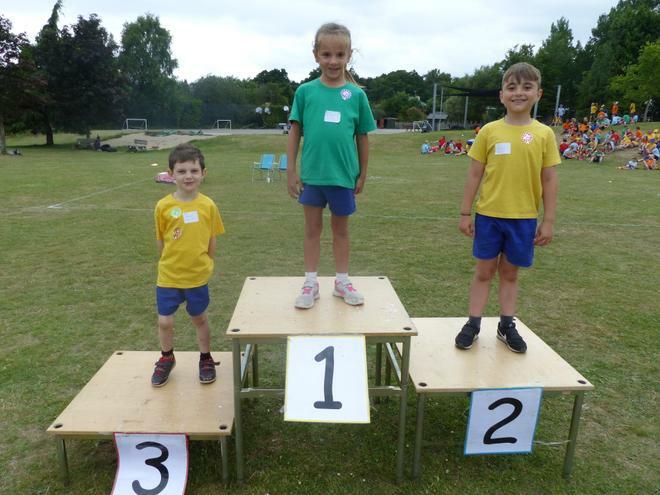 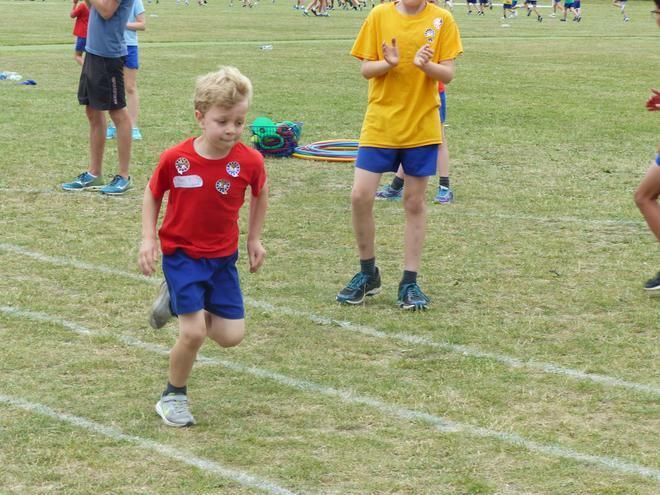 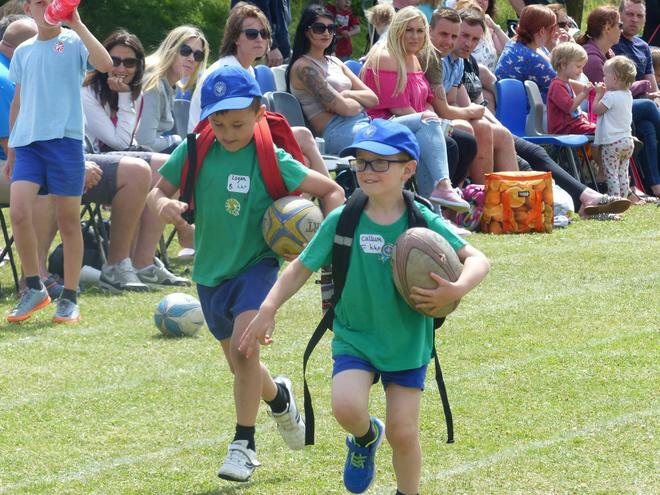 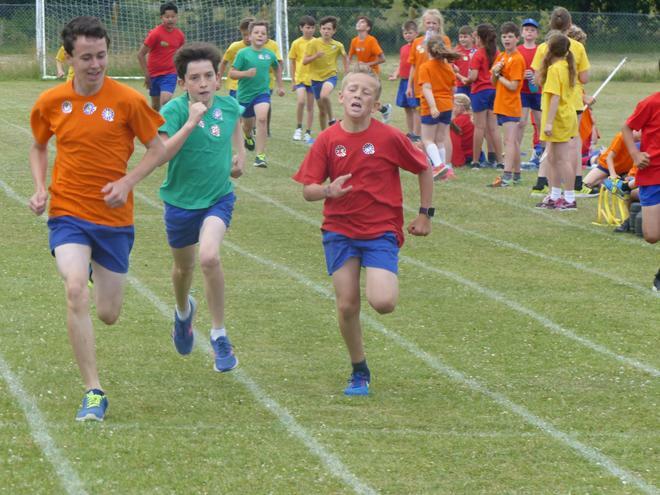 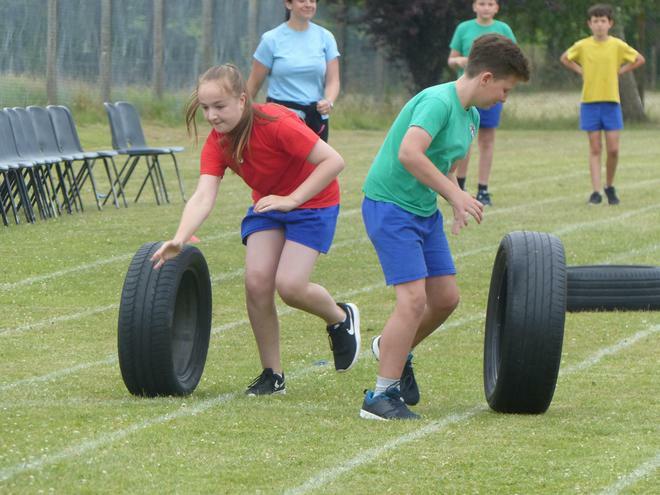 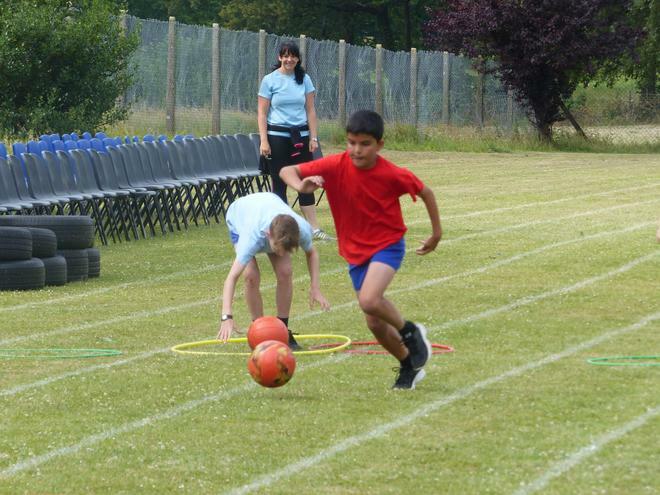 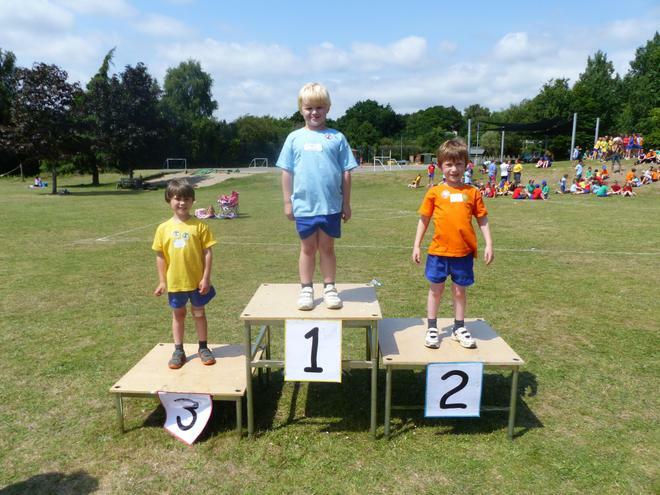 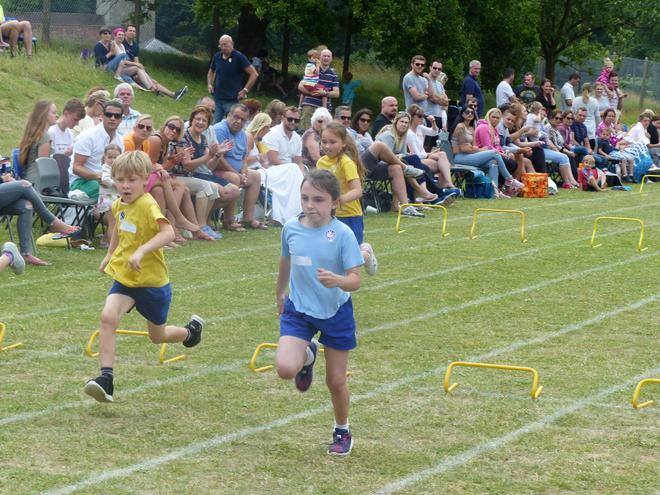 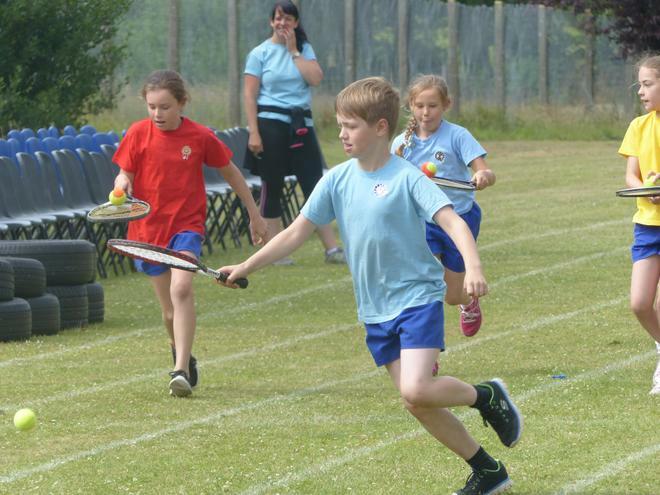 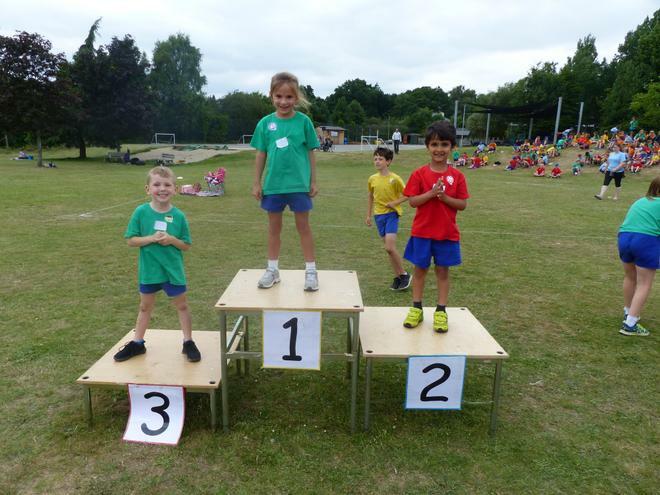 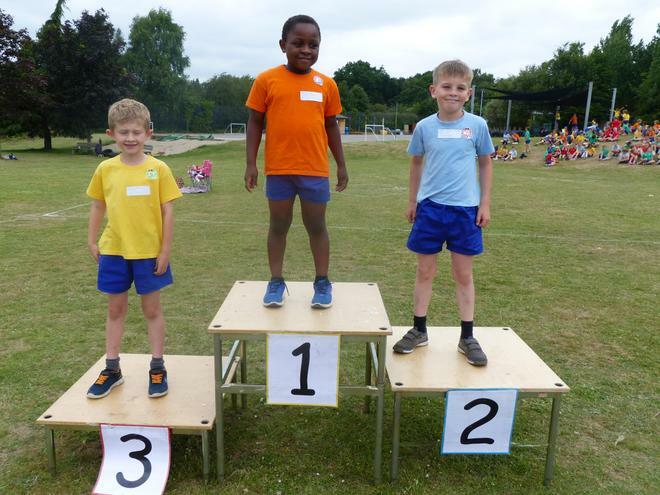 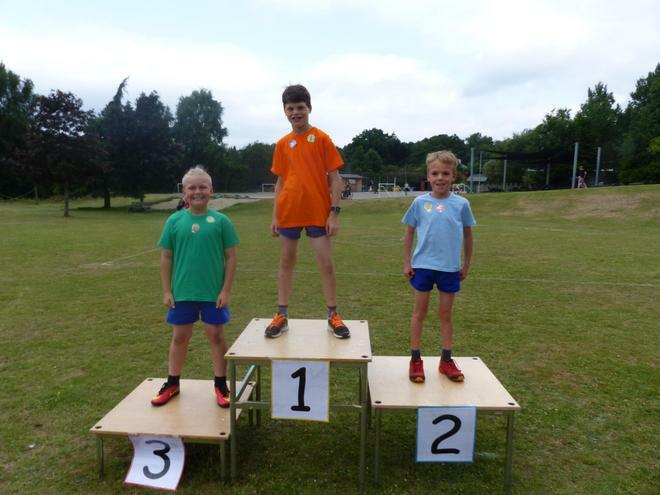 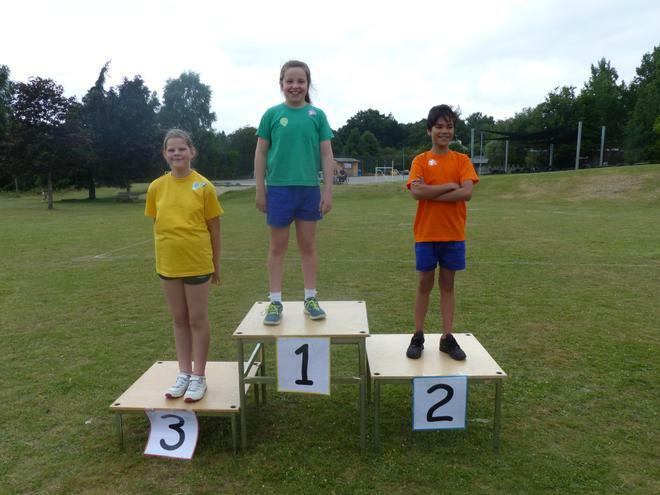 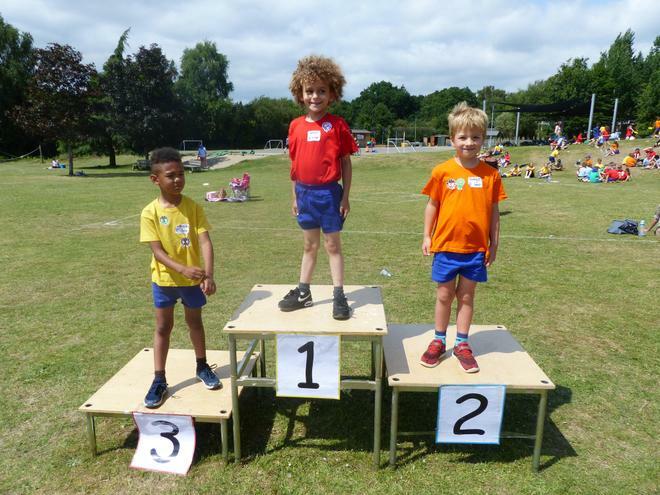 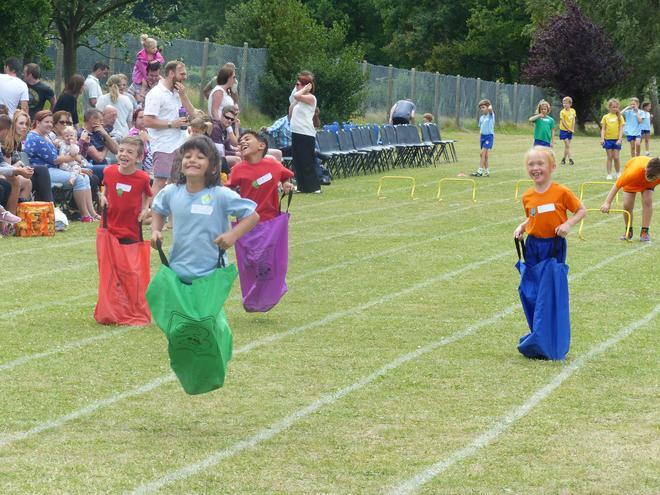 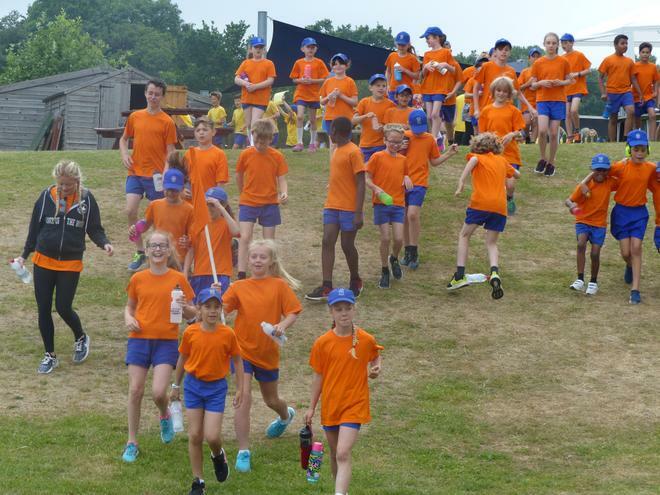 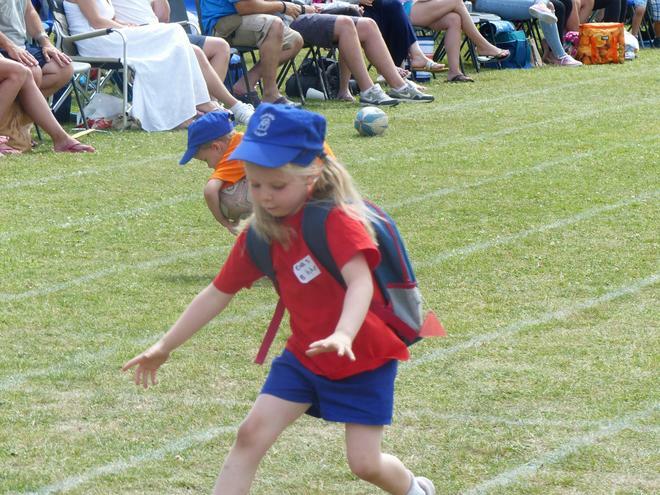 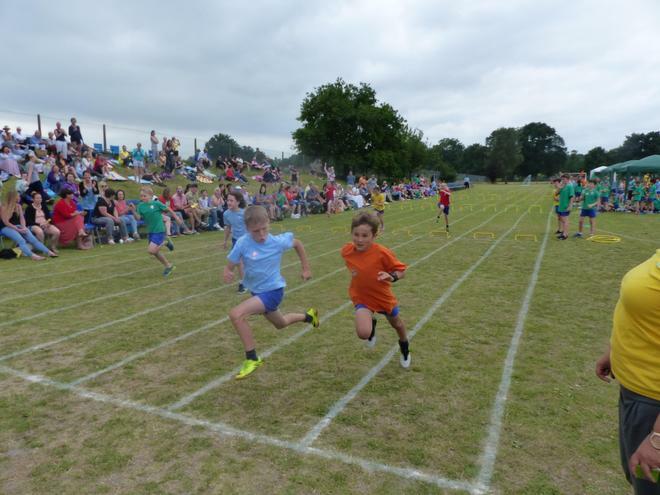 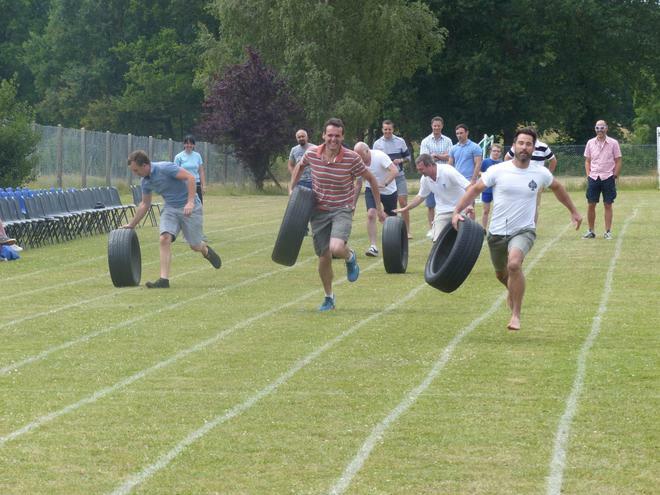 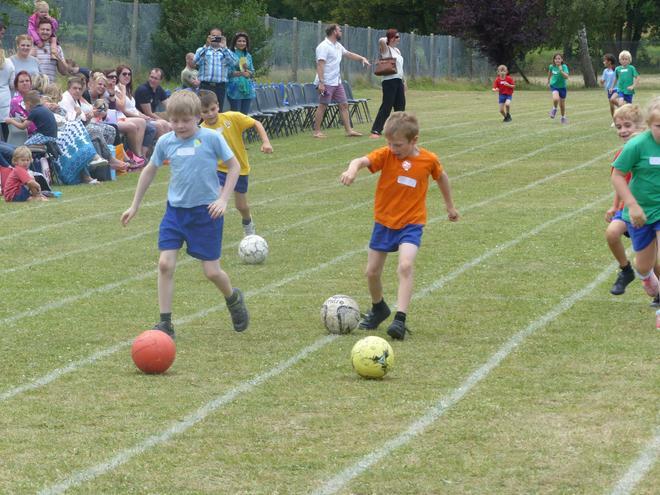 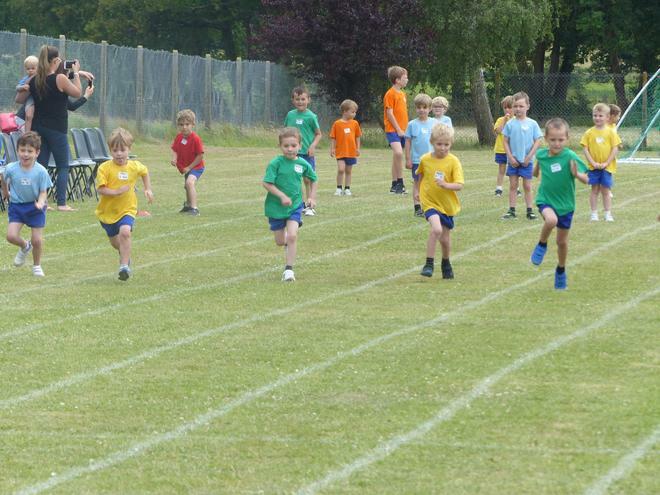 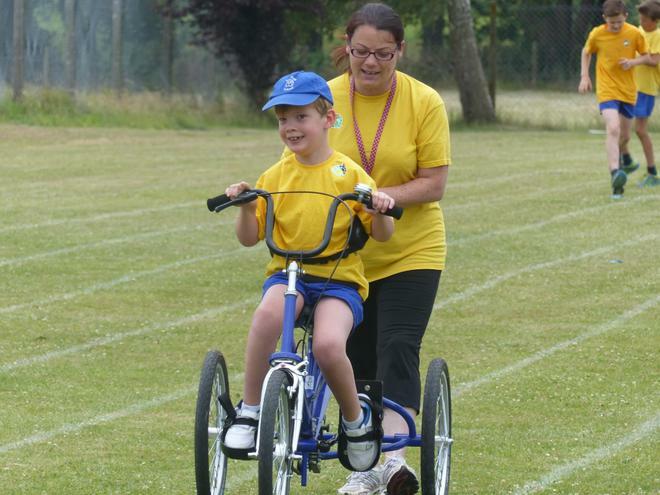 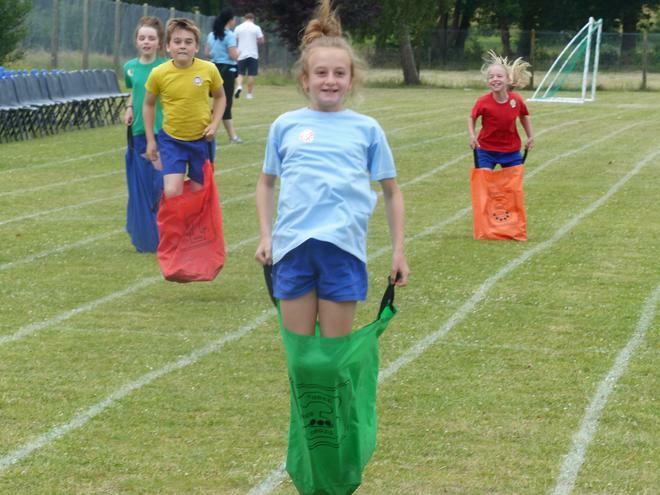 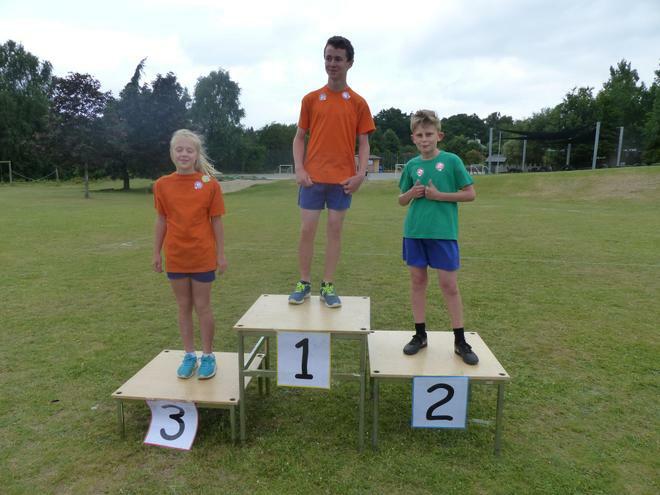 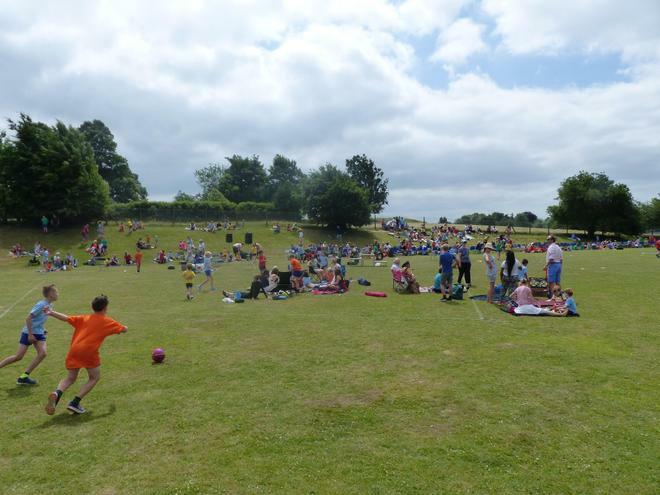 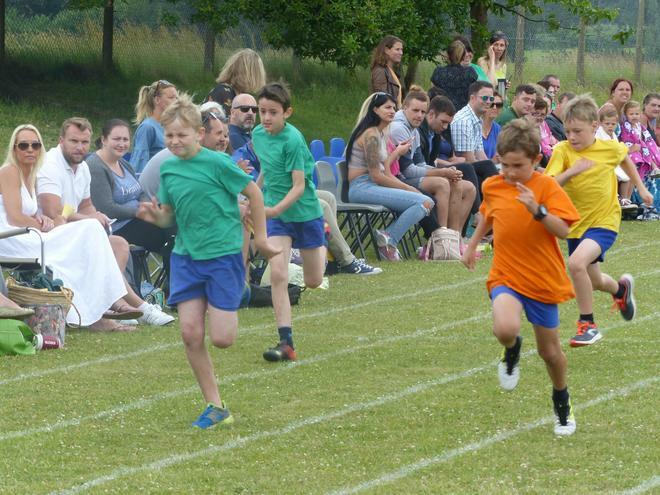 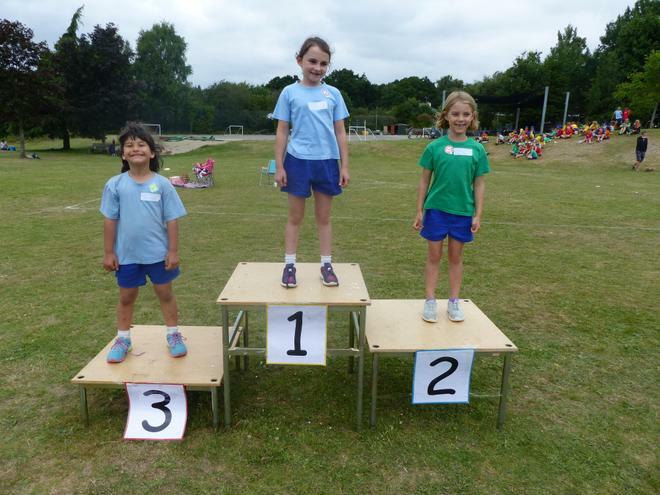 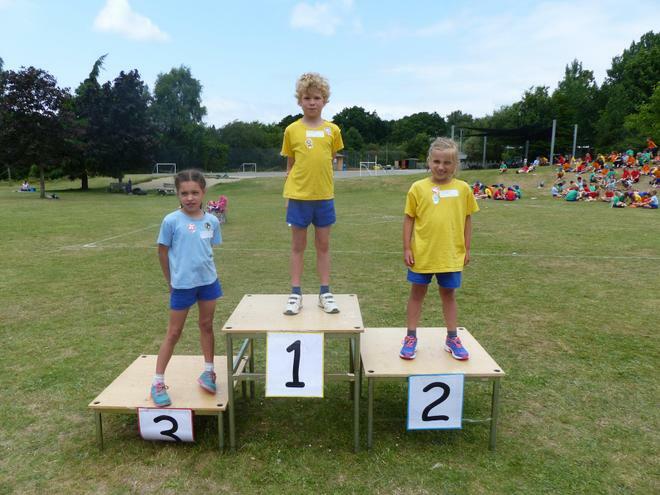 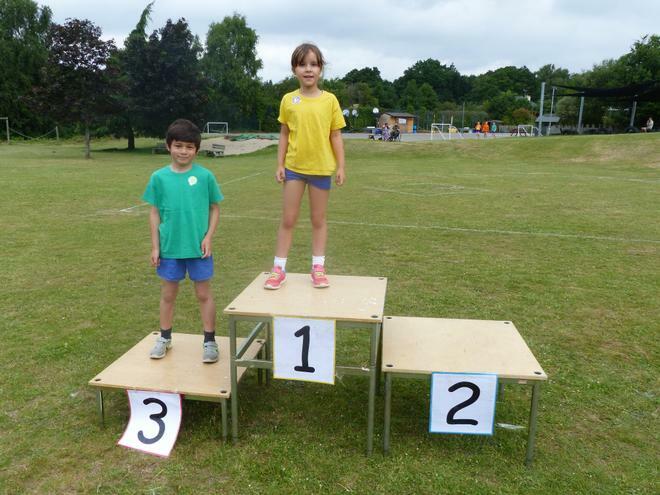 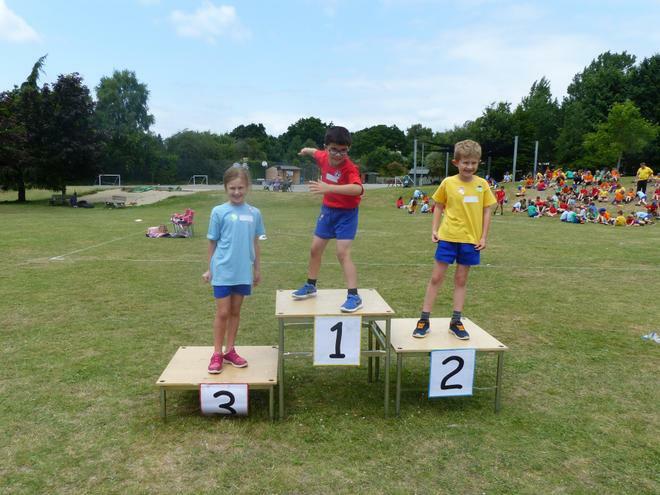 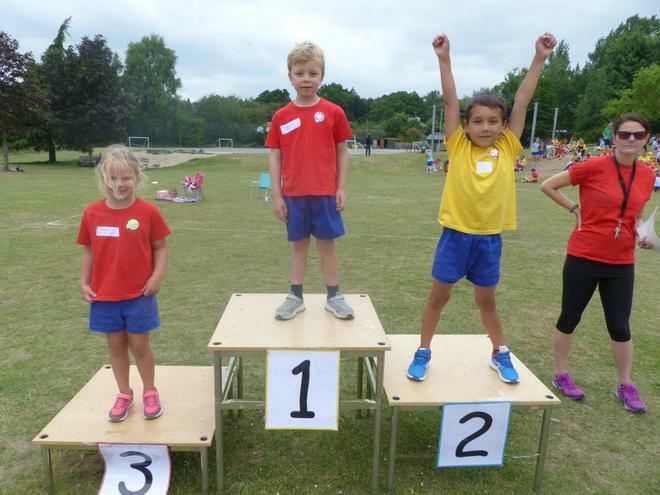 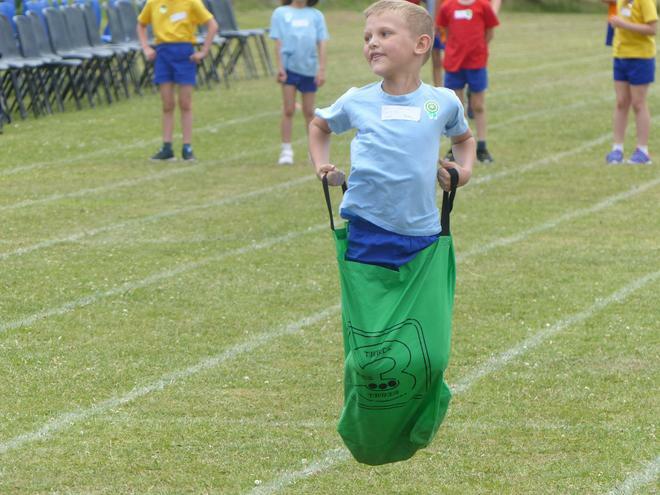 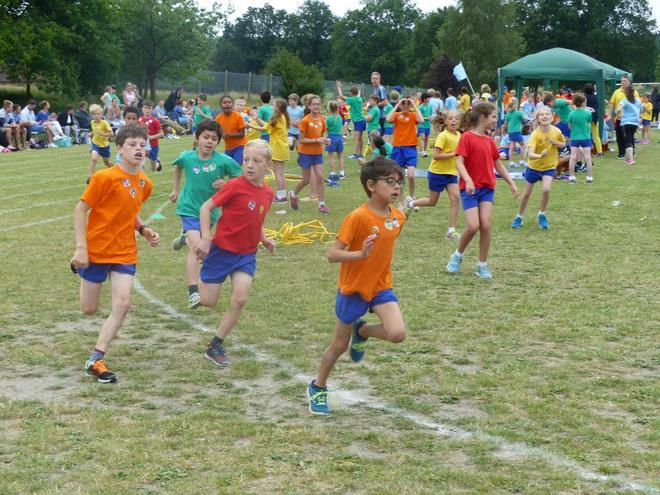 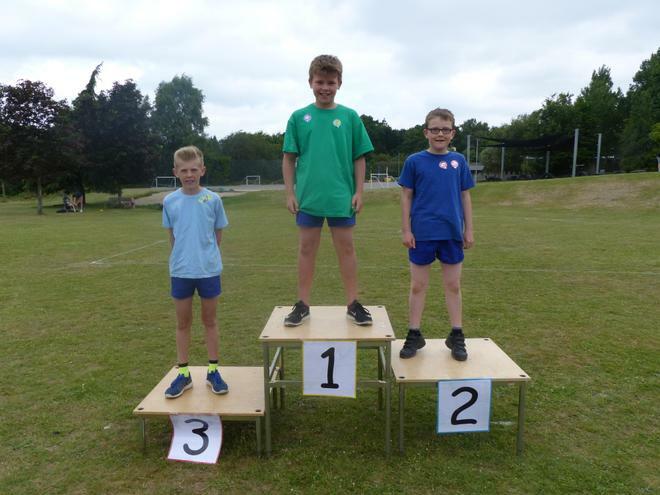 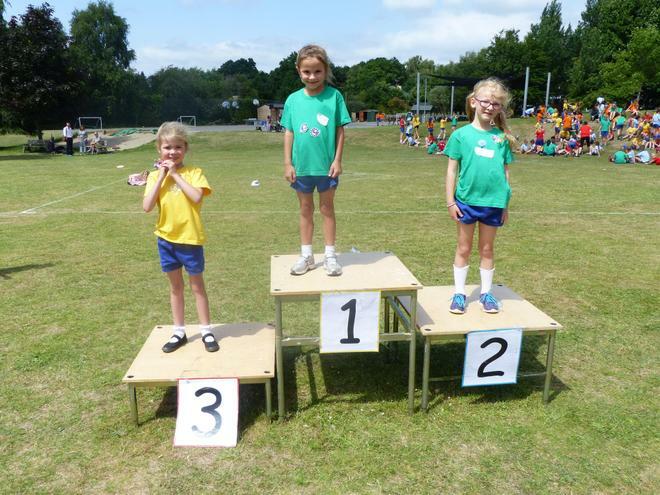 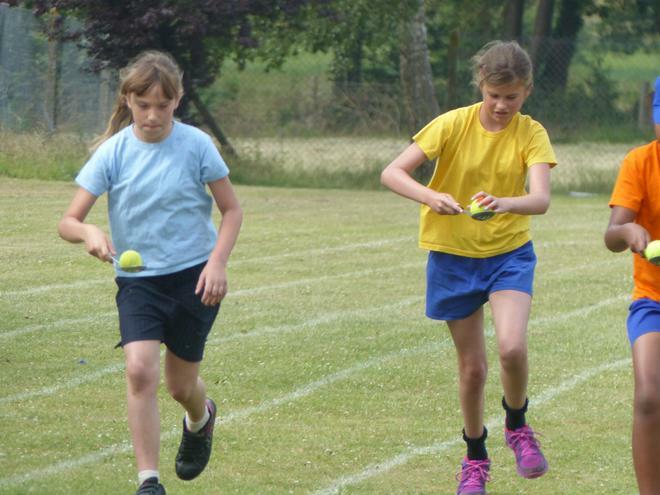 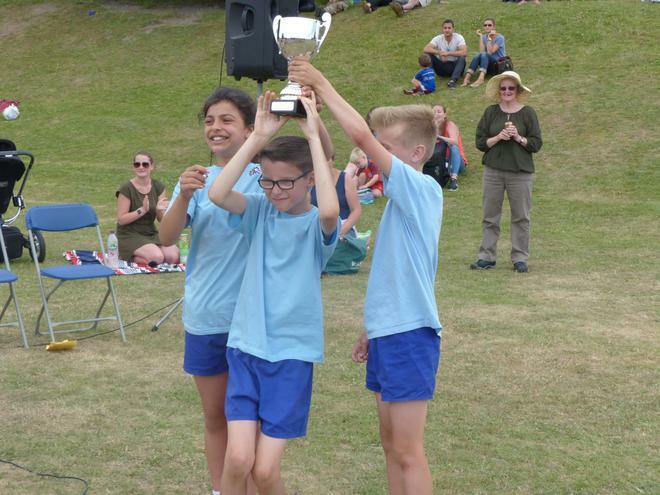 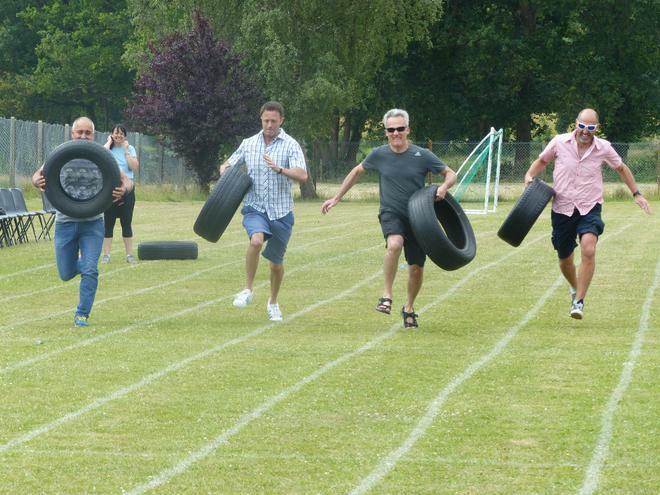 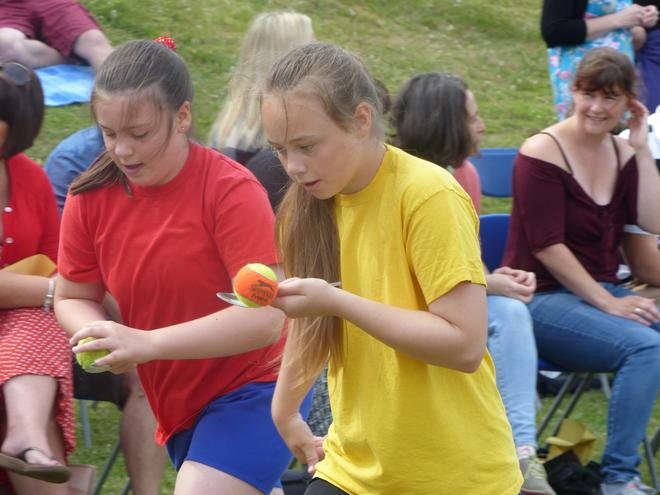 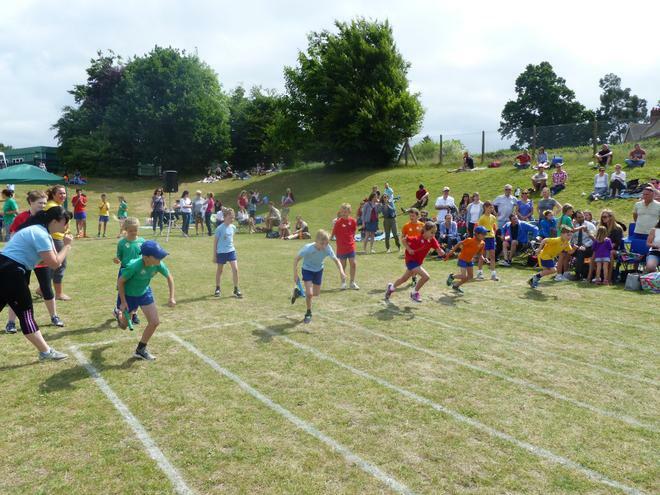 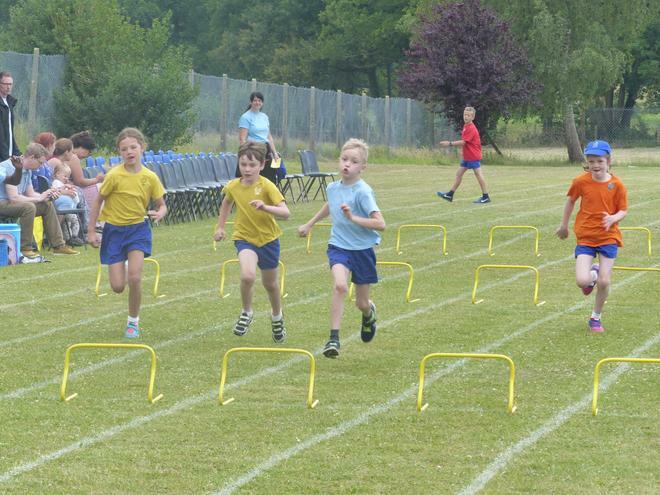 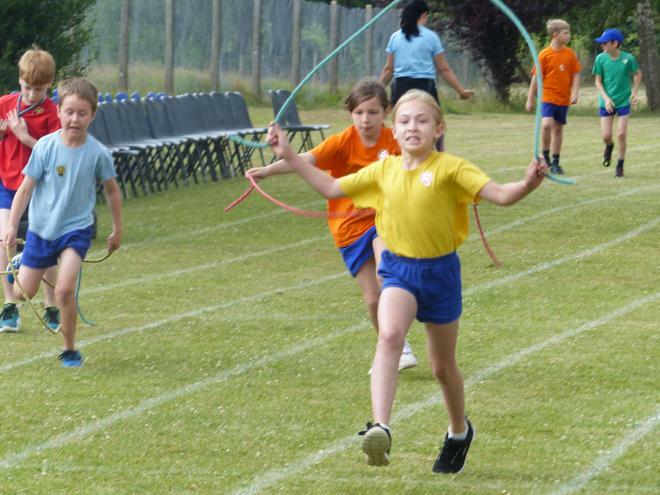 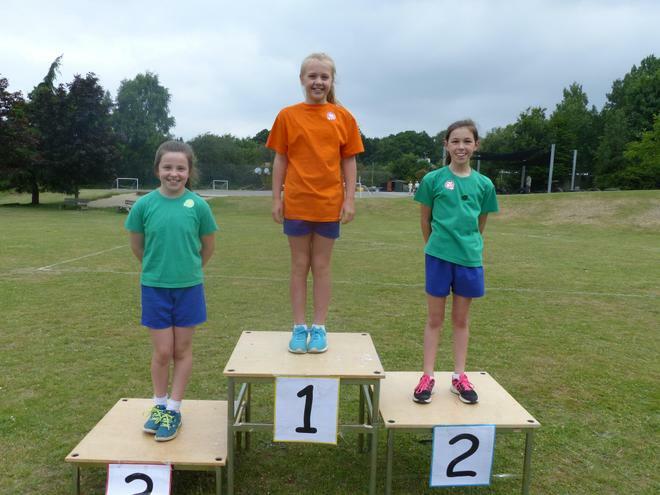 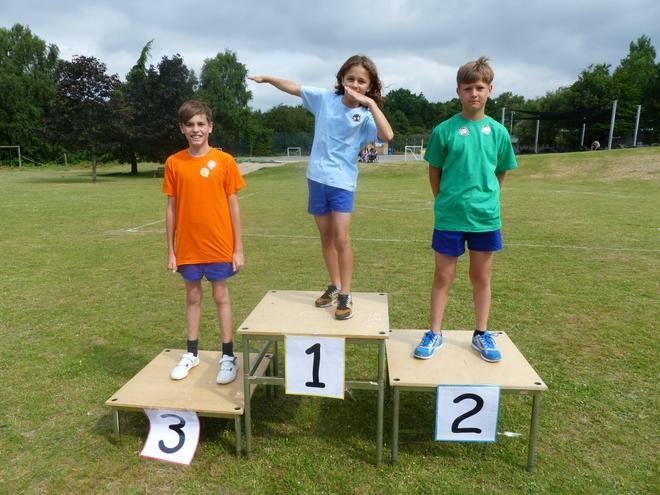 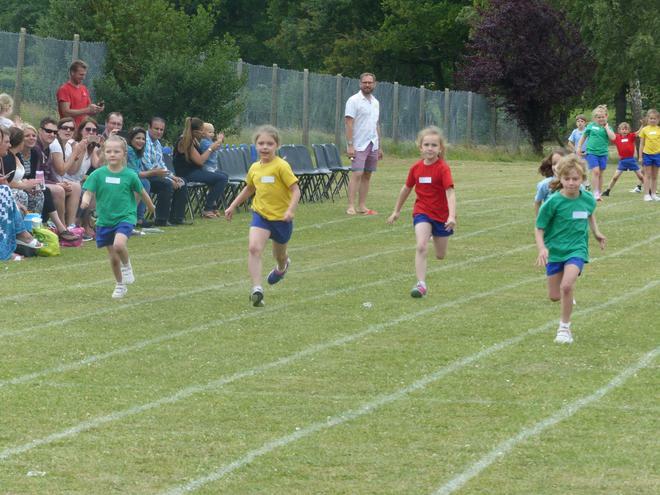 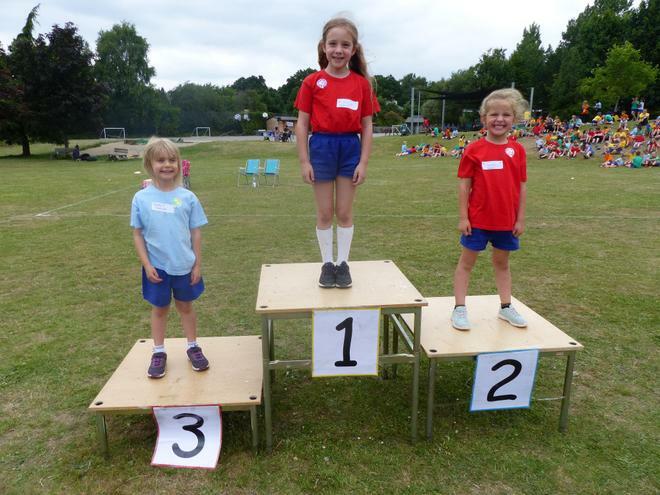 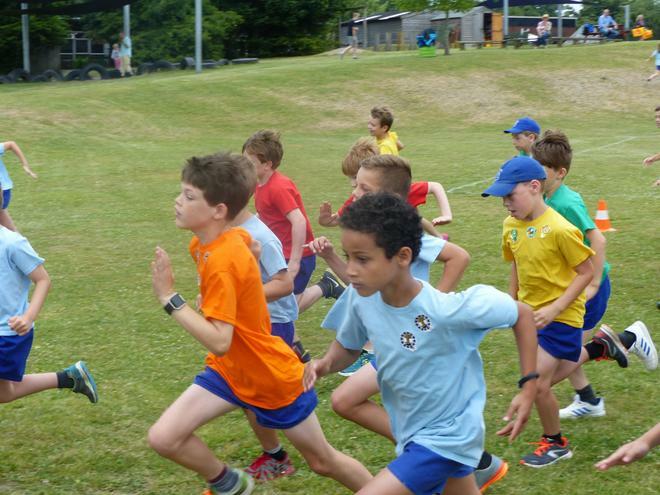 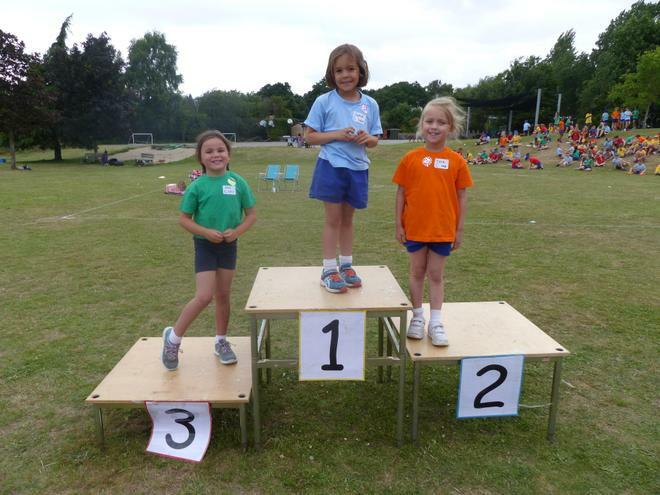 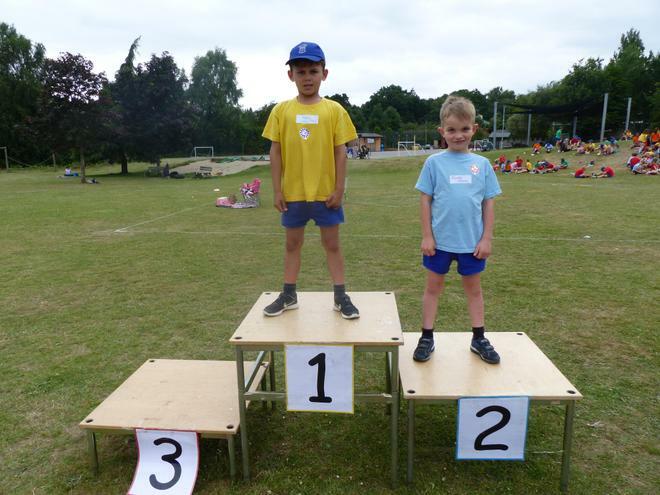 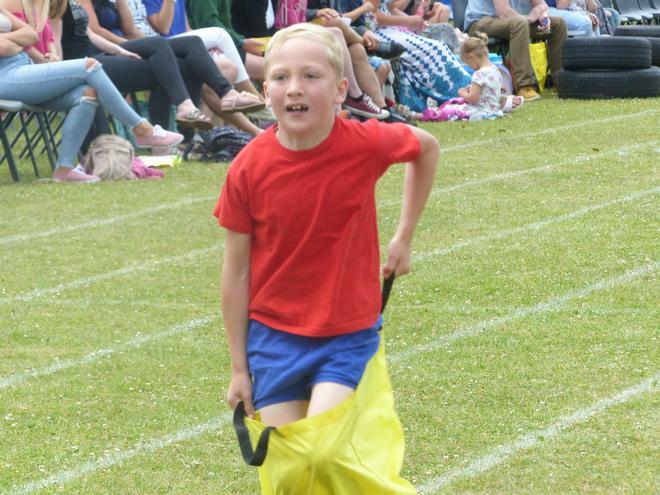 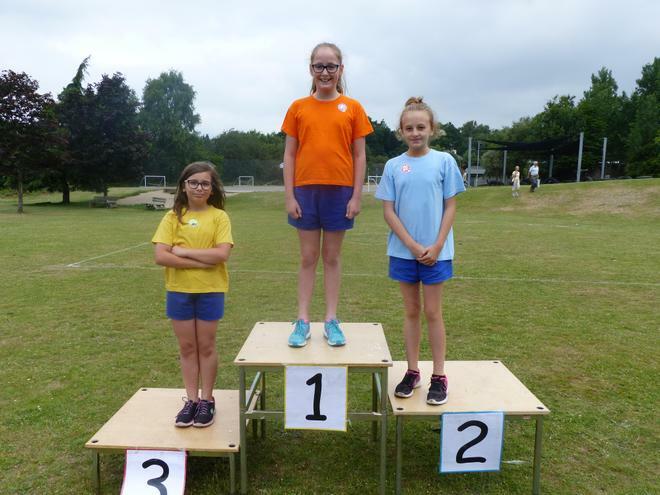 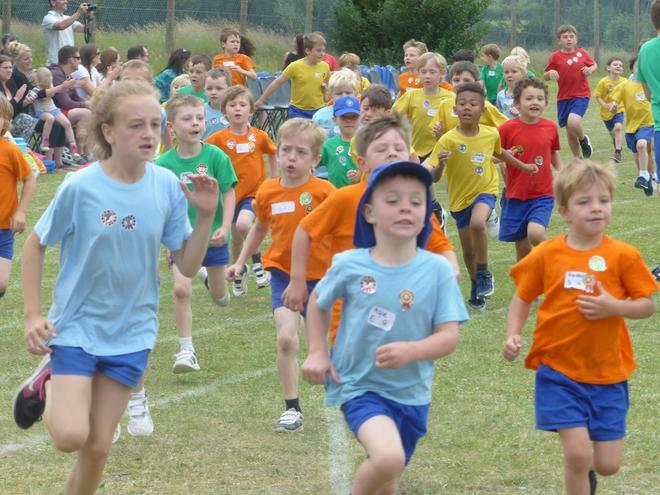 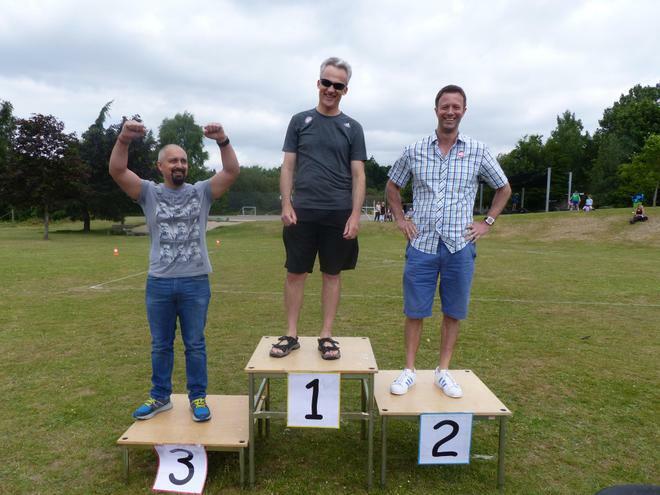 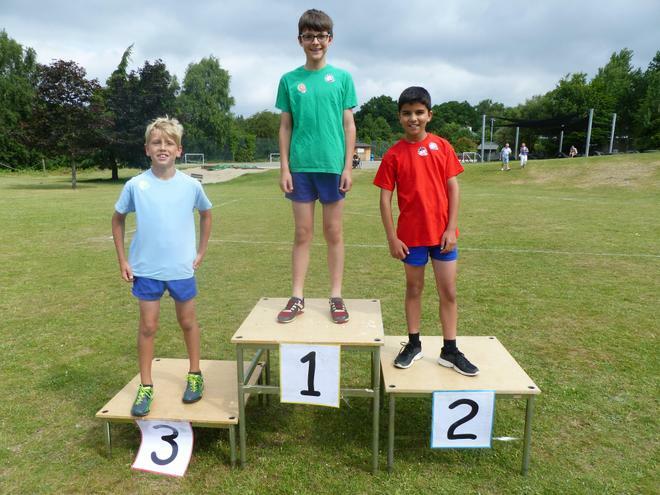 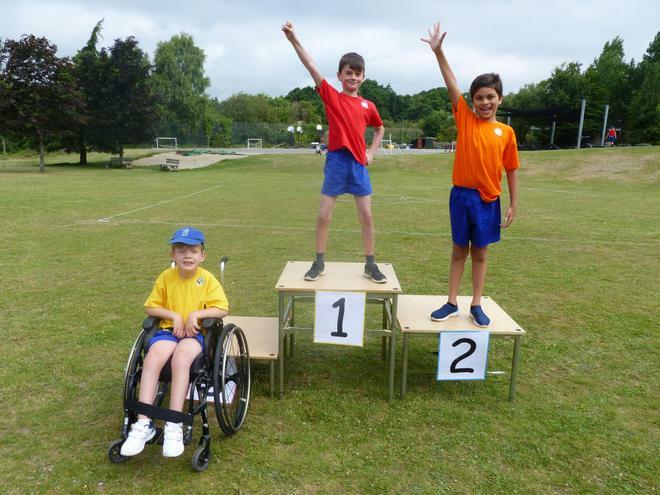 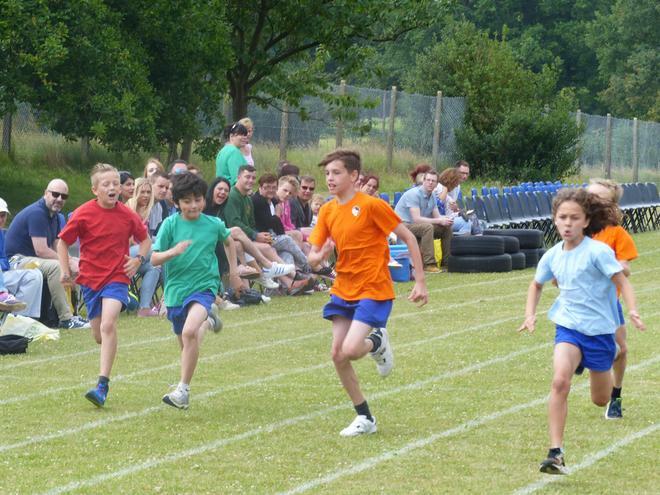 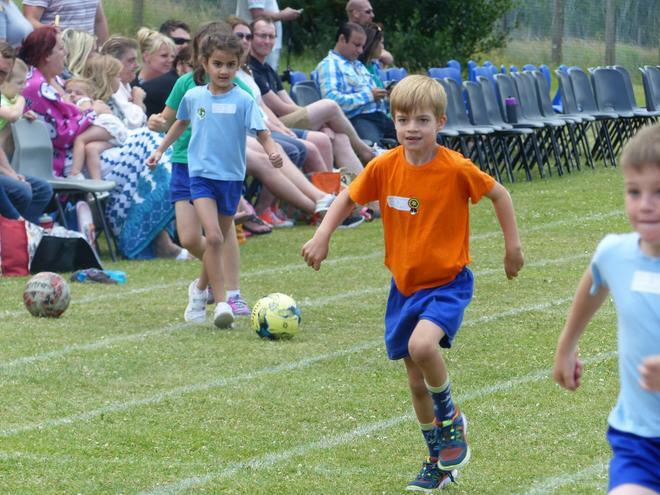 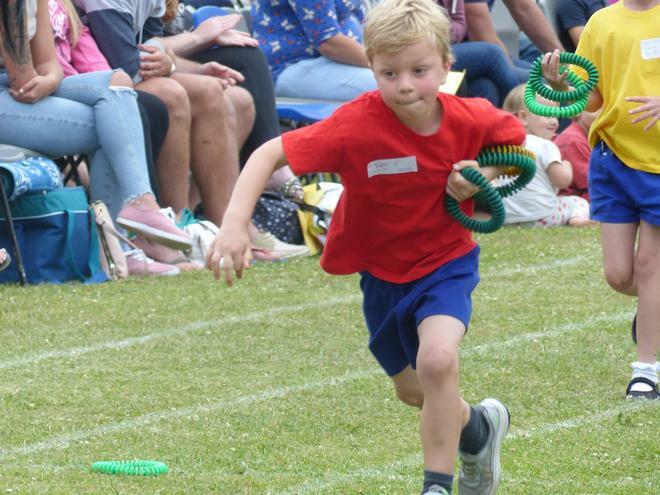 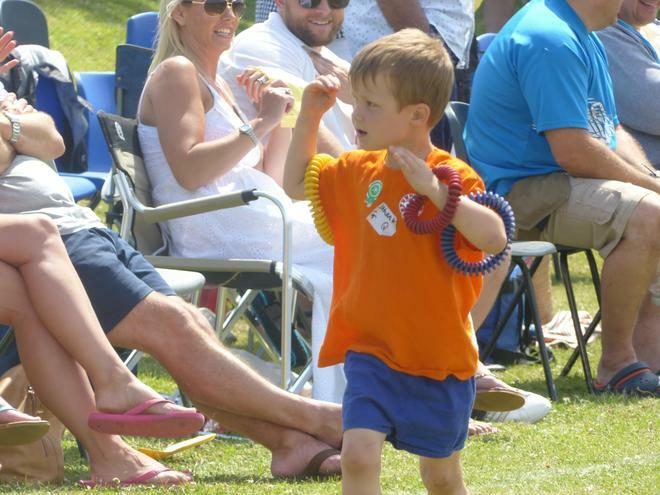 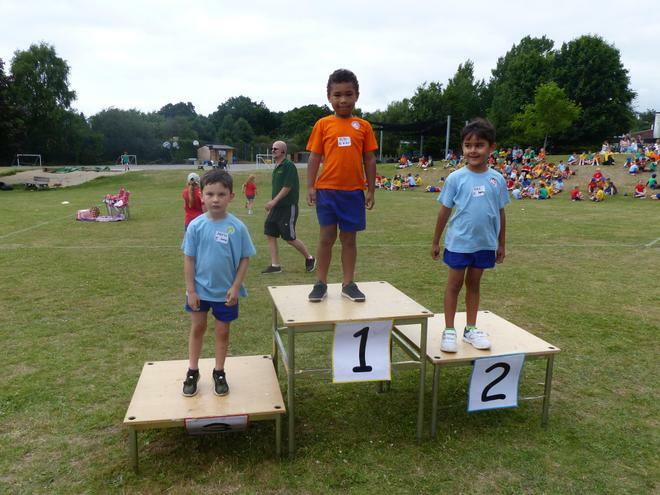 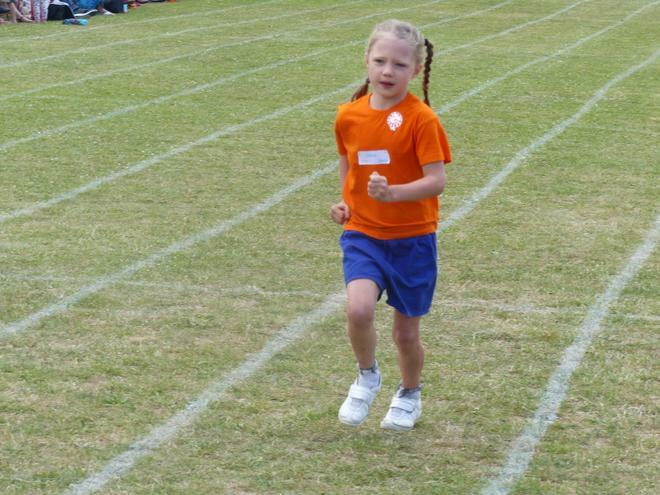 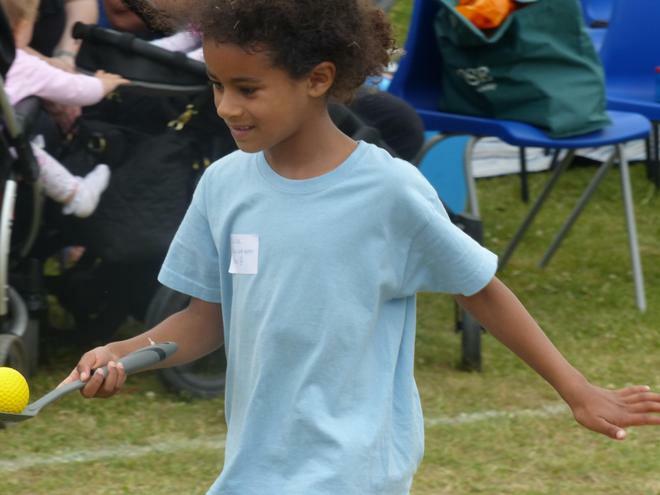 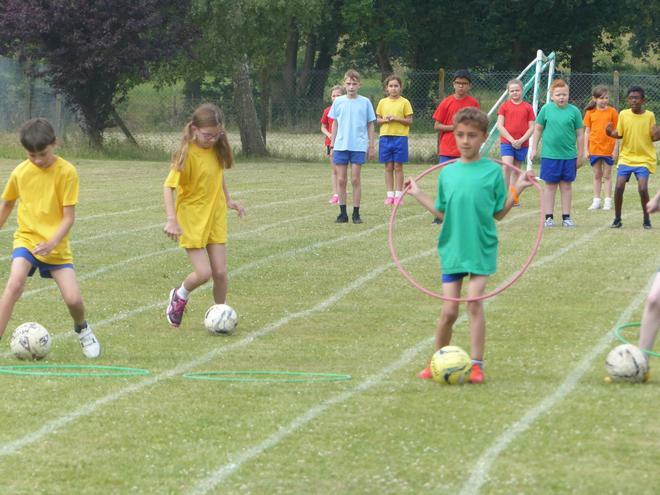 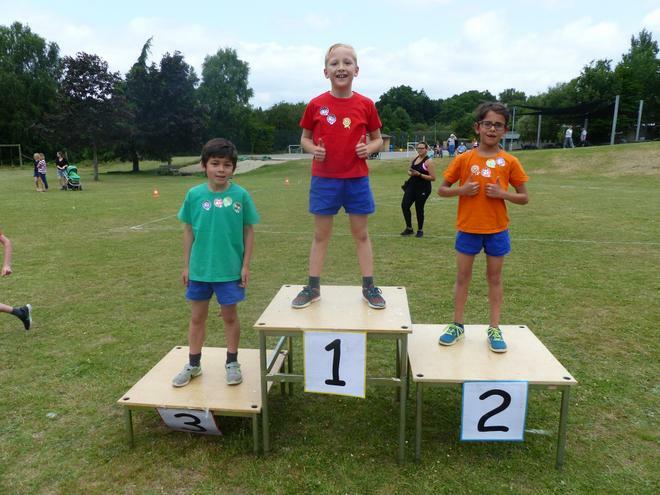 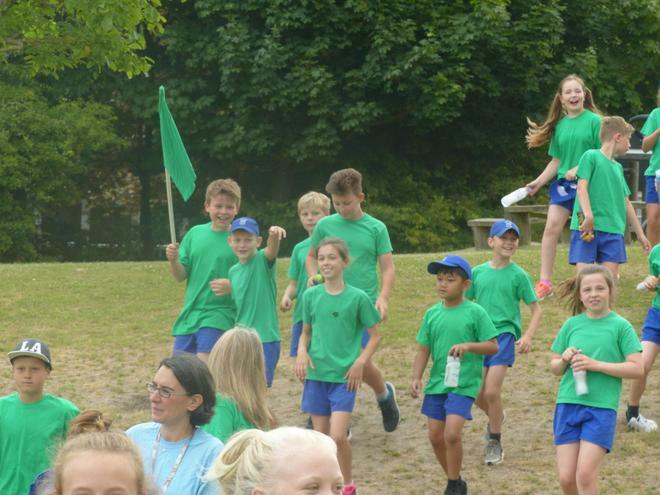 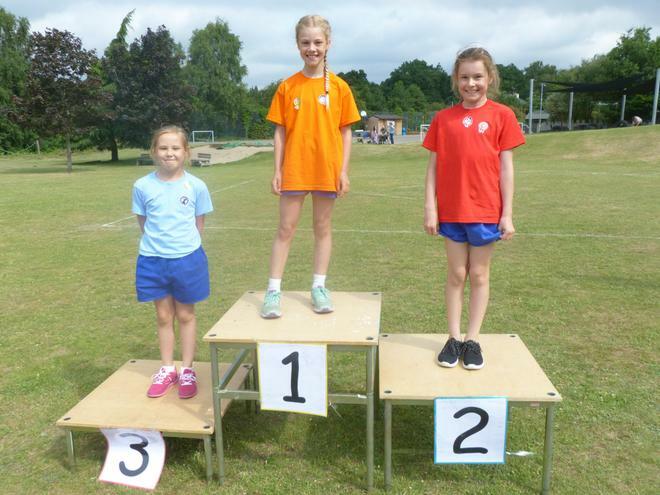 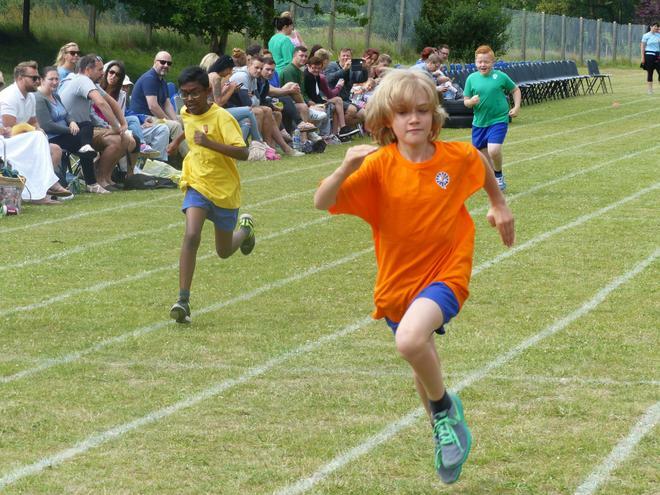 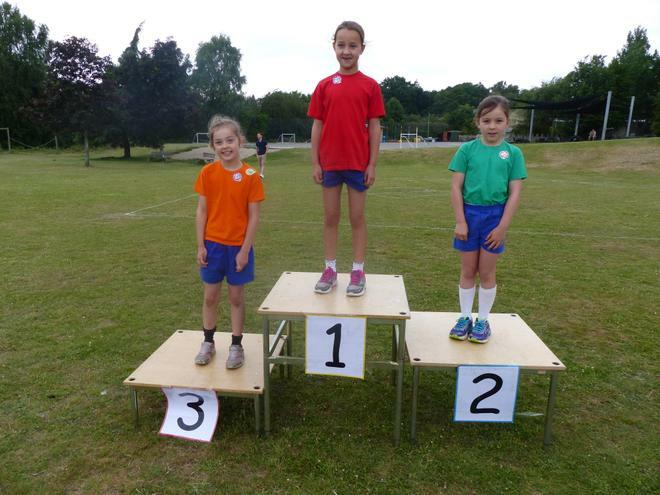 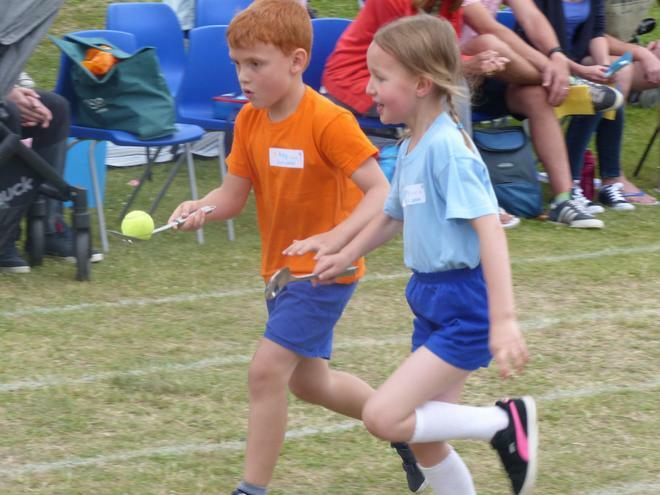 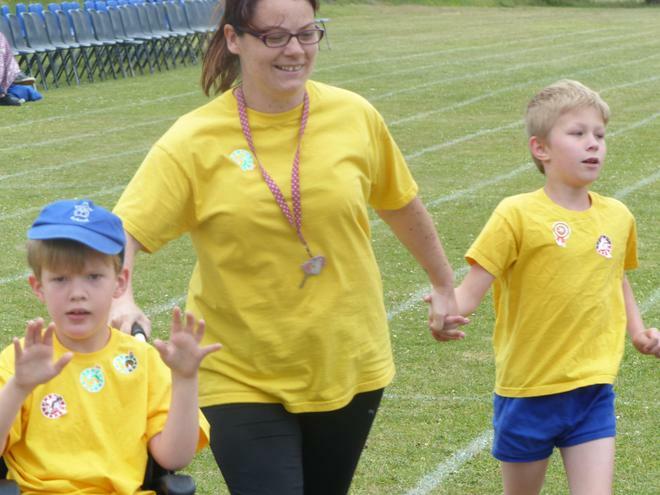 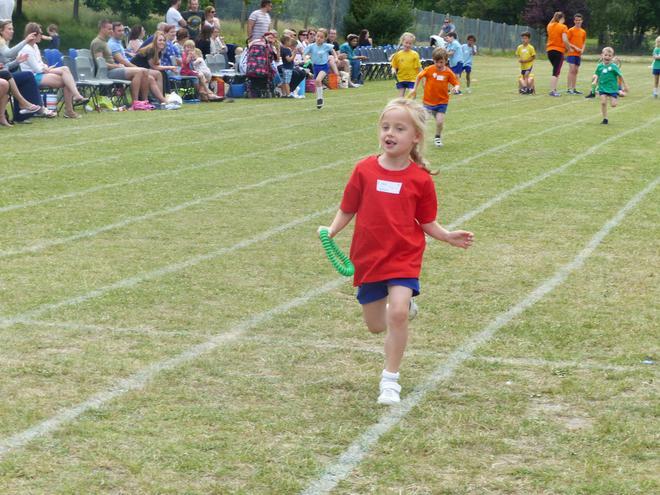 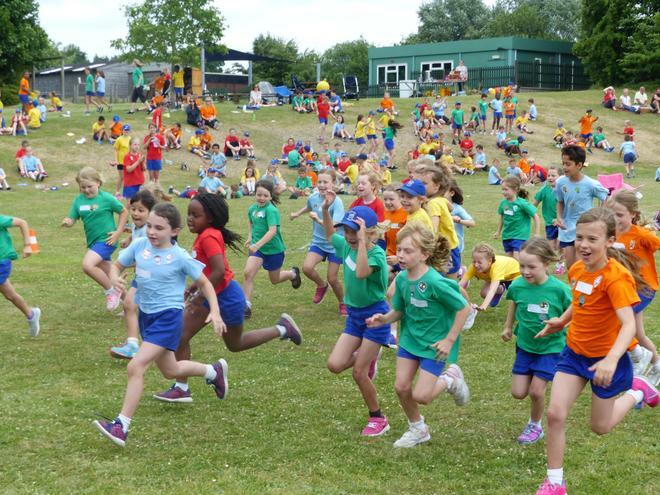 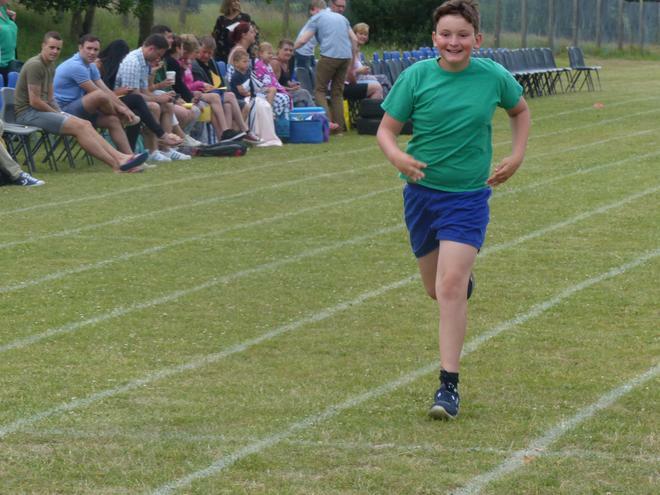 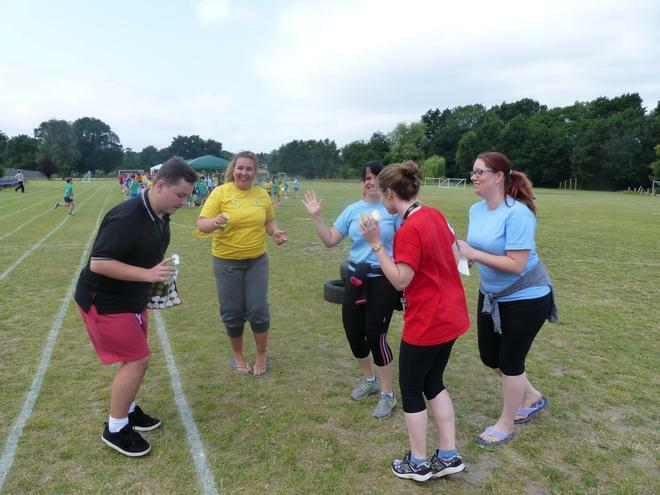 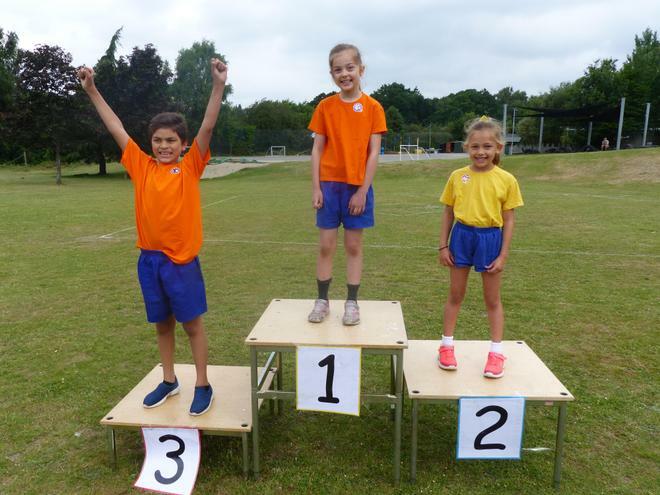 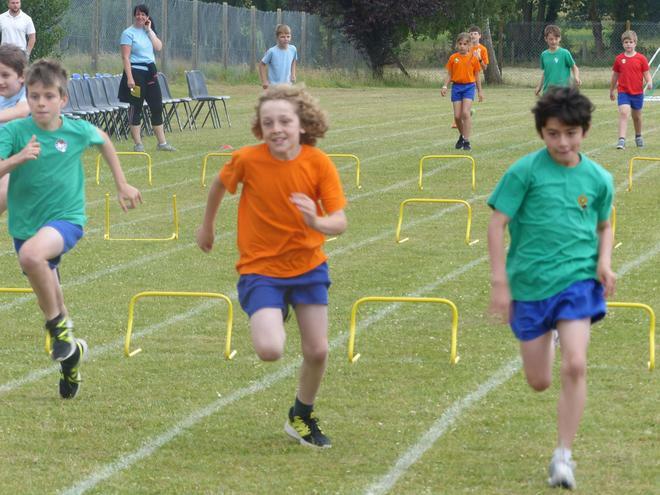 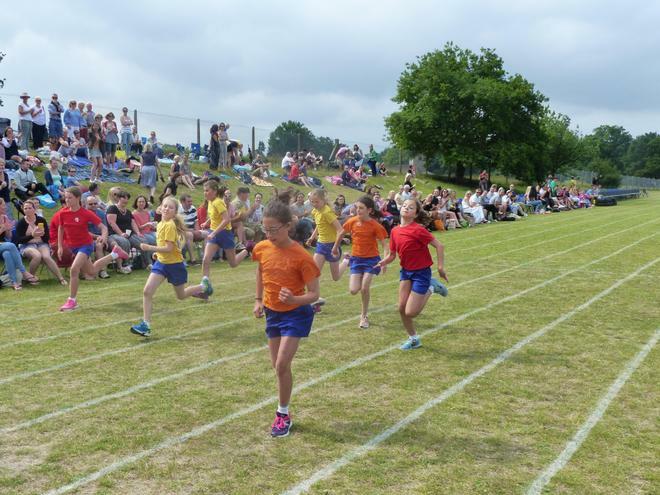 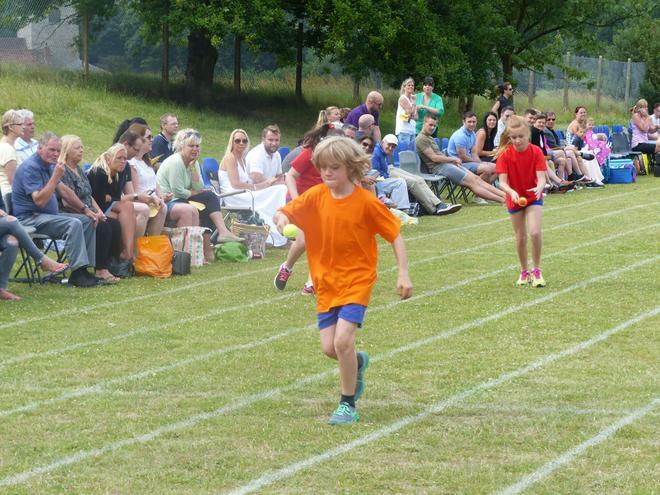 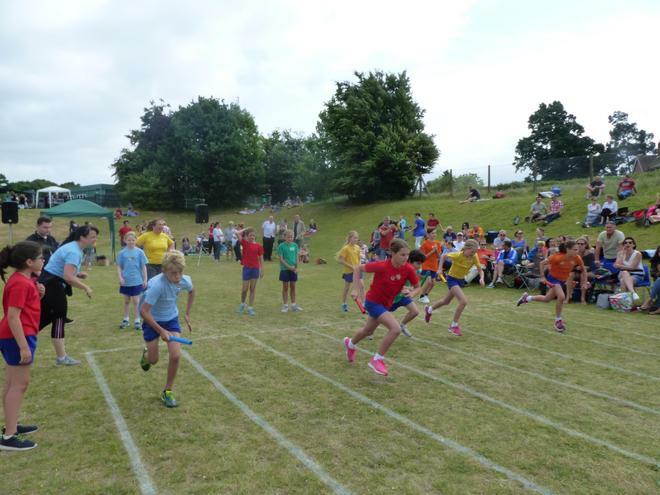 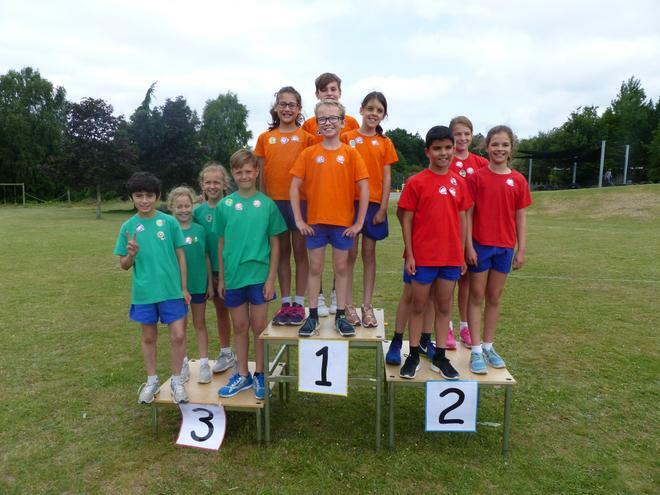 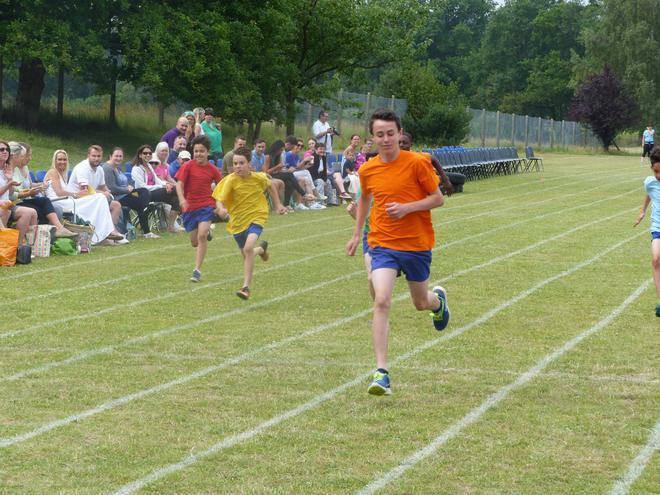 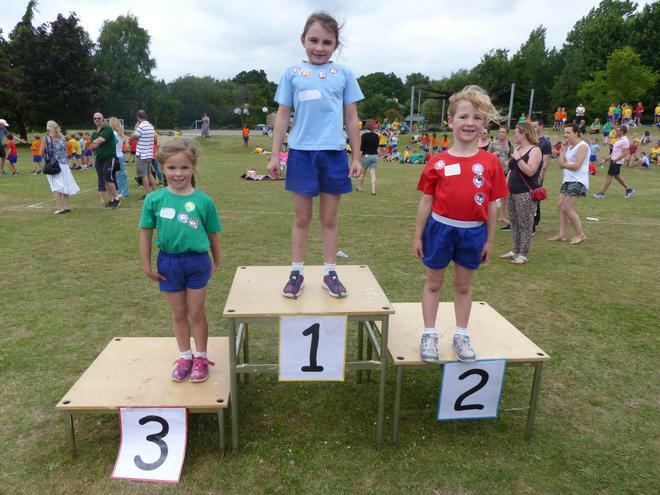 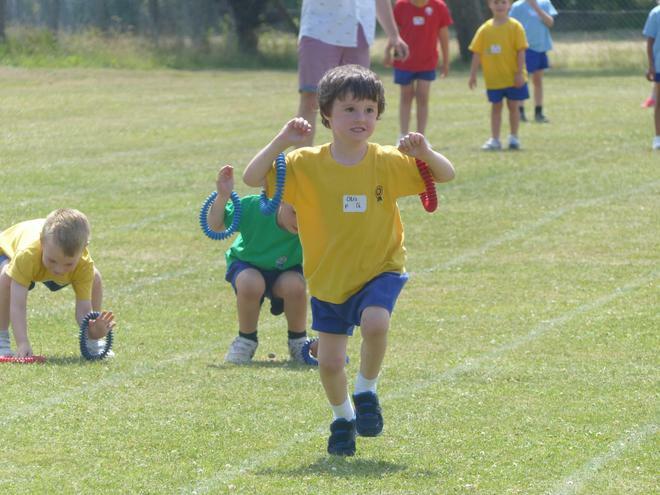 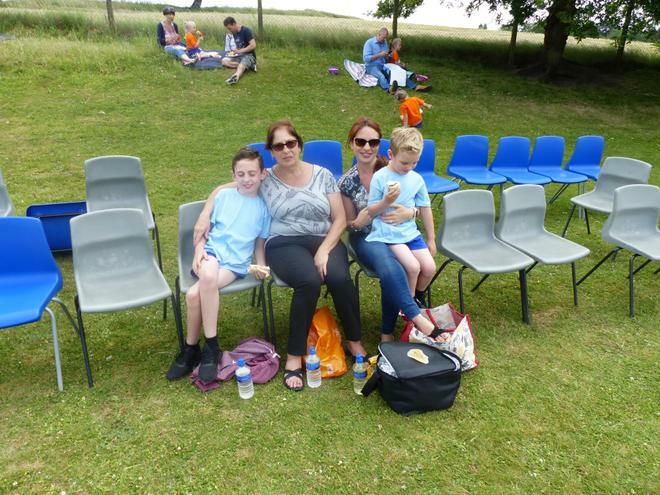 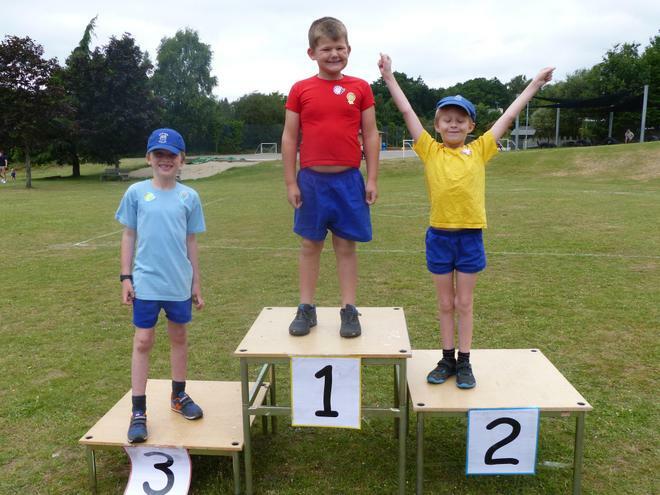 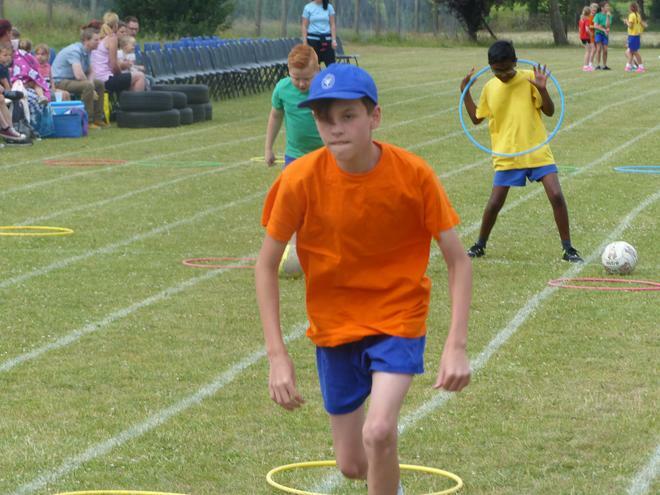 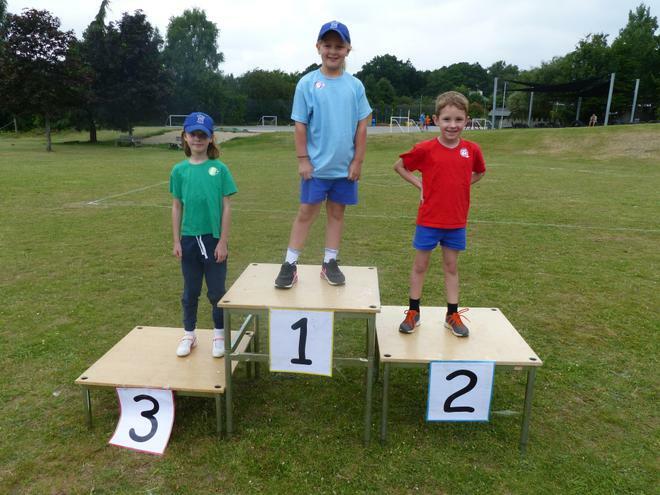 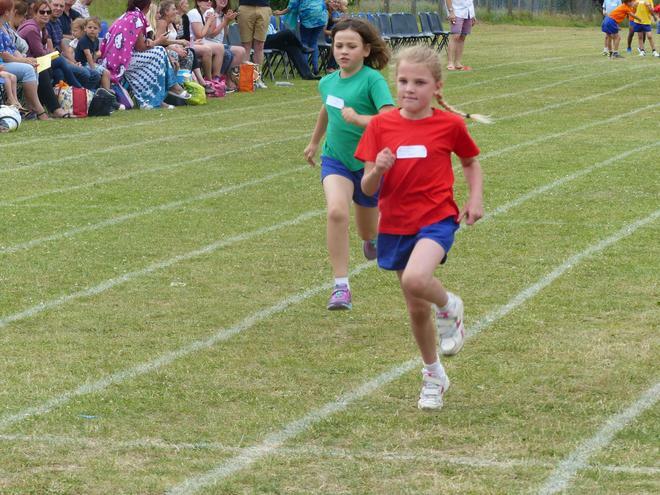 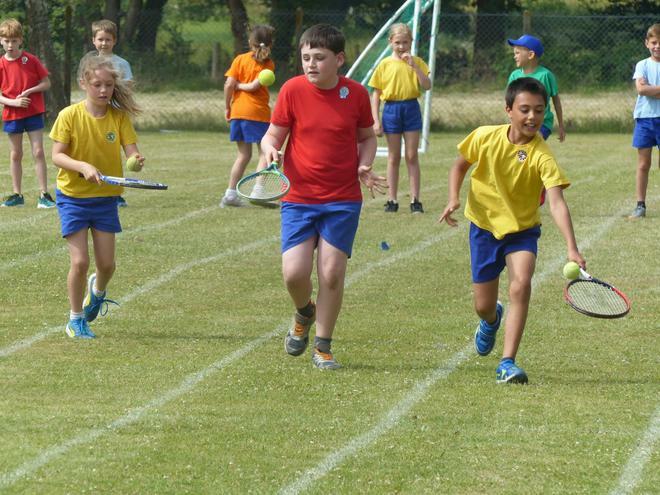 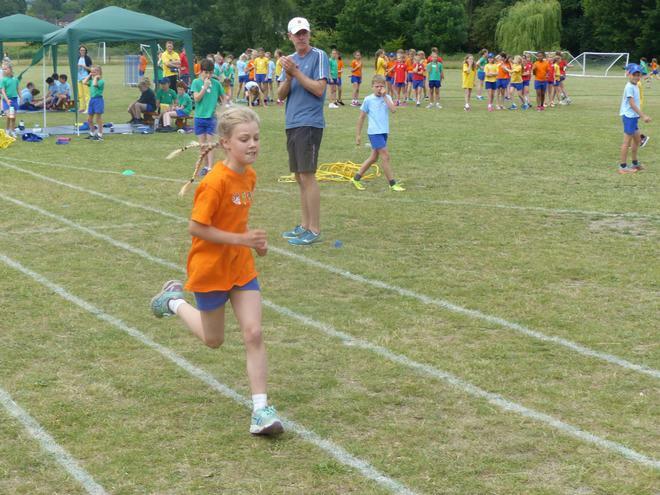 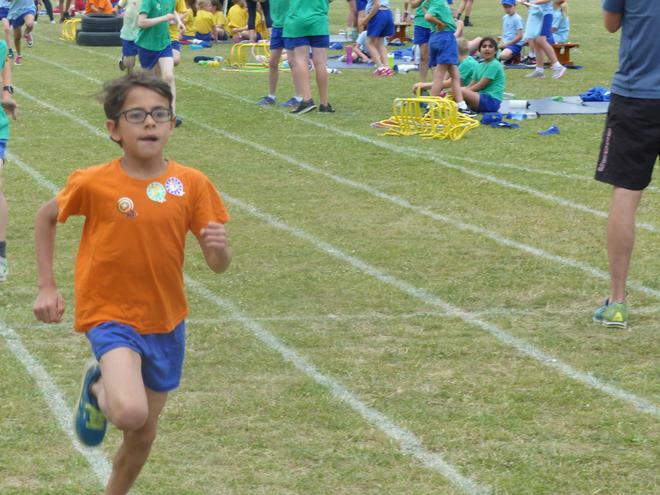 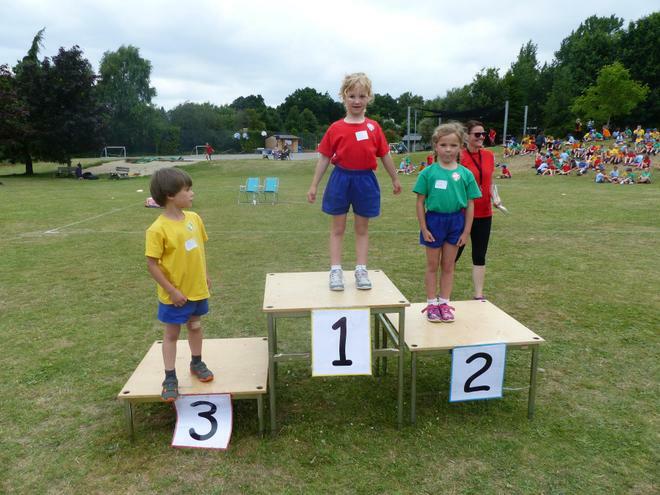 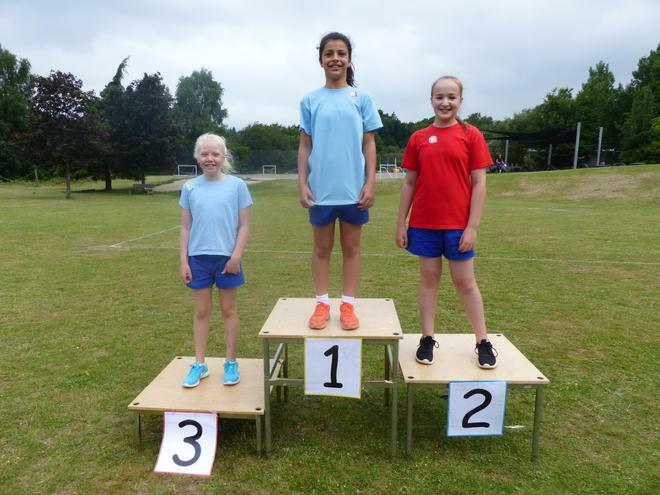 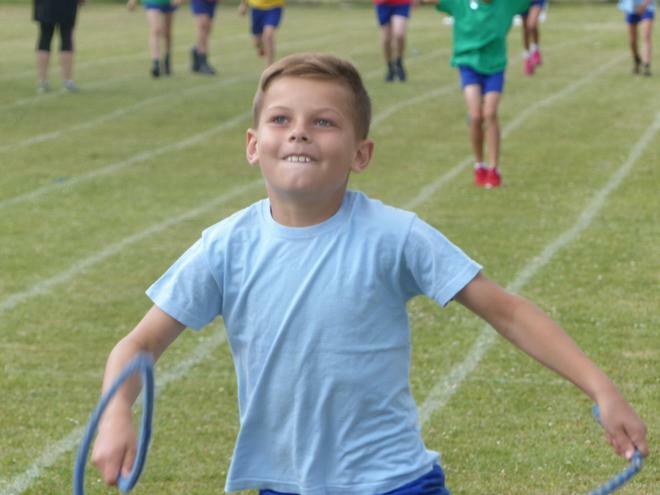 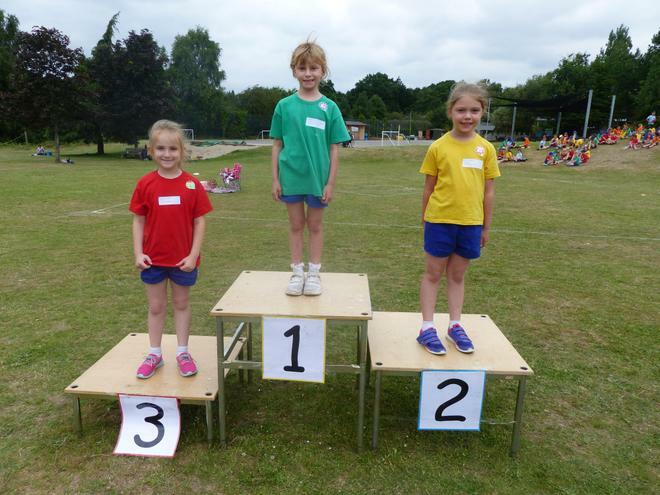 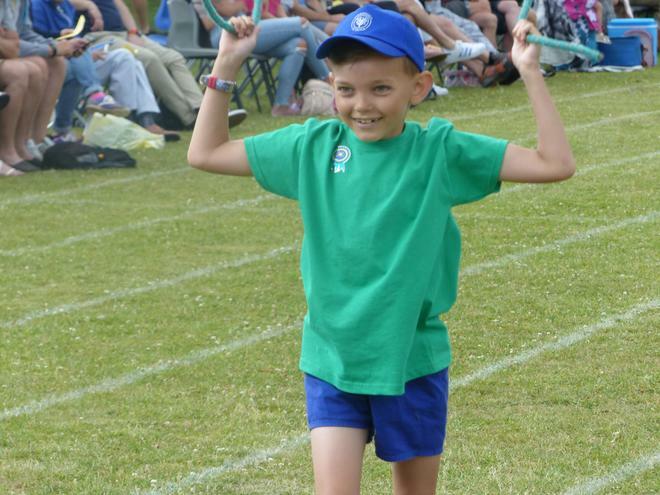 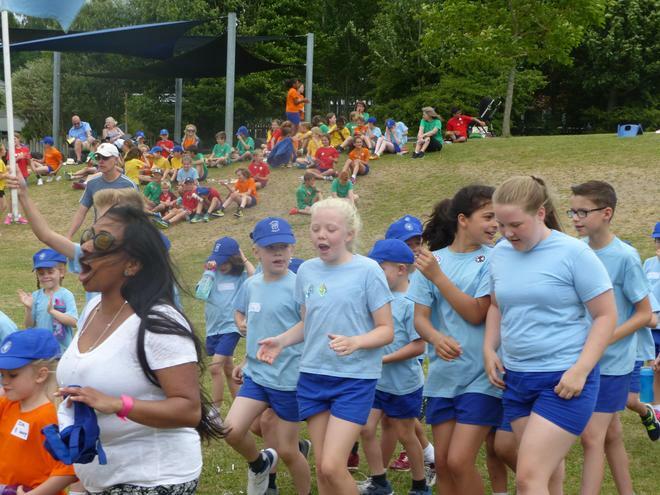 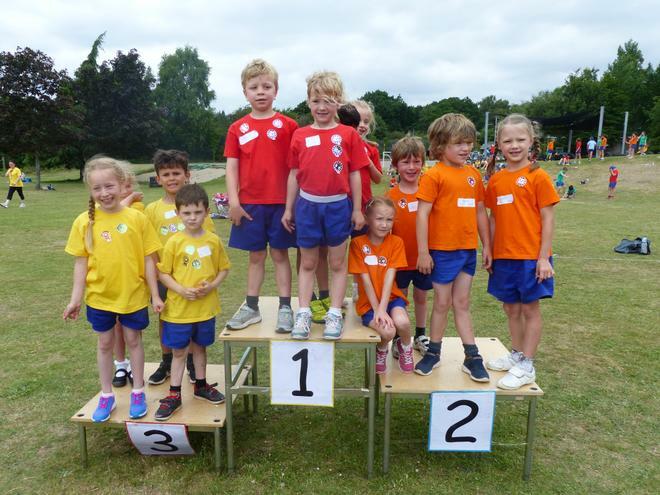 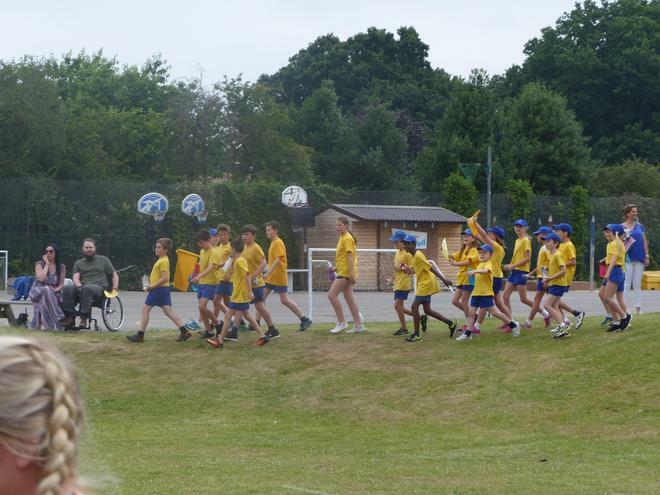 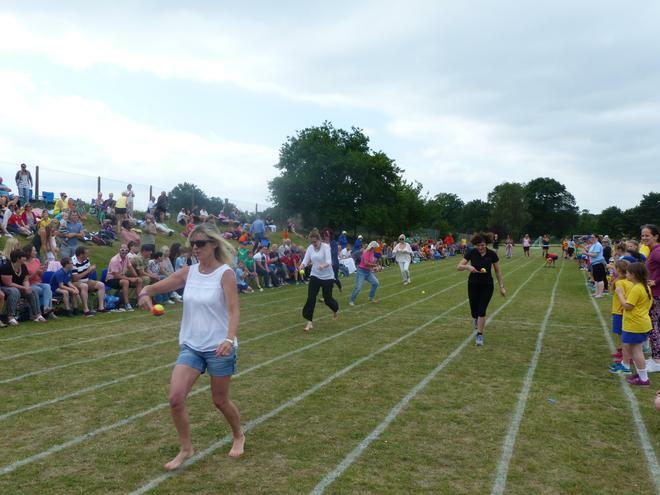 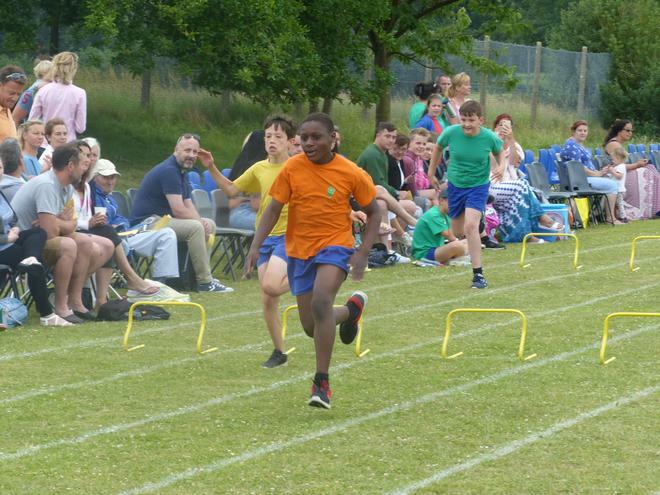 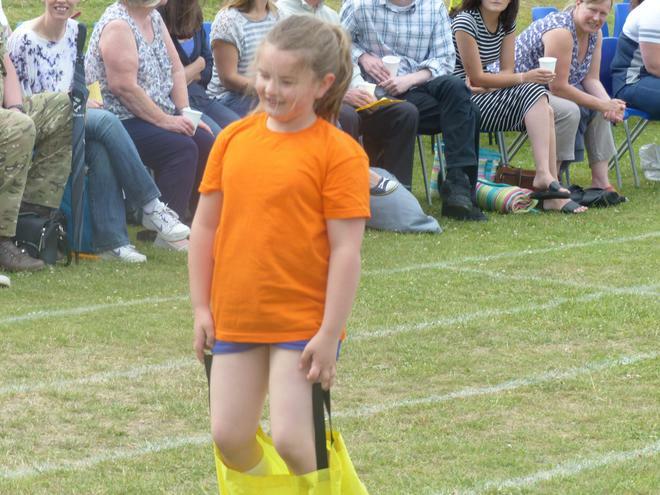 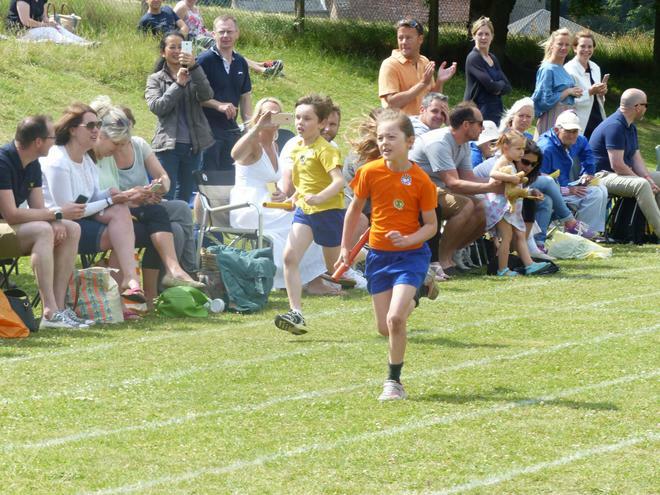 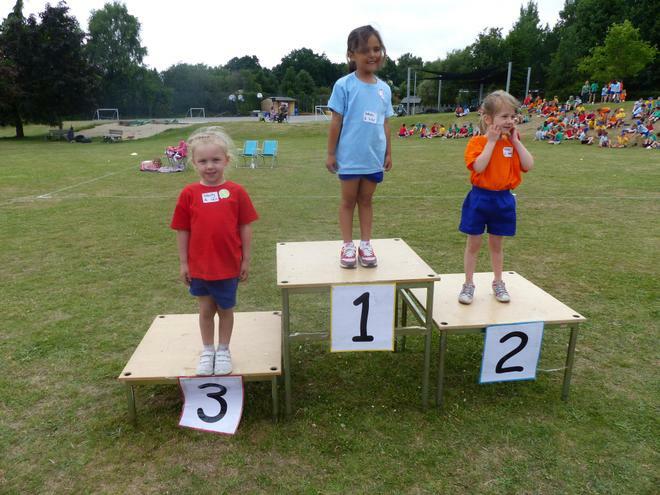 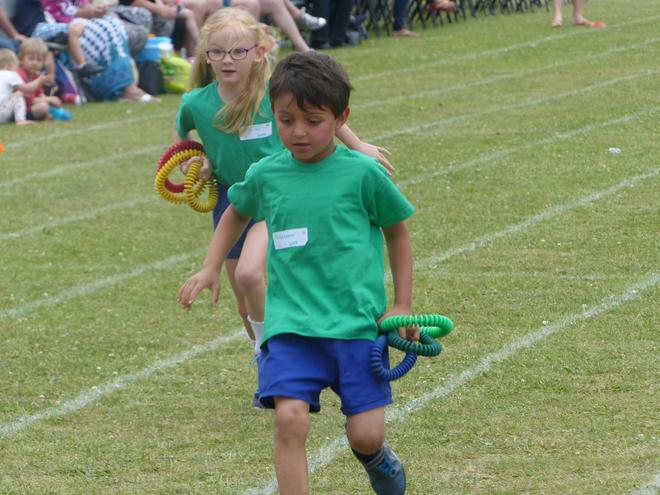 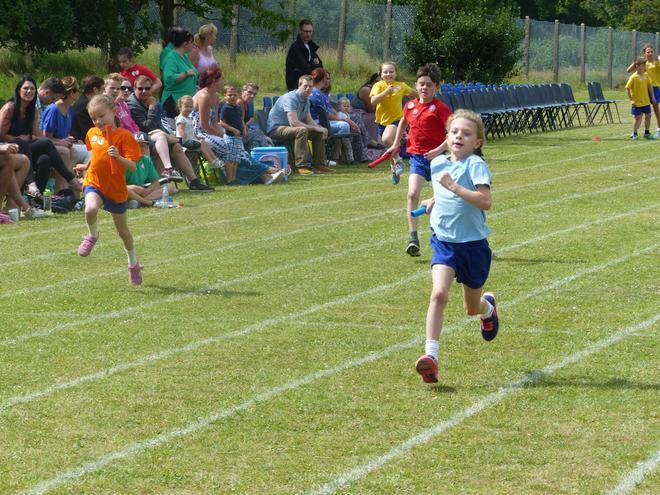 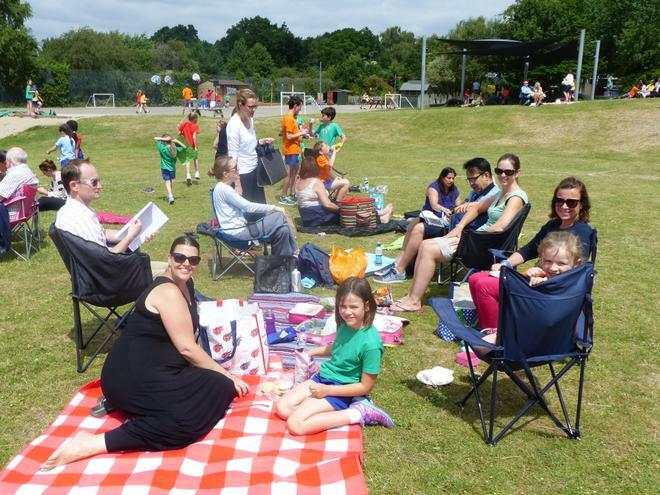 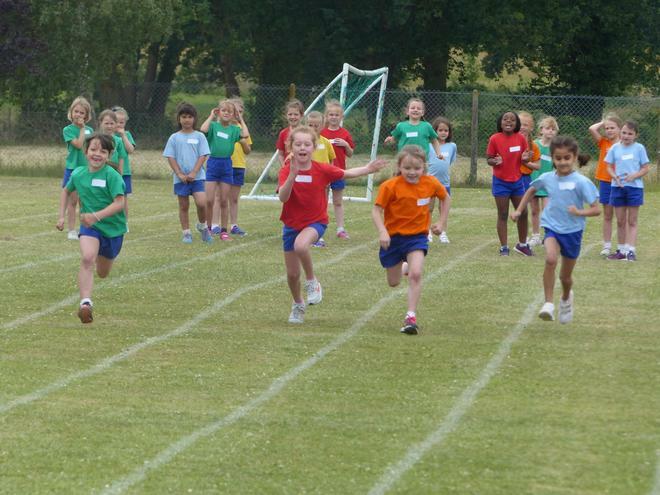 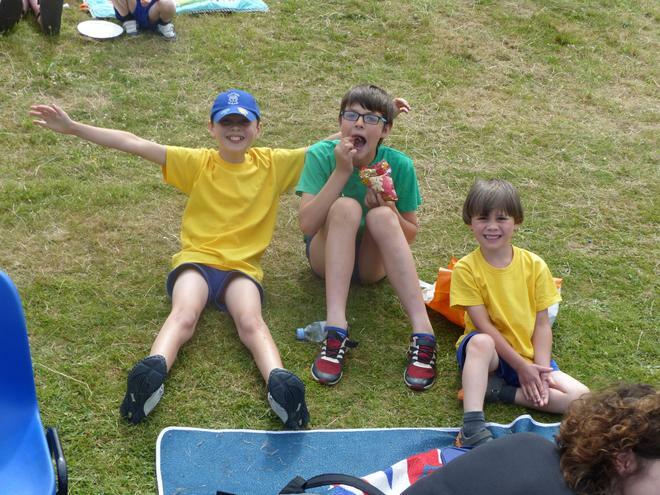 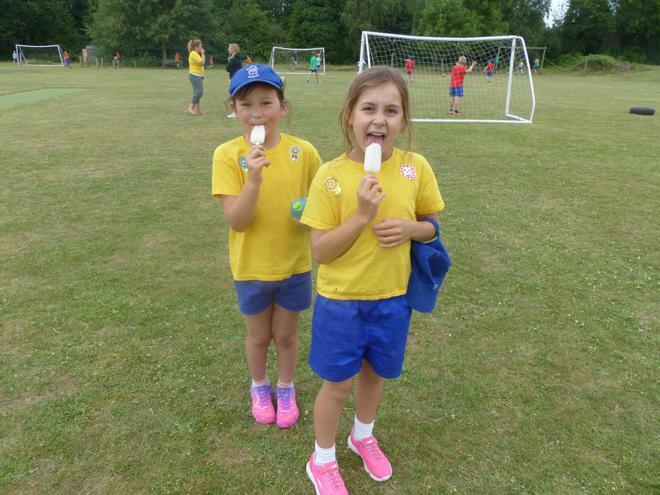 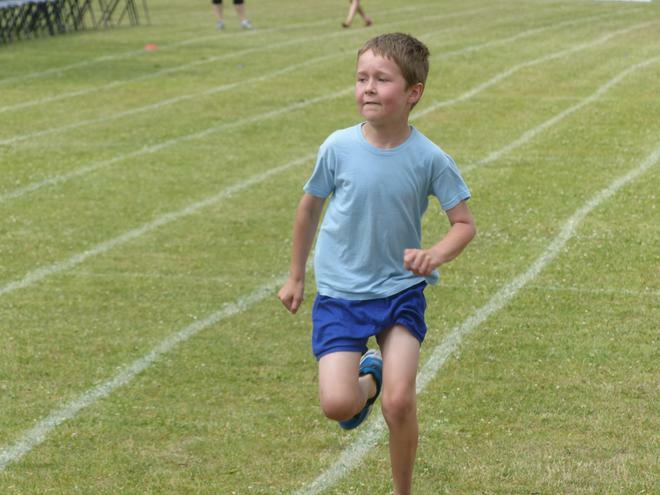 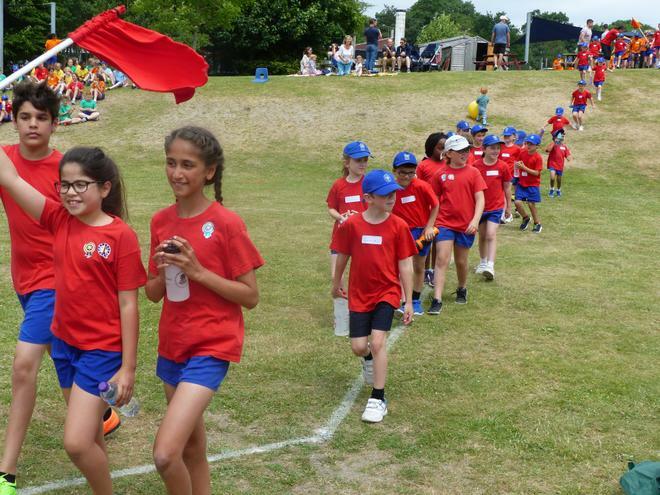 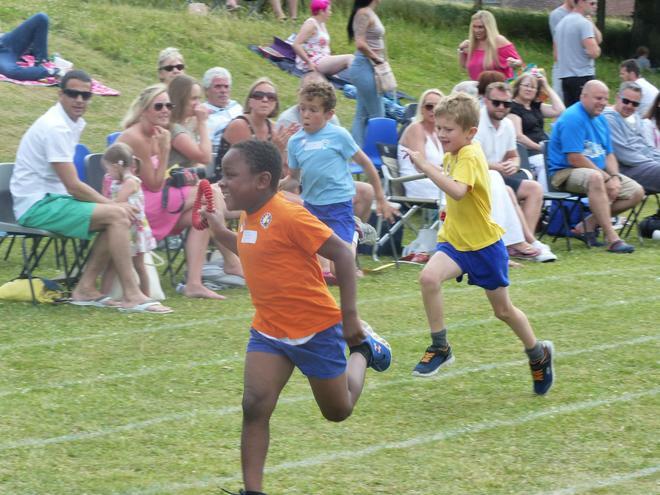 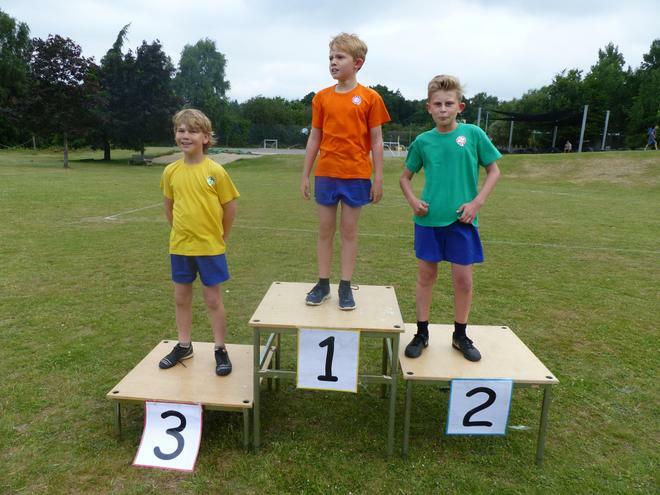 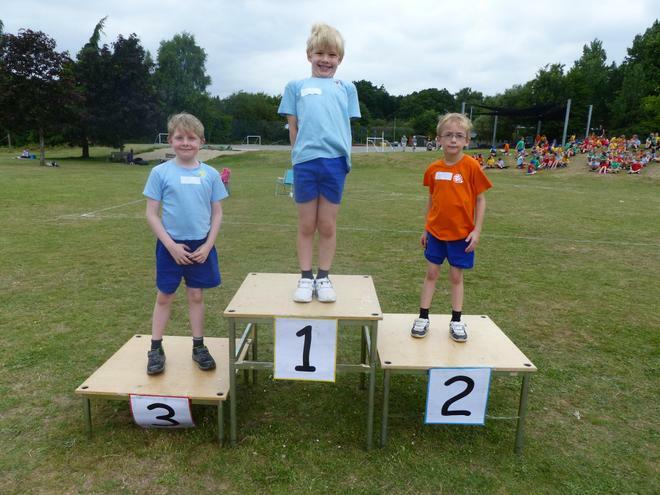 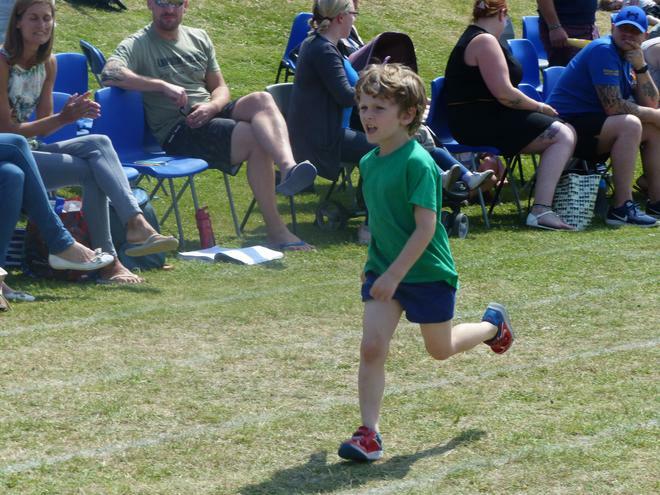 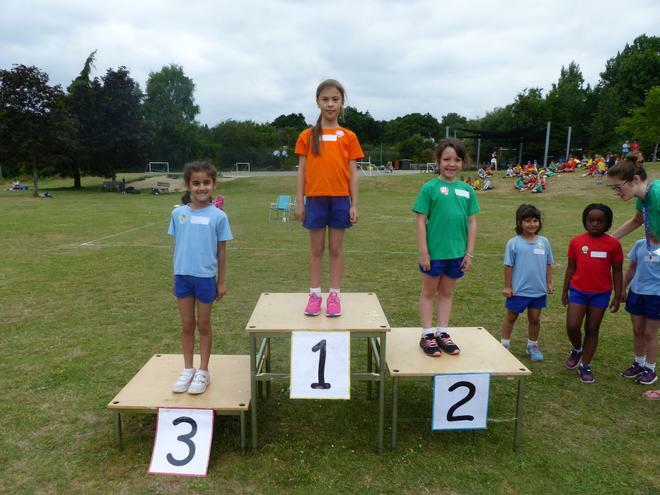 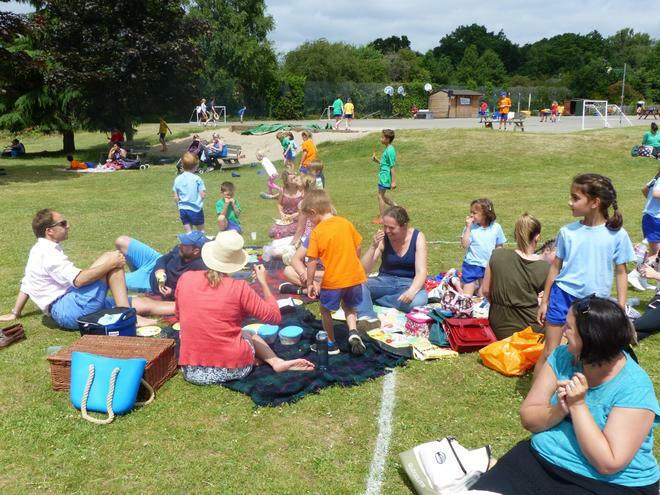 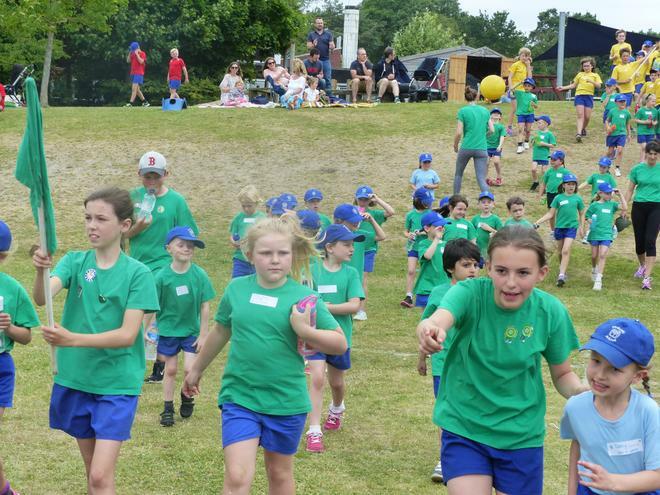 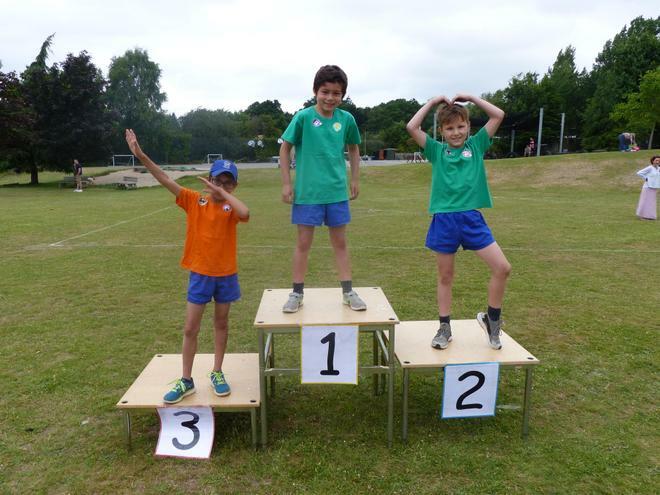 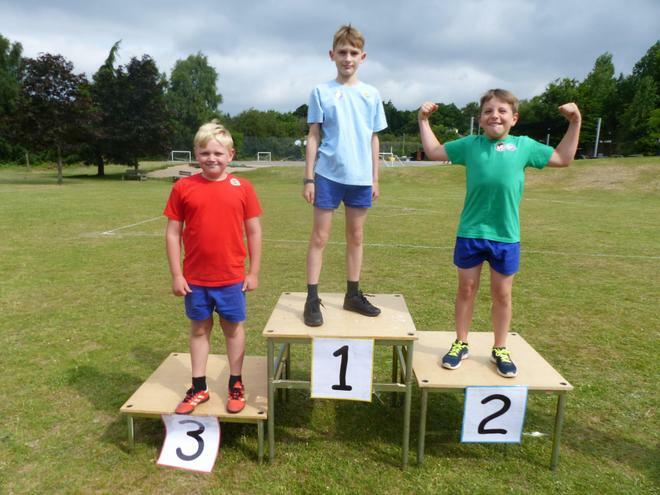 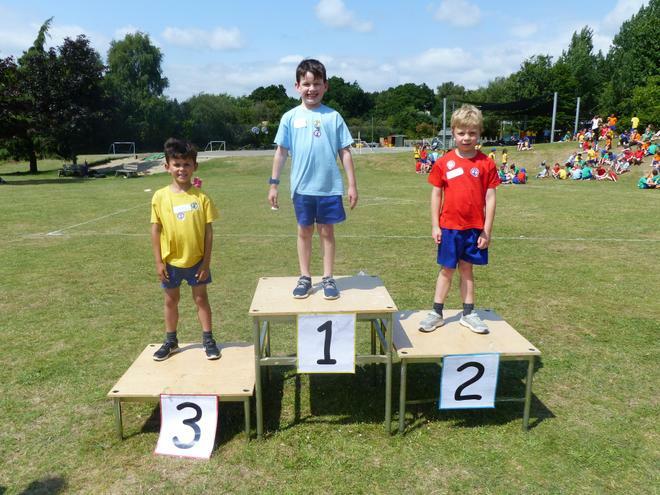 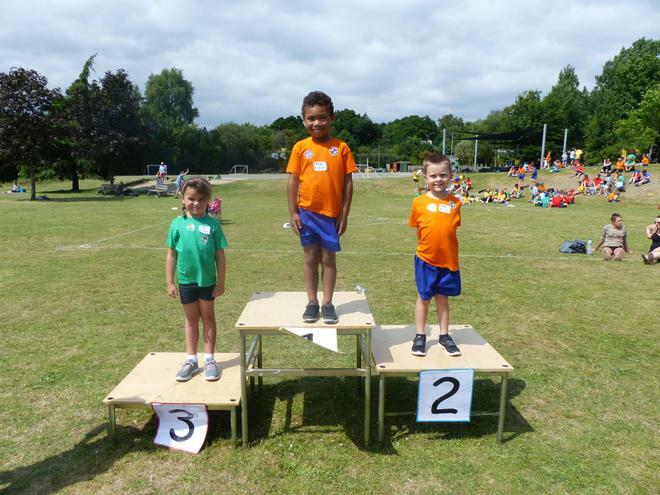 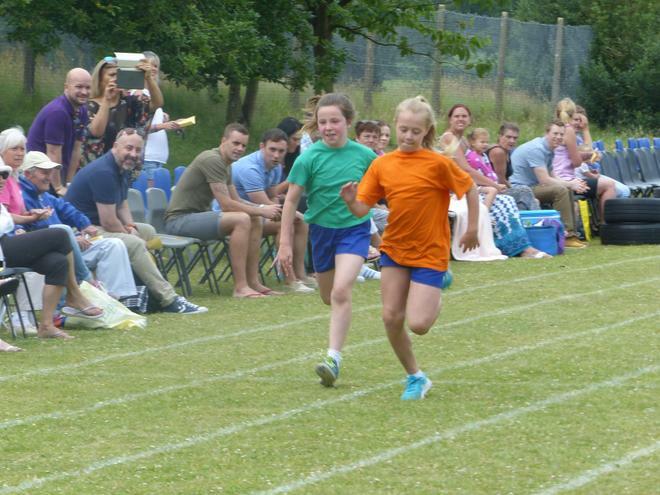 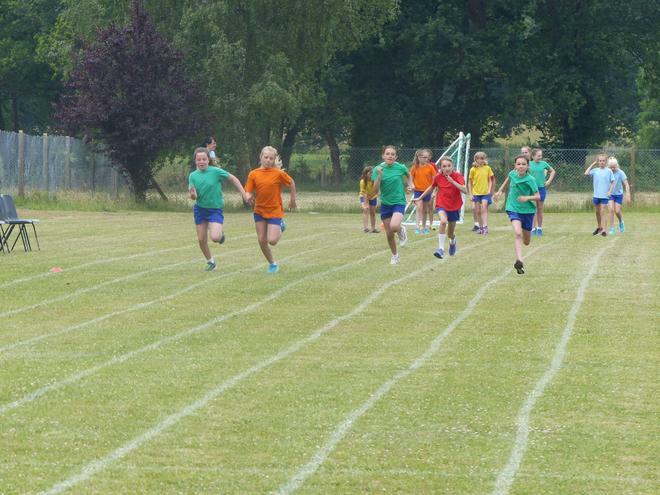 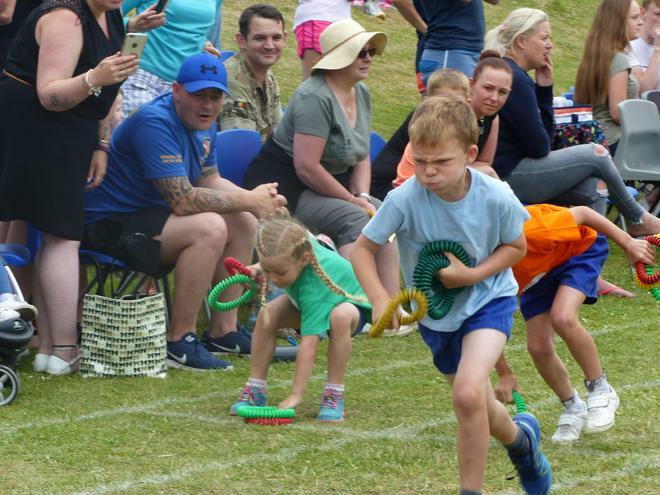 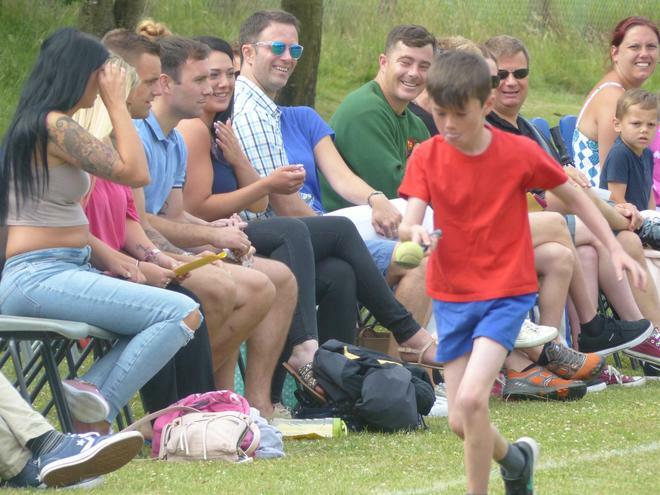 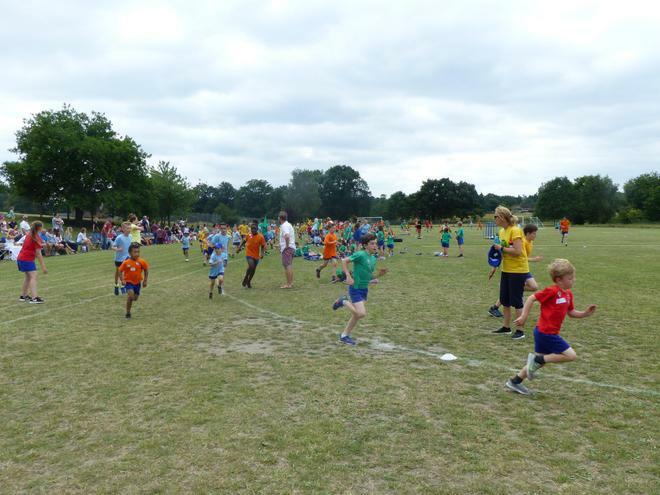 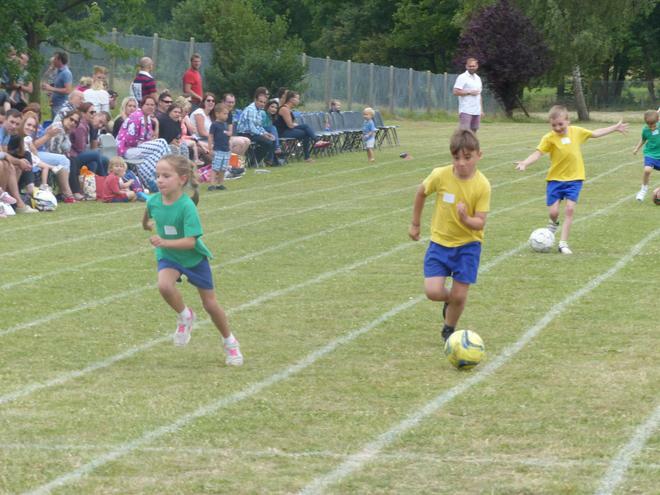 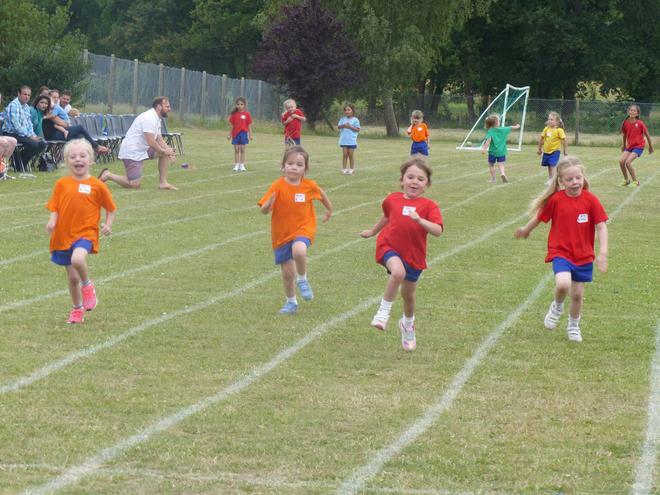 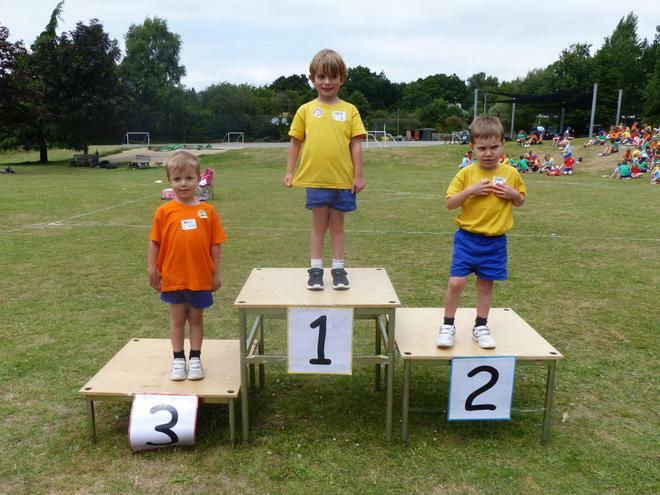 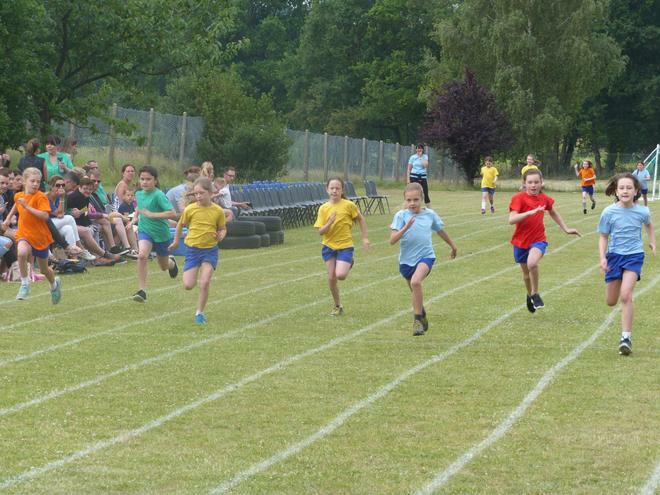 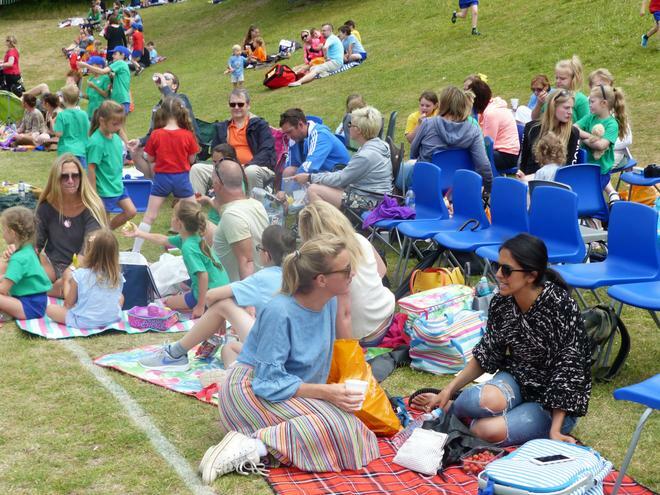 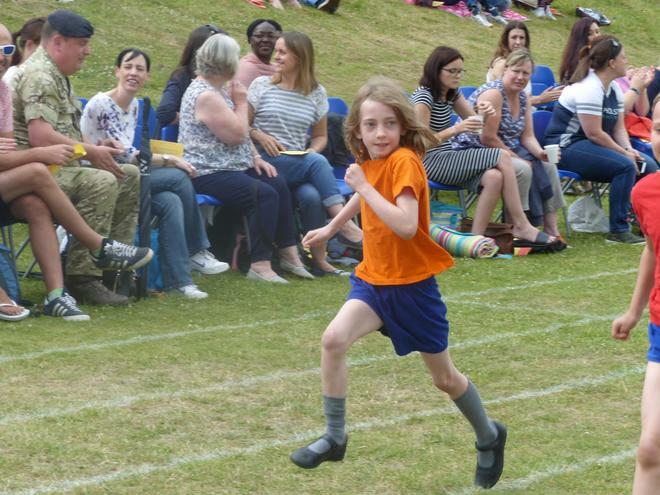 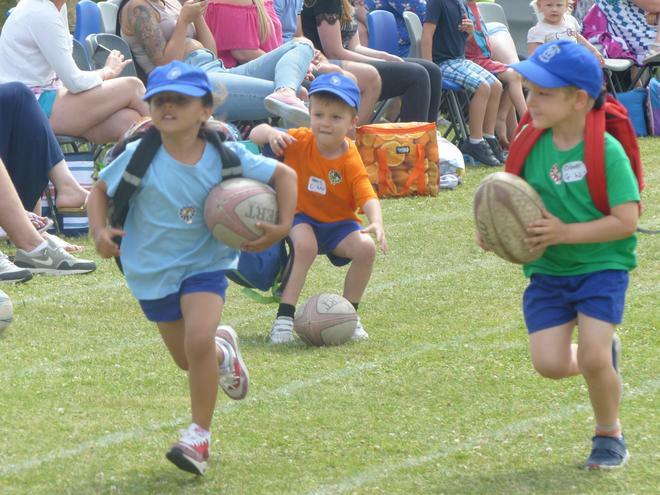 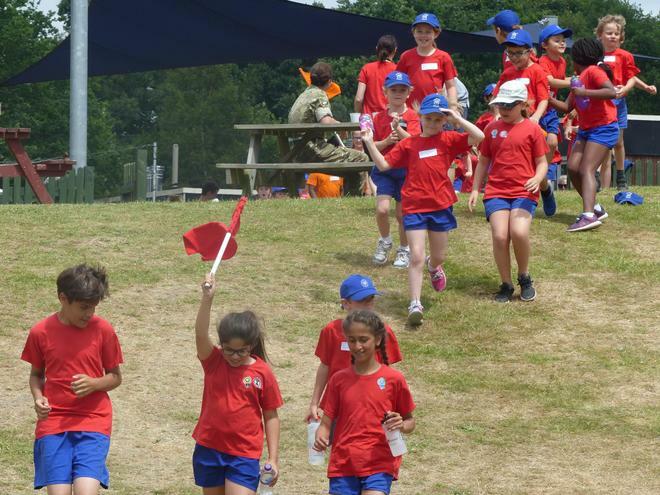 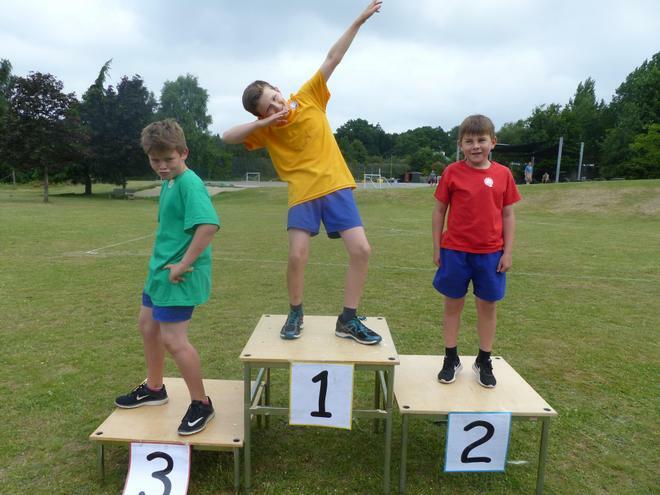 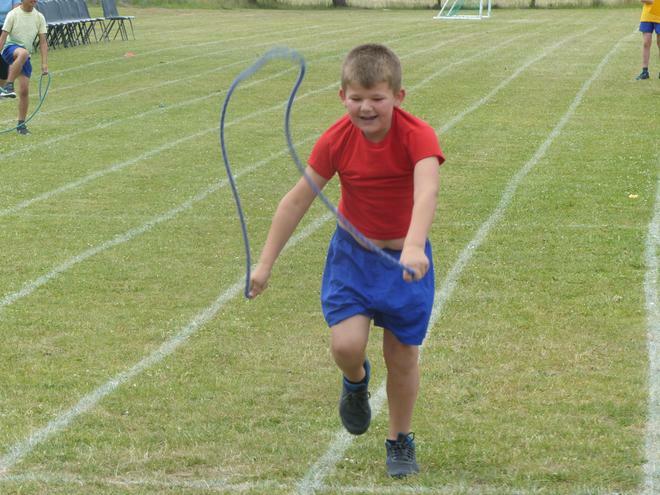 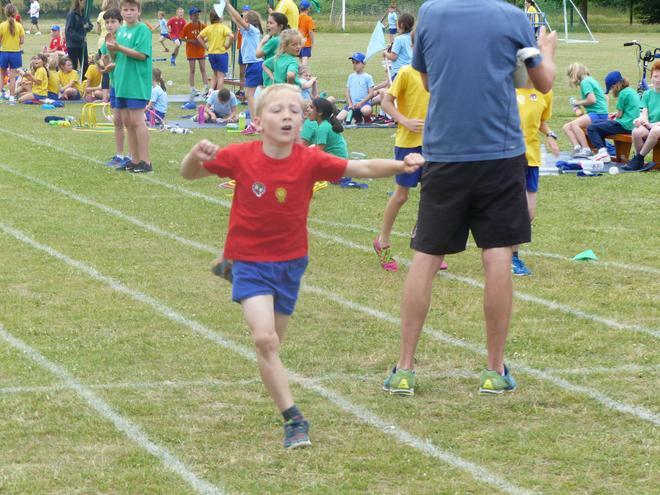 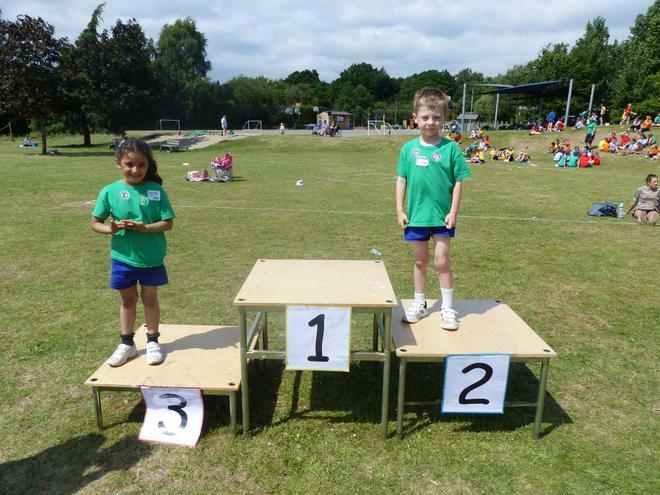 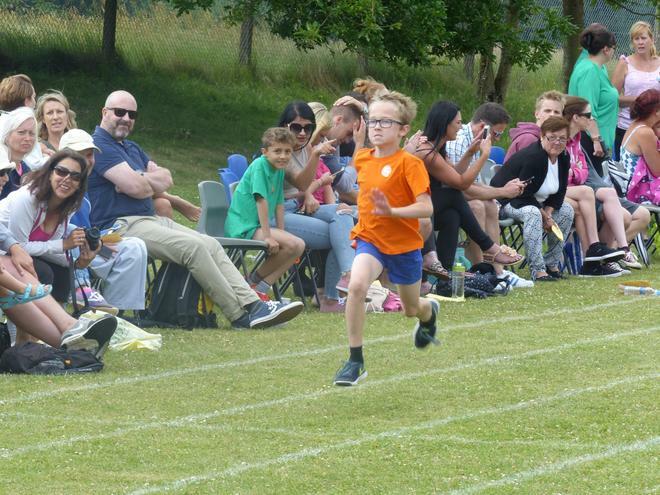 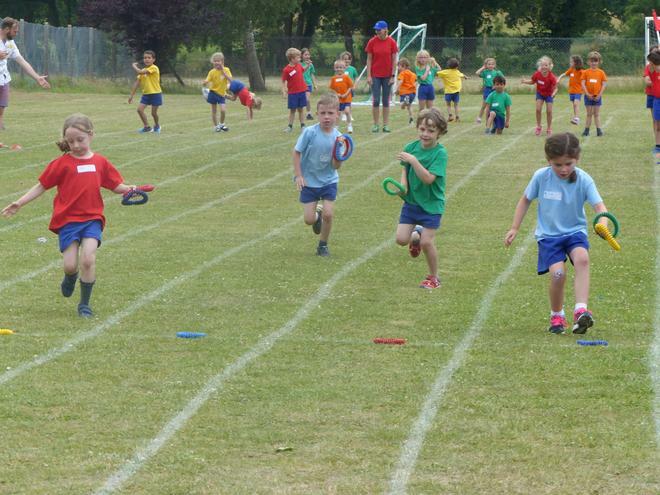 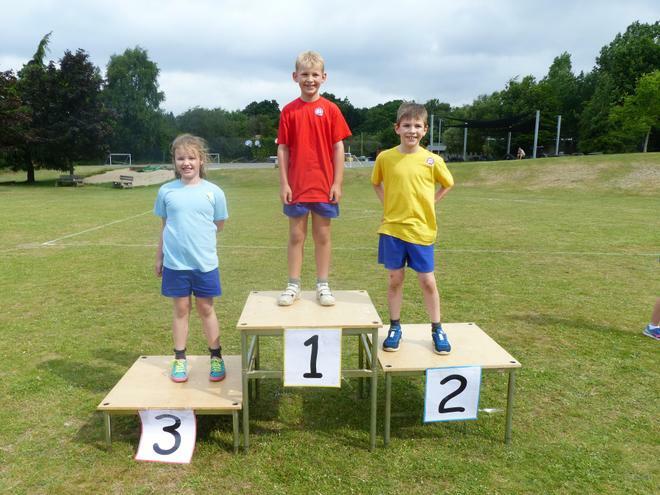 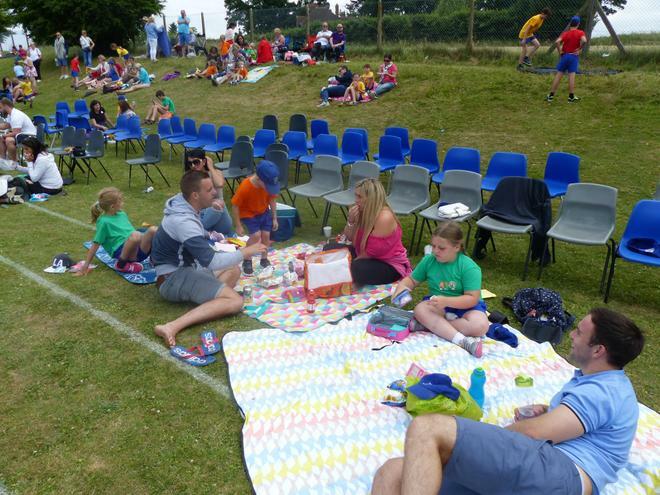 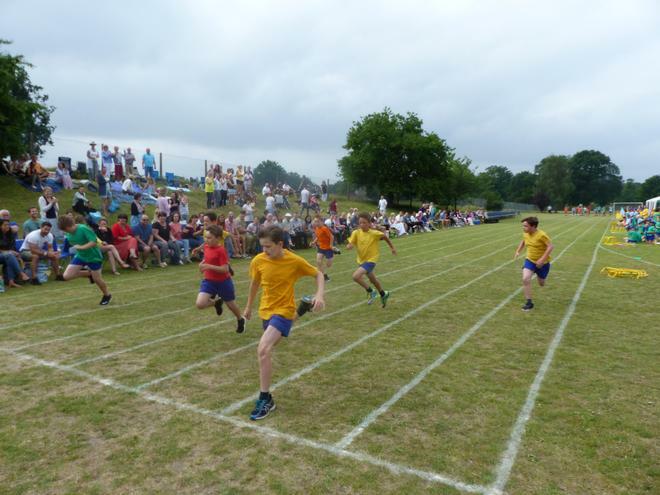 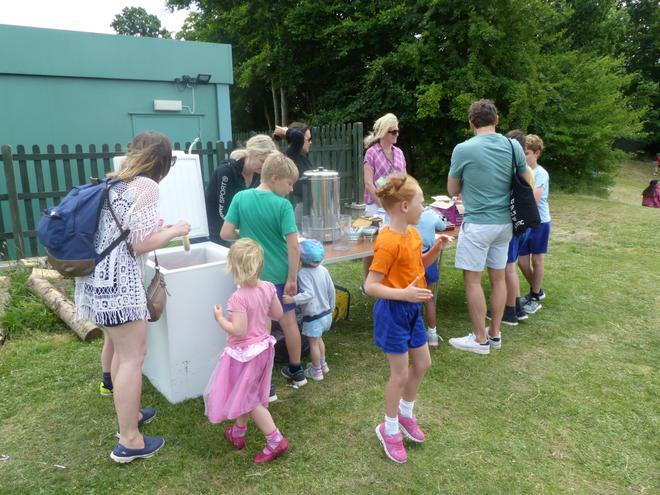 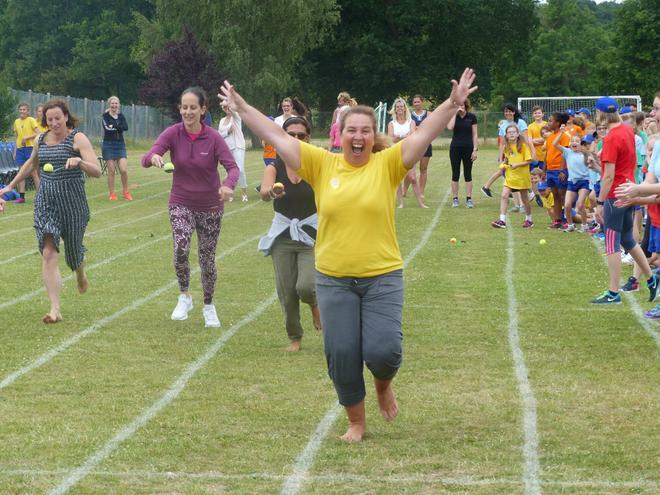 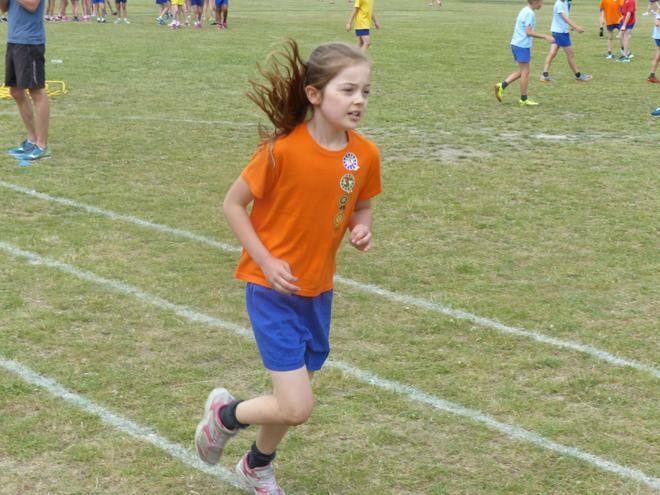 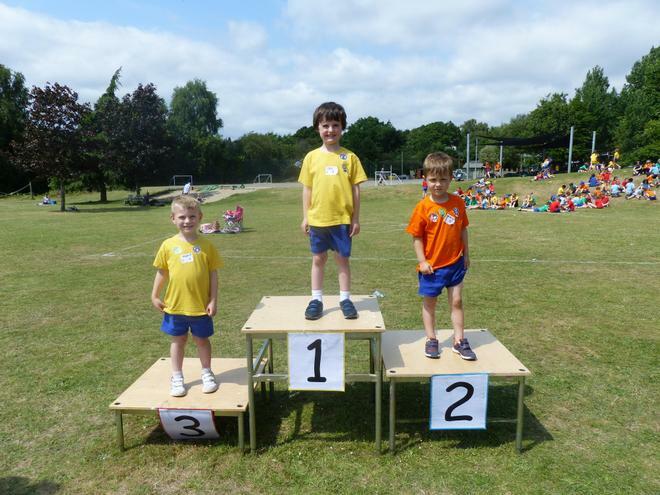 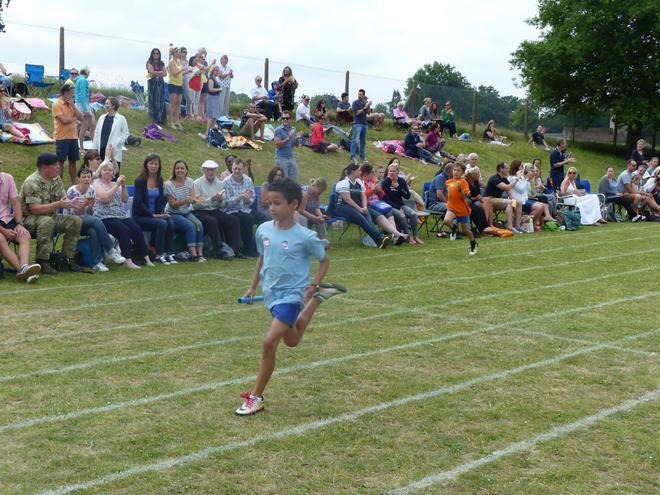 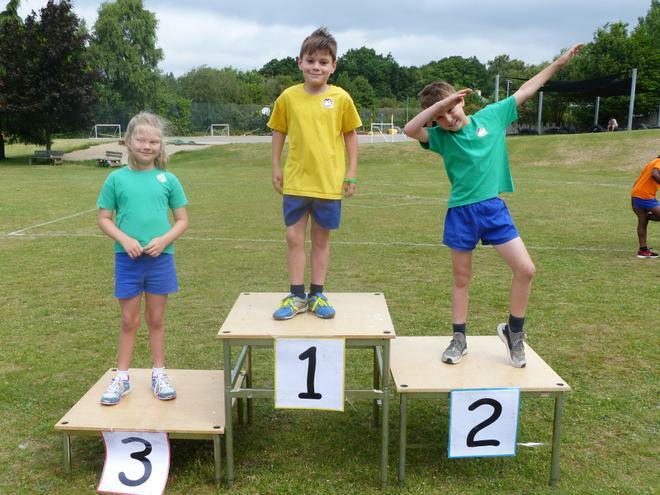 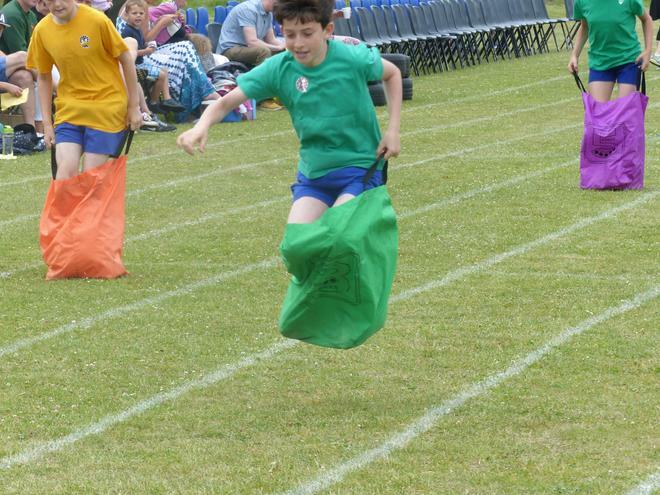 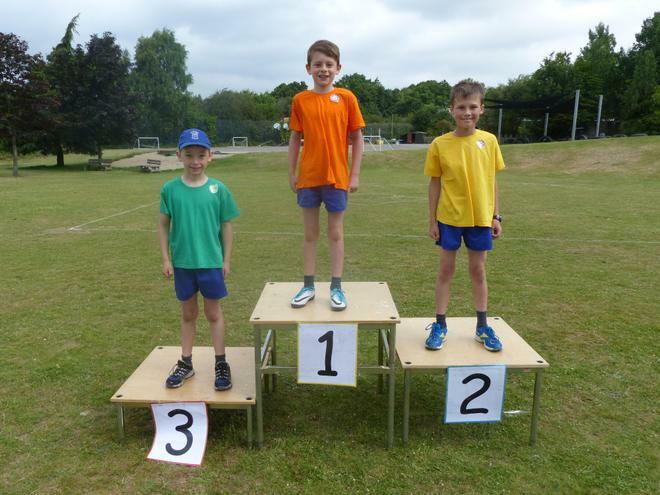 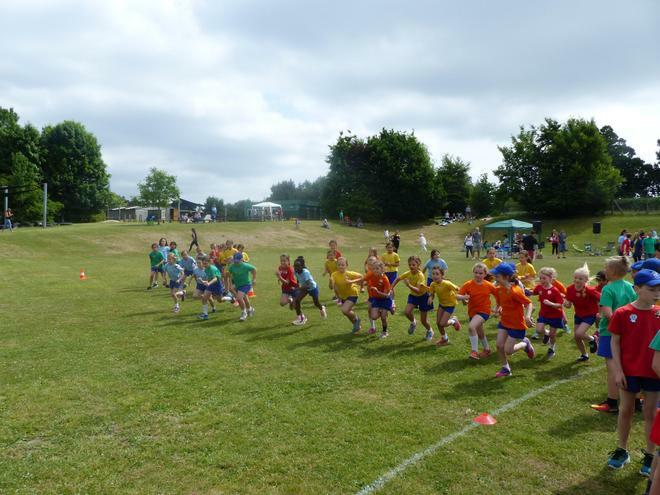 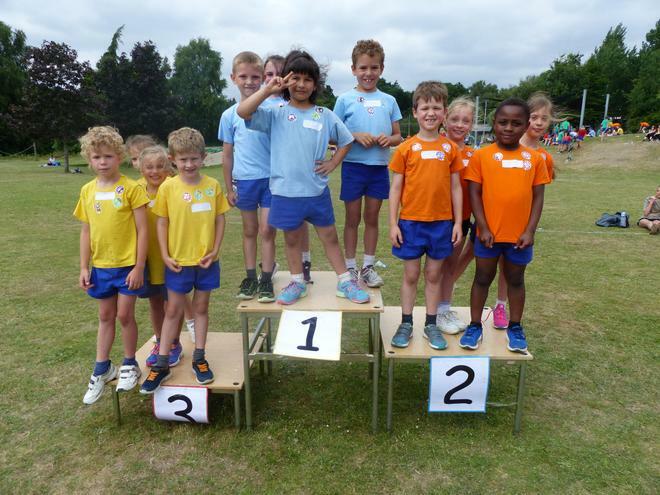 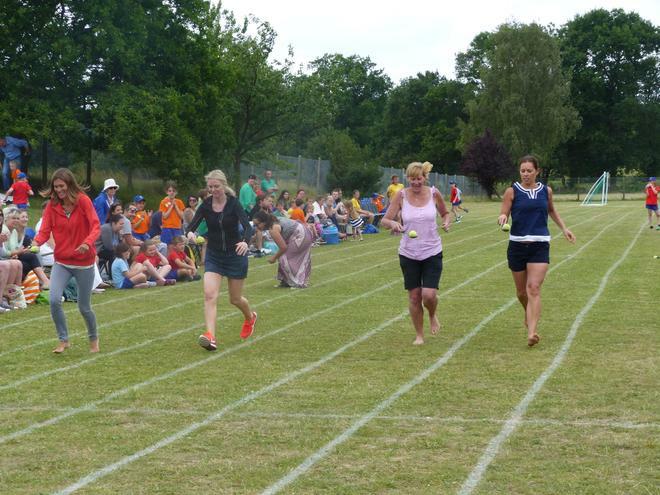 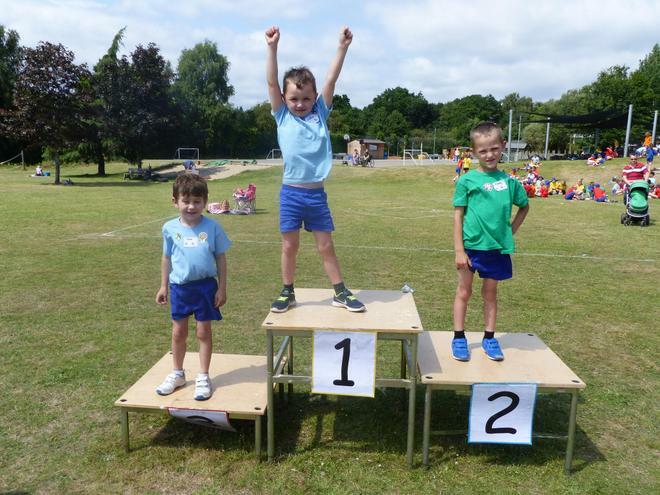 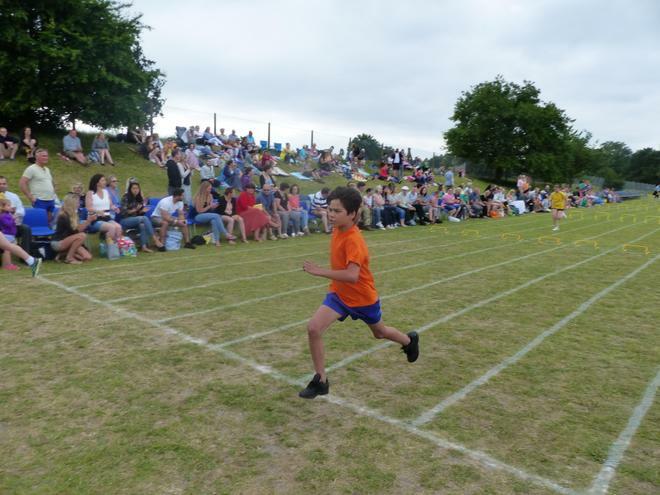 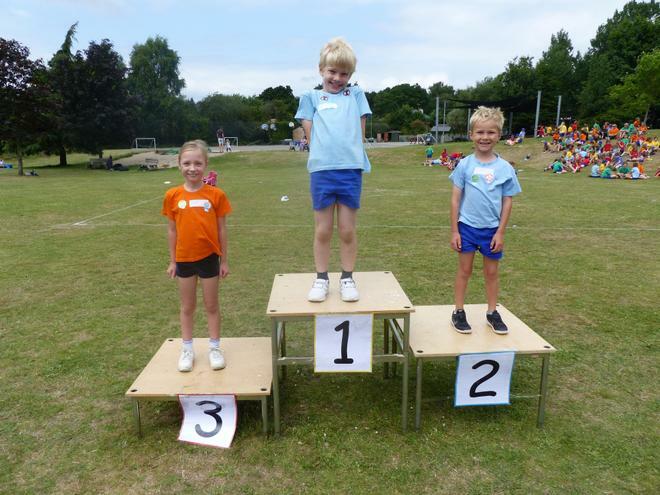 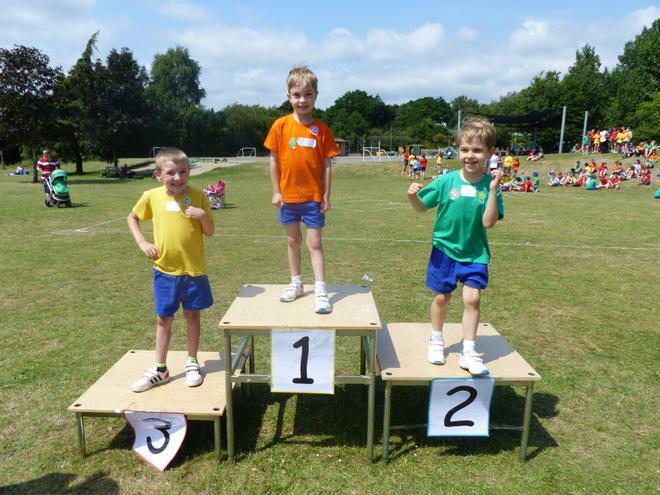 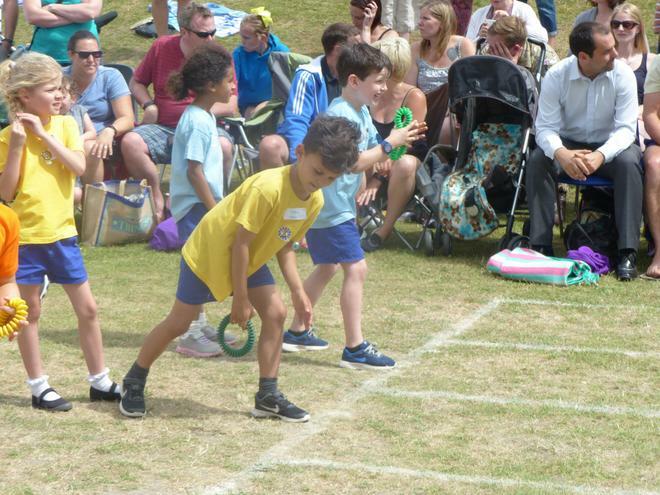 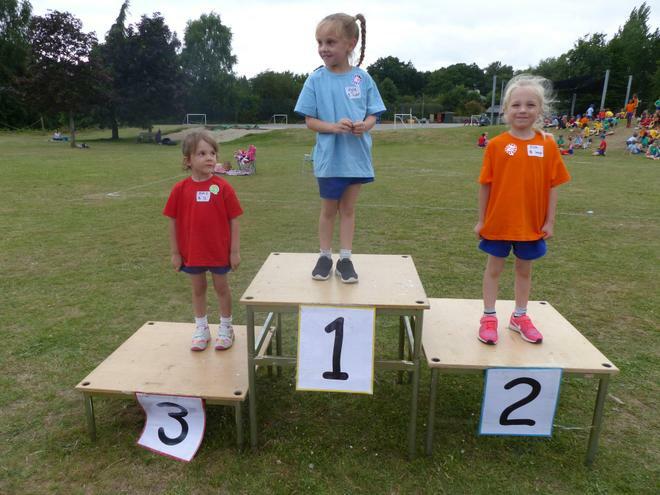 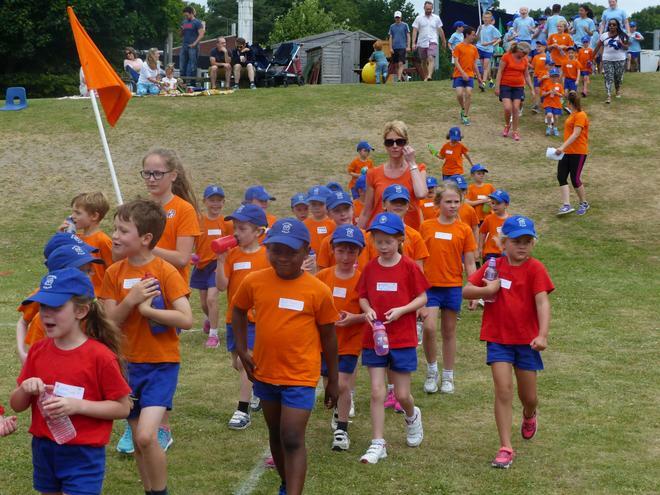 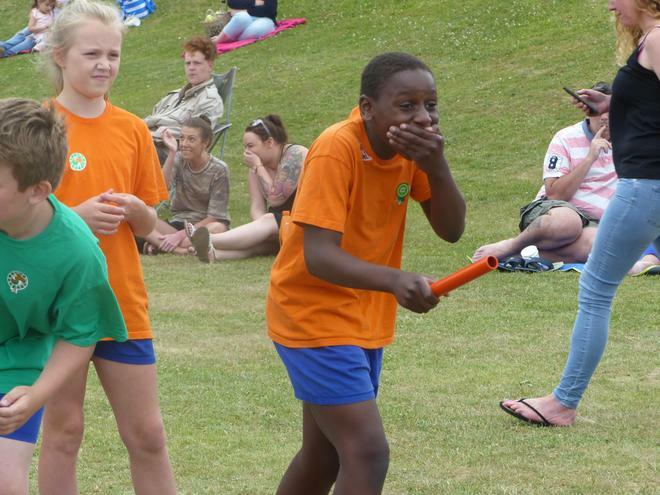 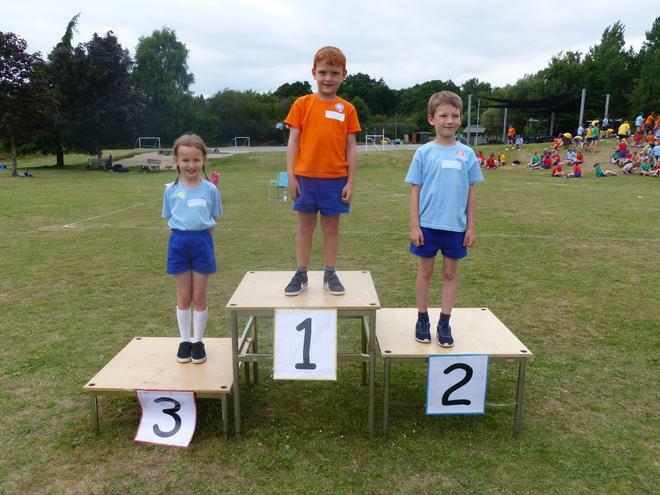 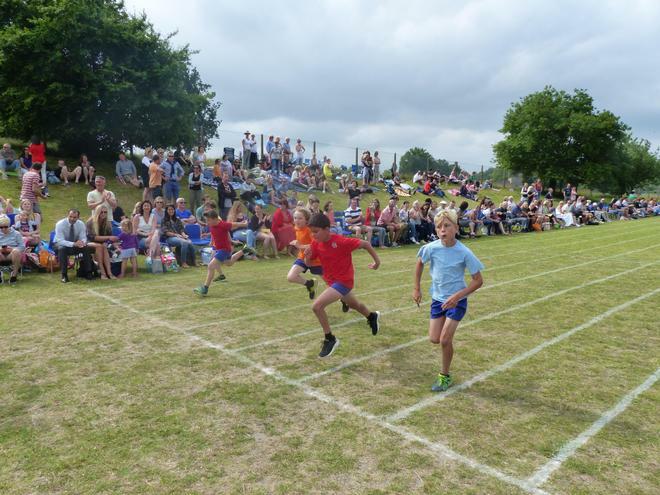 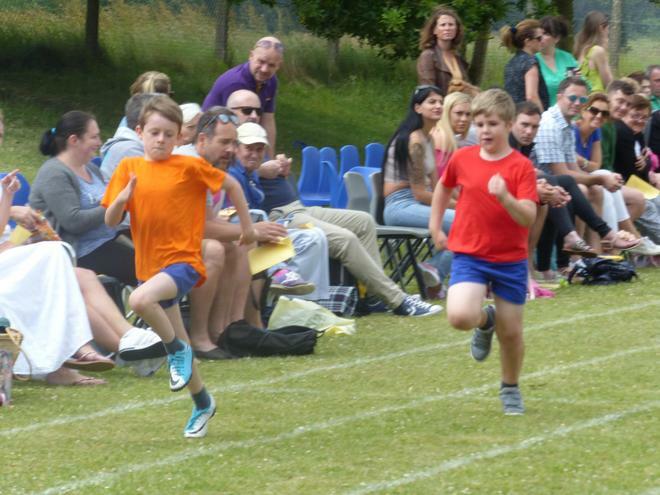 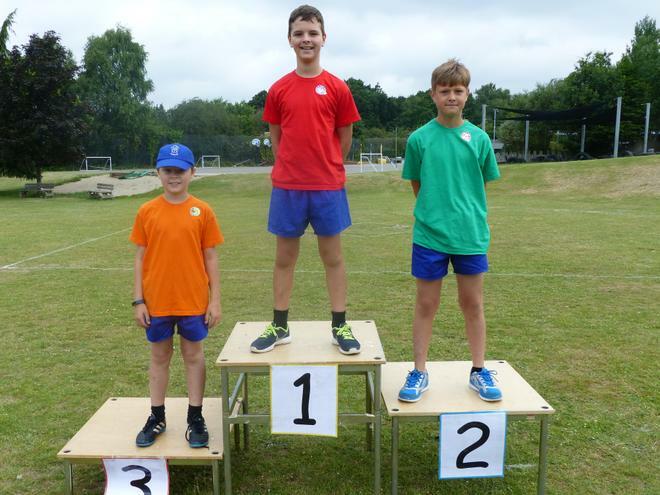 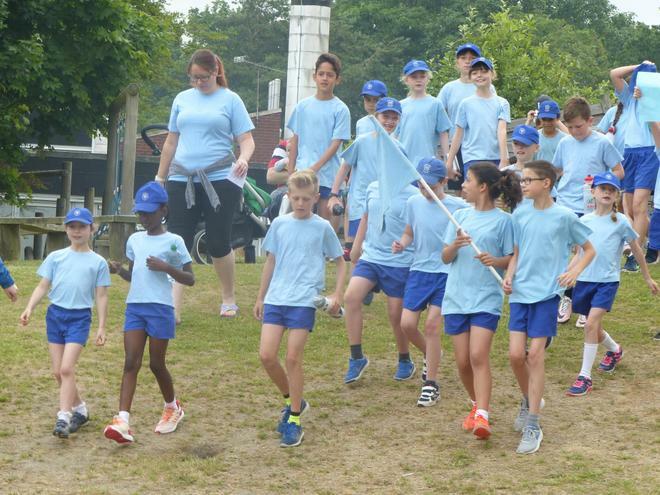 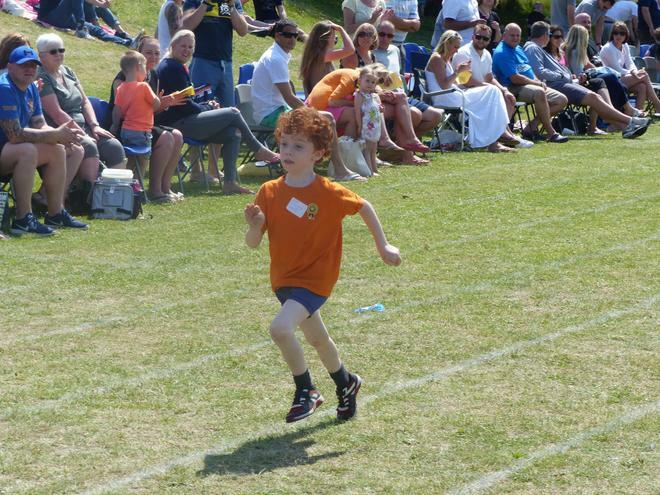 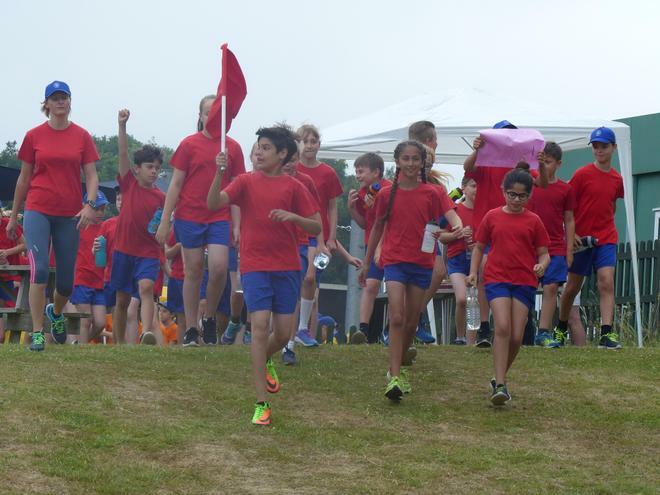 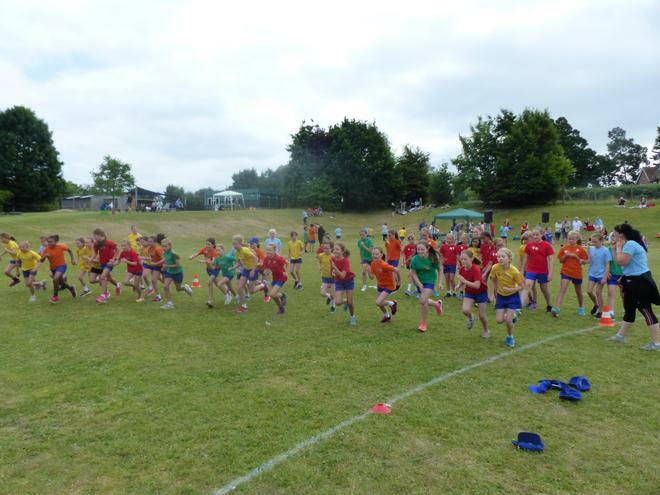 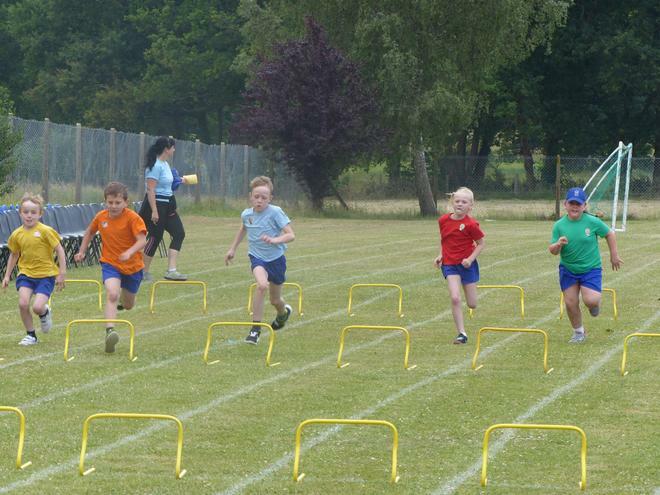 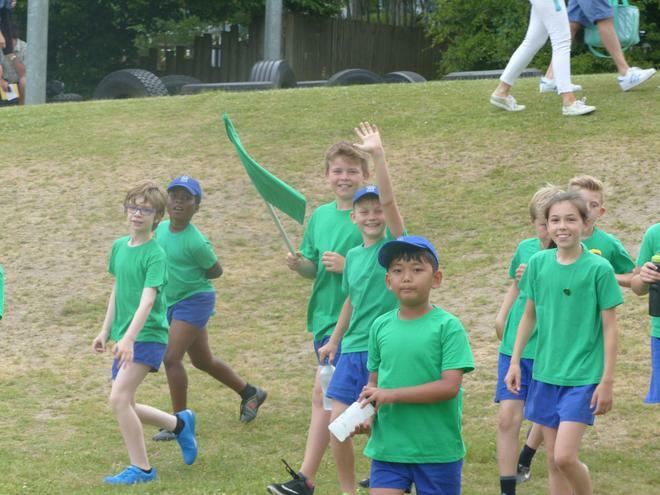 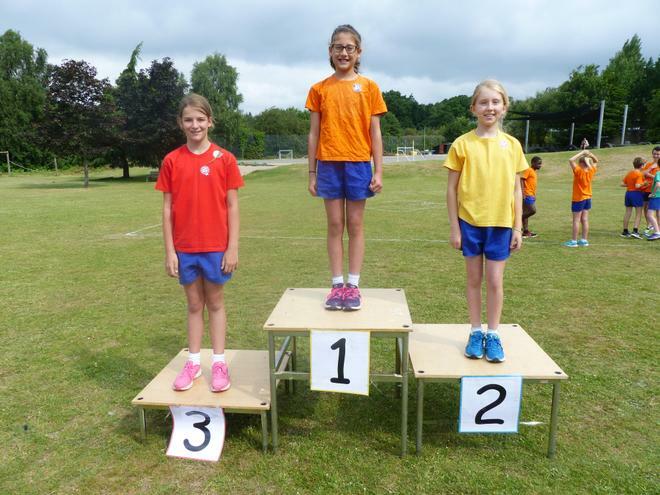 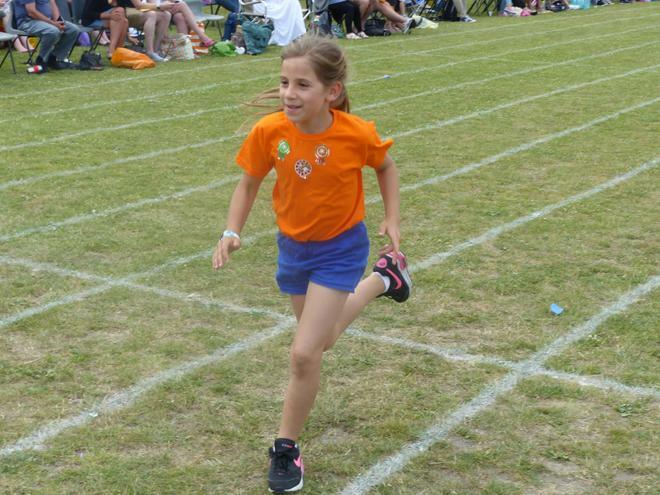 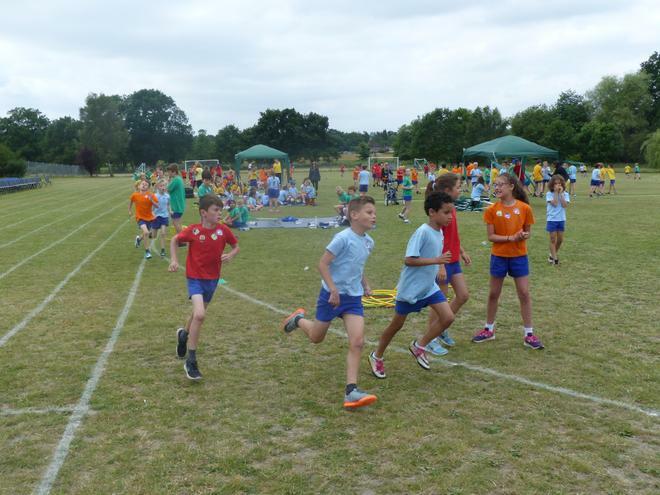 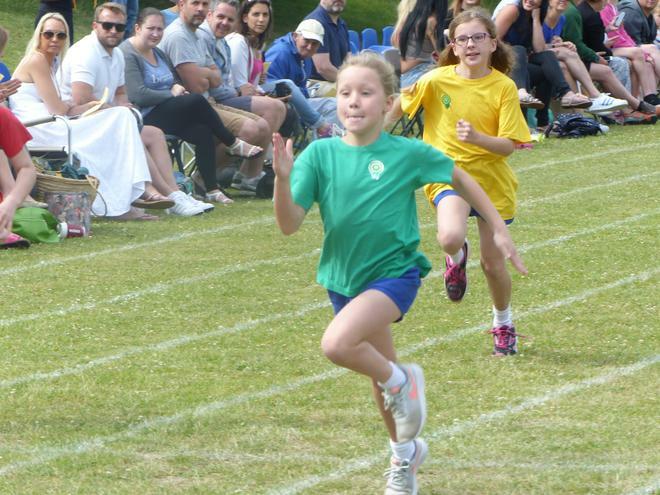 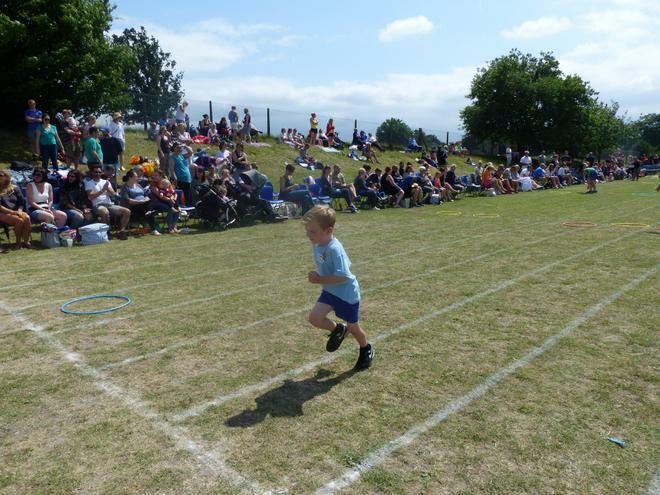 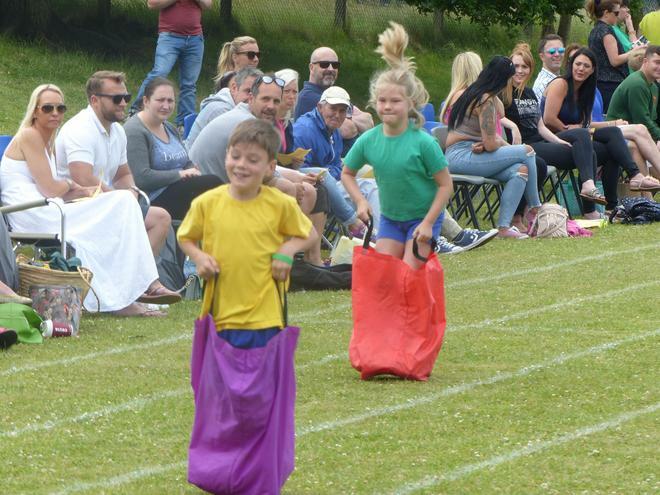 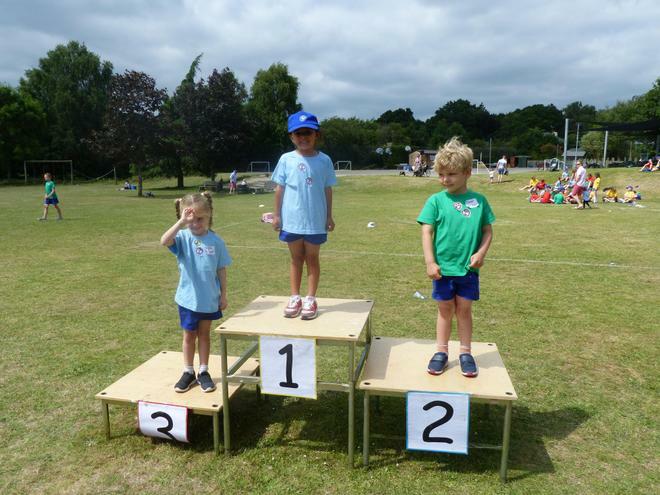 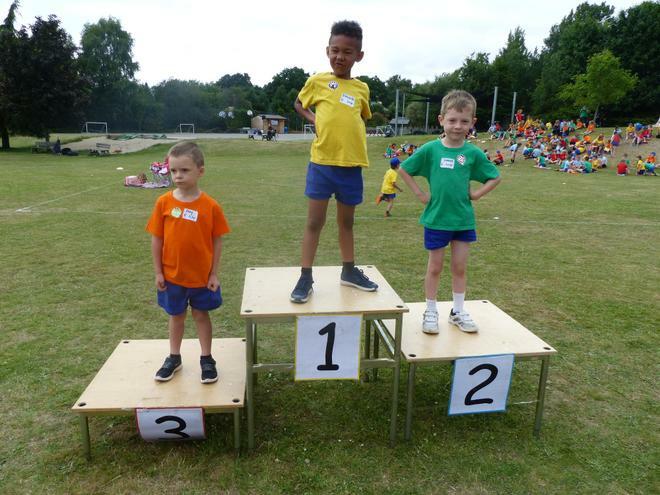 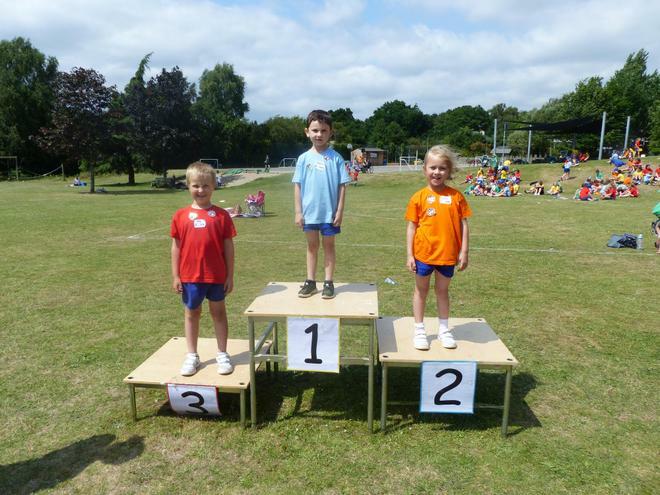 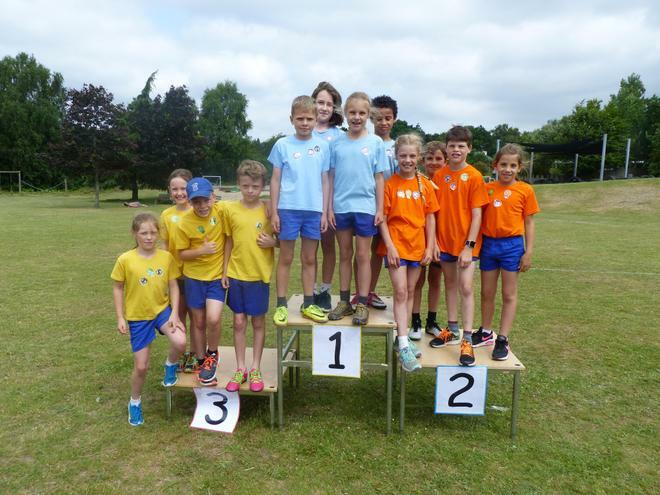 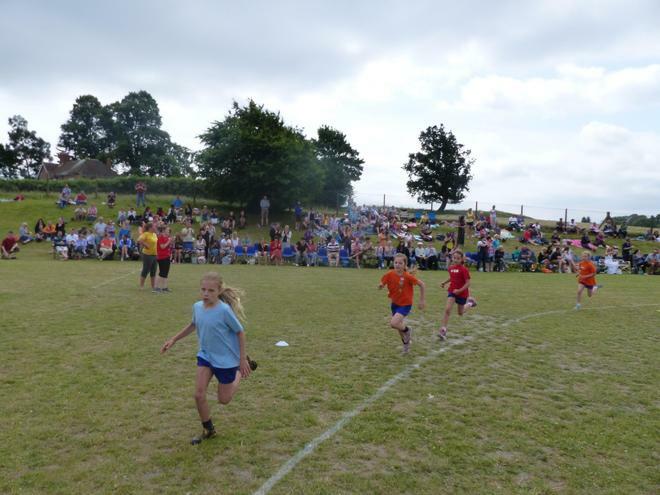 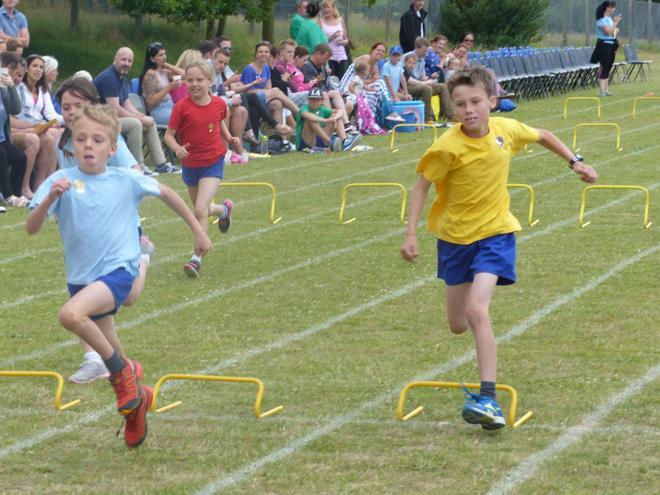 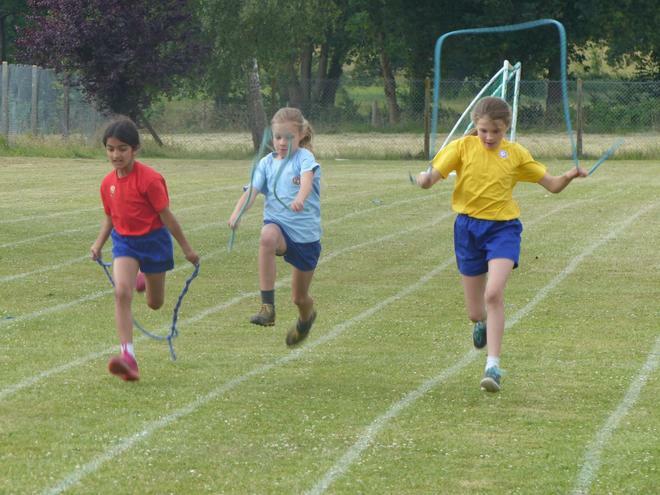 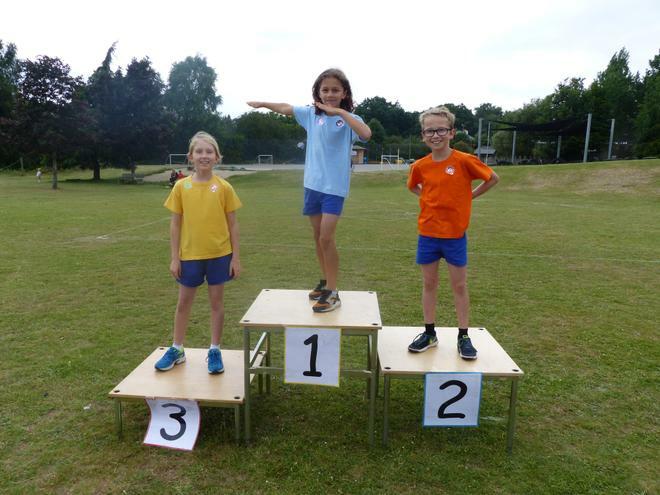 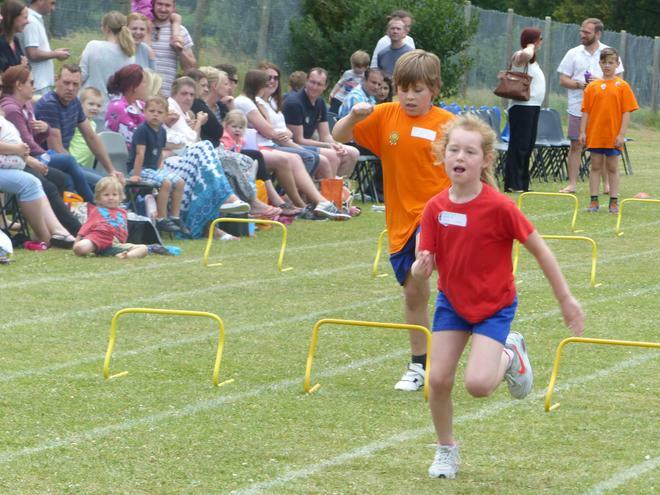 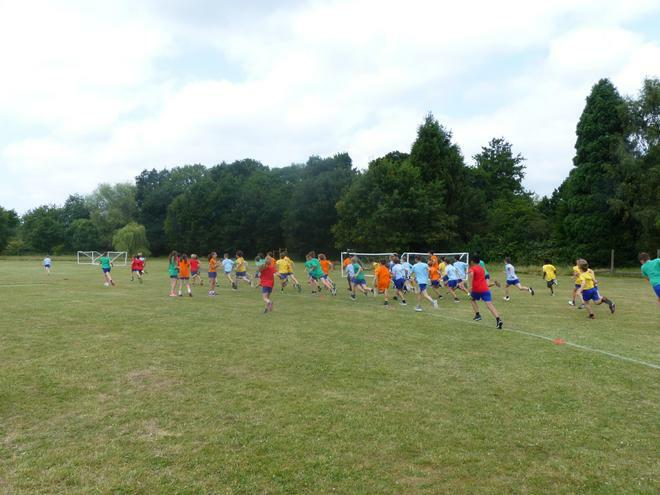 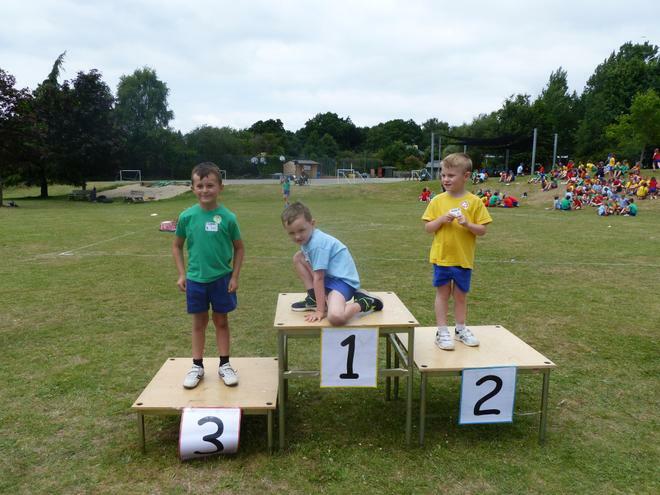 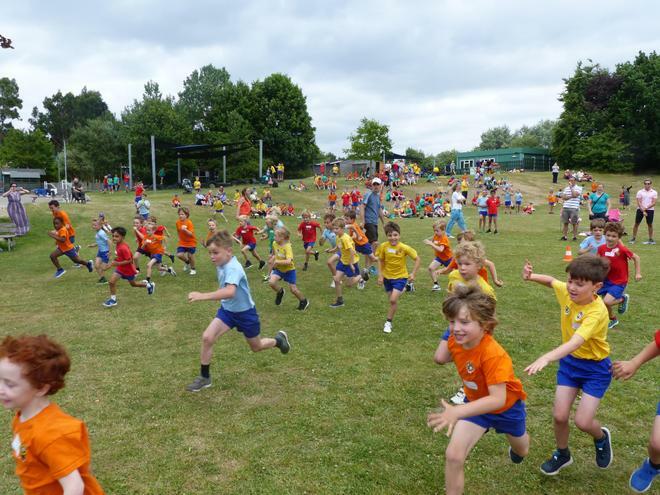 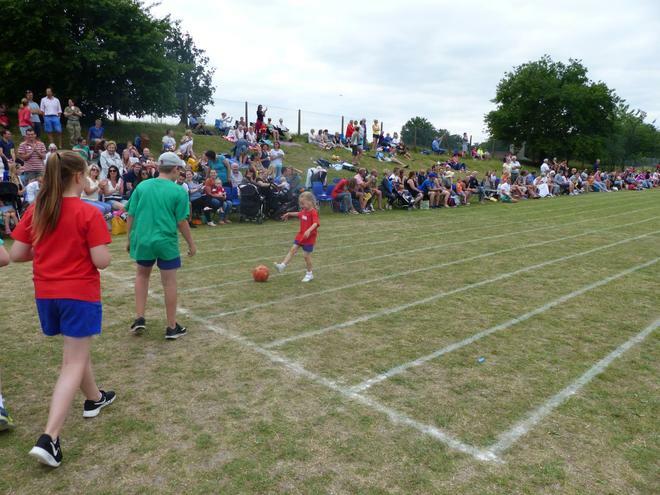 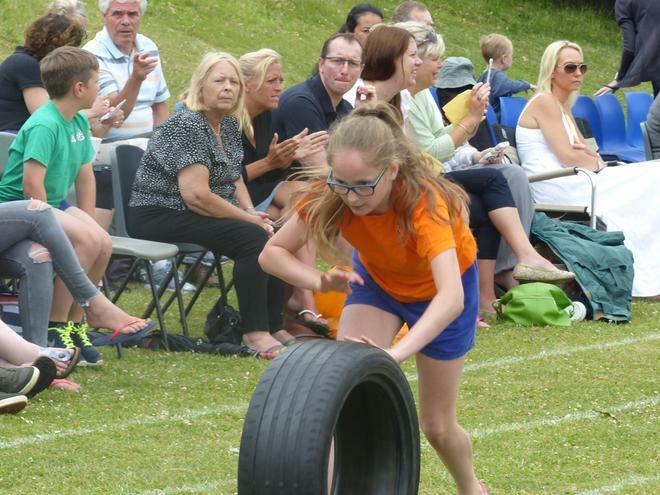 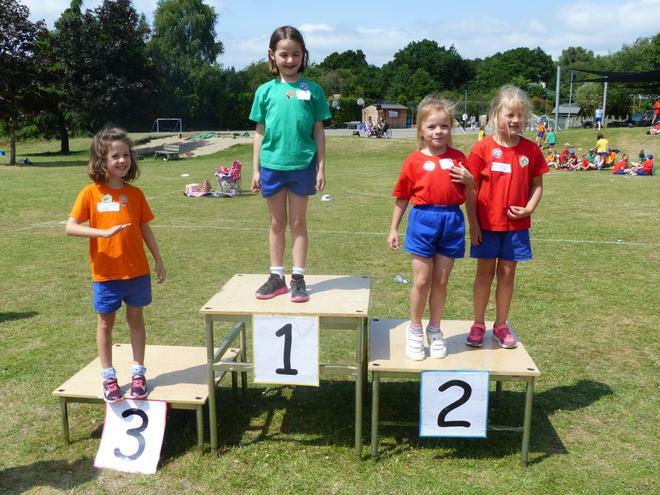 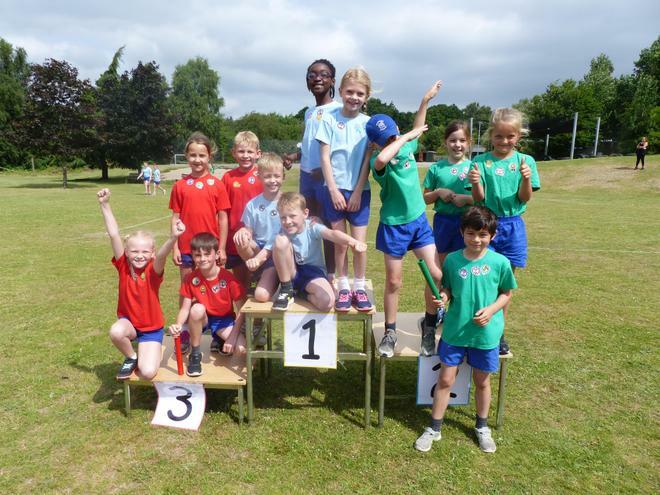 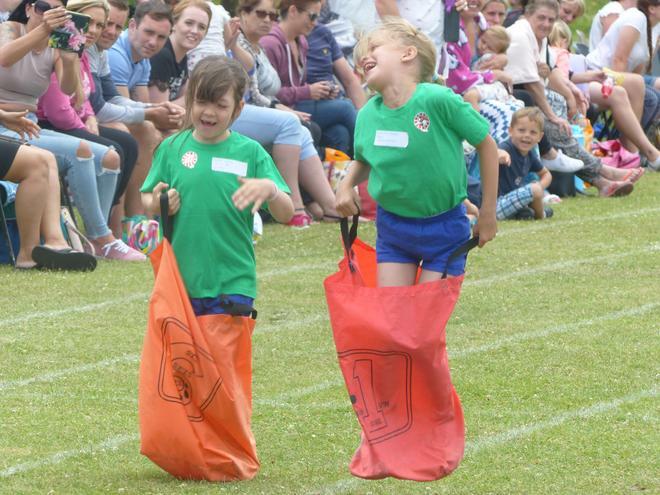 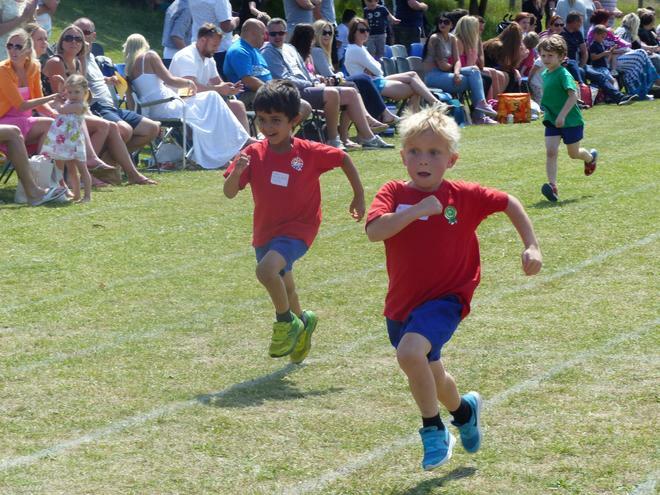 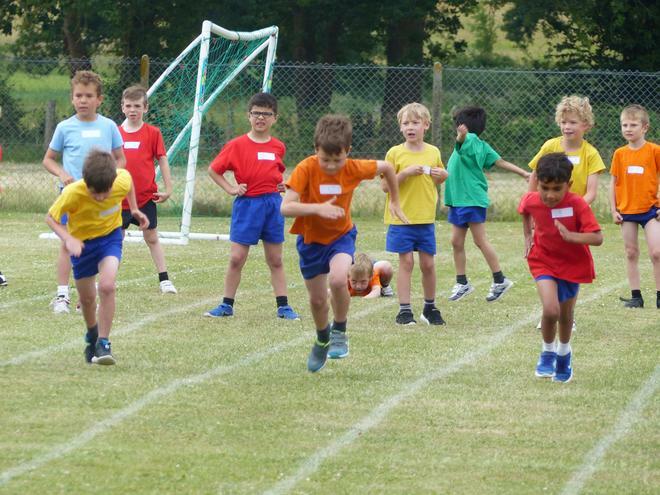 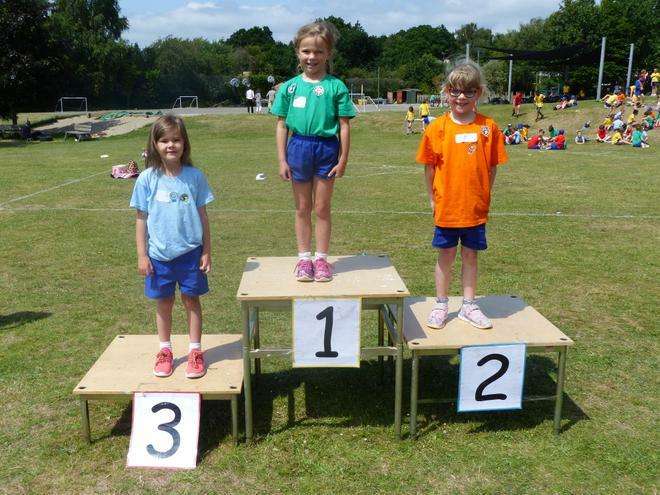 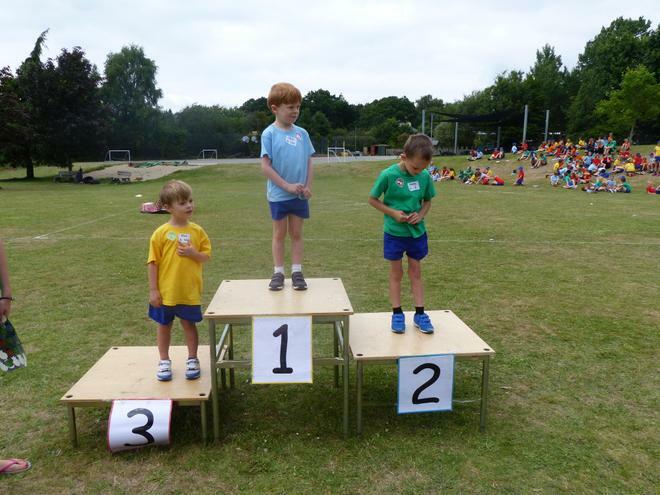 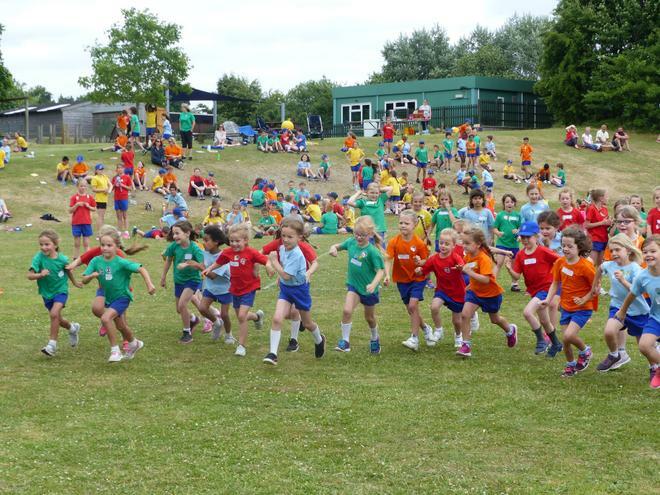 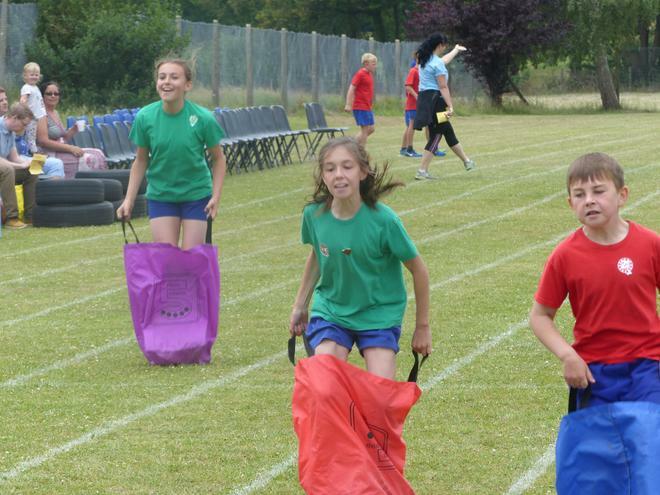 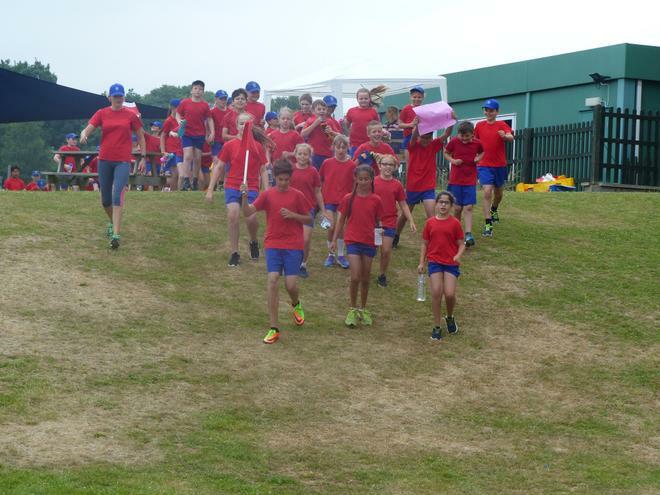 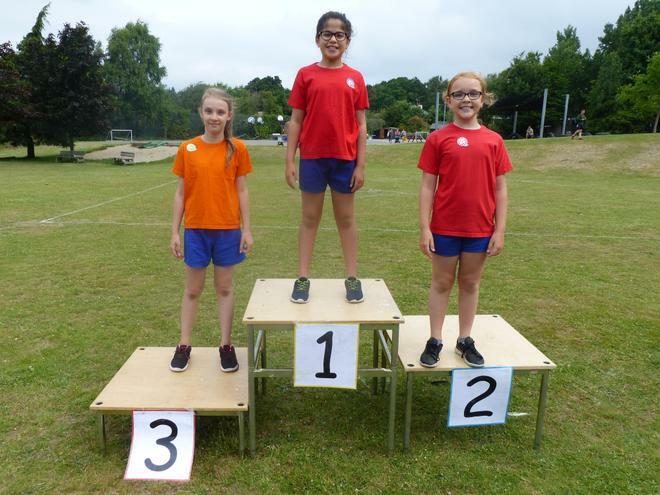 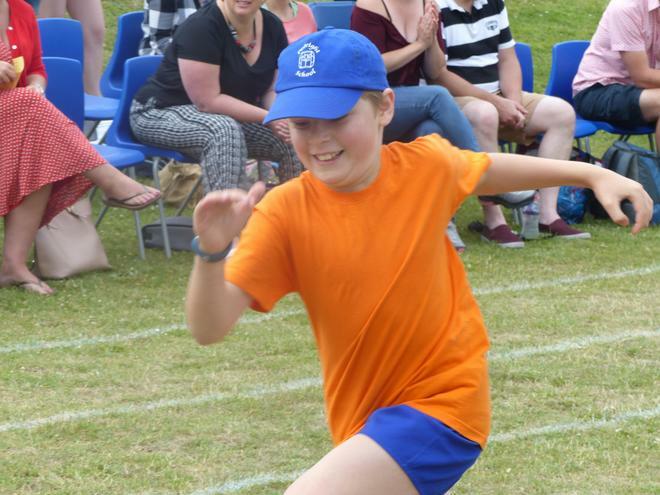 After a blisteringly hot start to the week, the weather was much kinder to us on Thursday as all our young athletes took part in our school Sports Day. 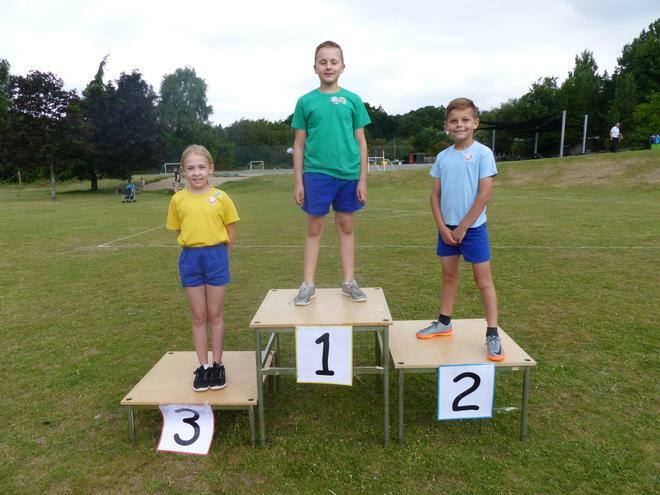 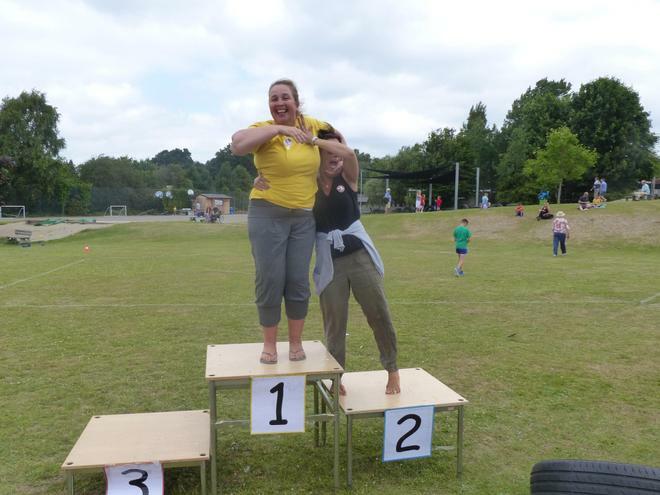 It was wonderful to see the children all supporting one another as they ran, skipped, tyre rolled, football dribbled and hurdled to win points for their team. 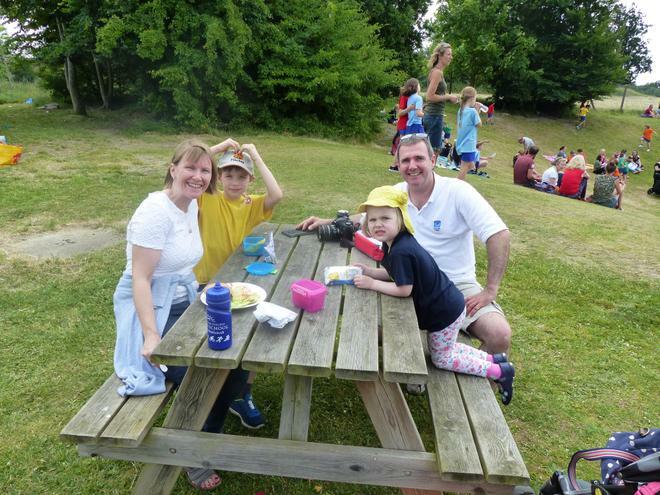 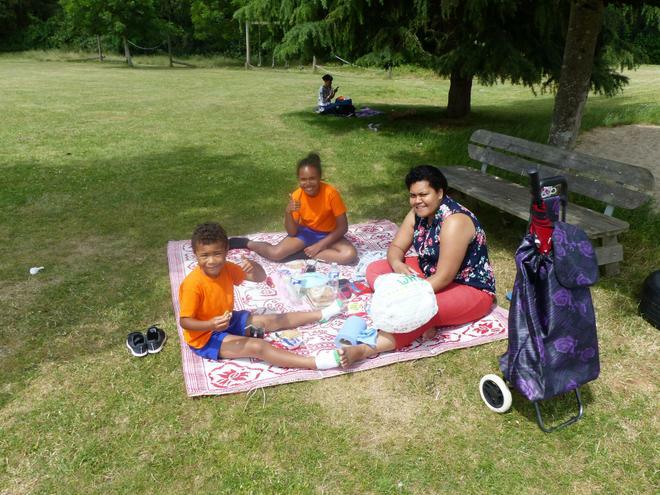 With a fabulous family lunch in the middle of all the activities it was certainly a very busy day! 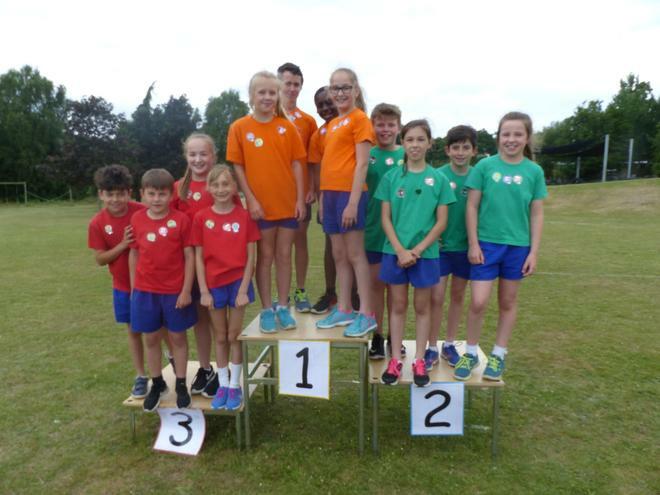 Once all the points had been added up at the end of the day the Blue team were victorious with Orange team coming in a close second place.